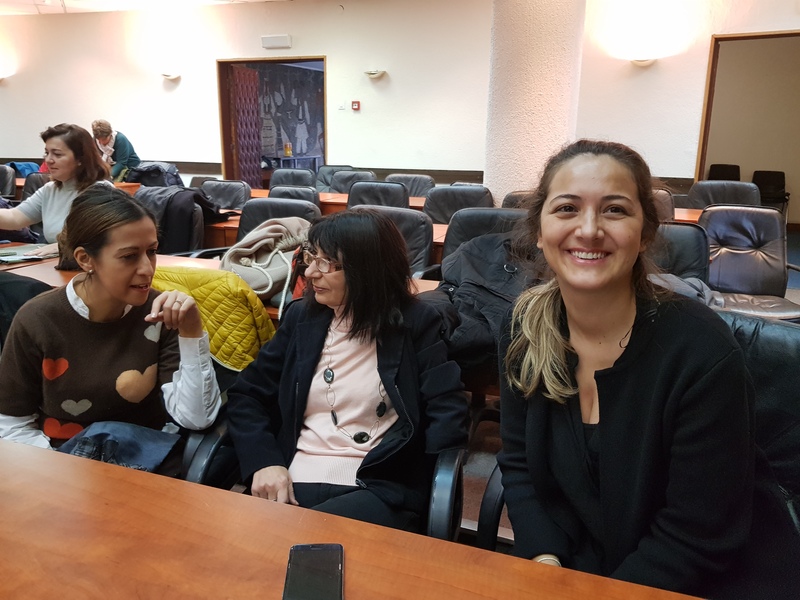 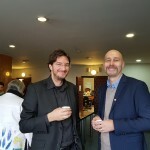 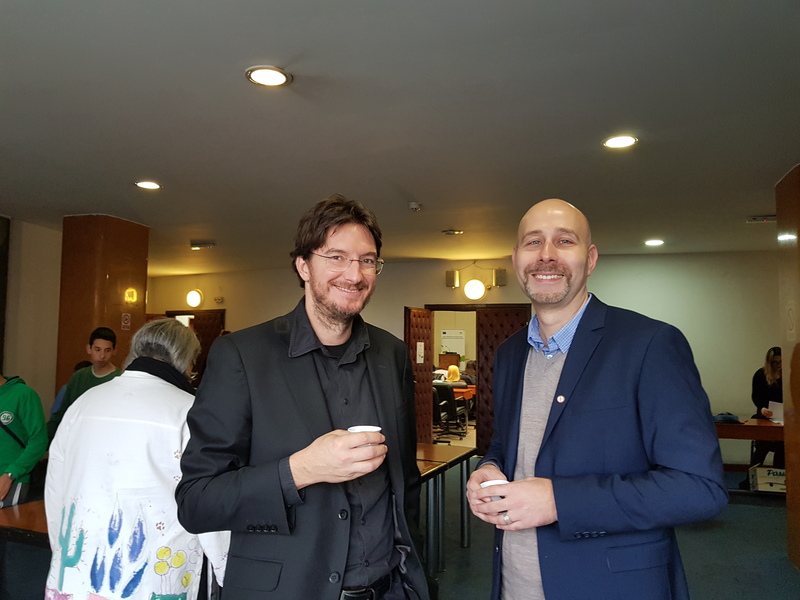 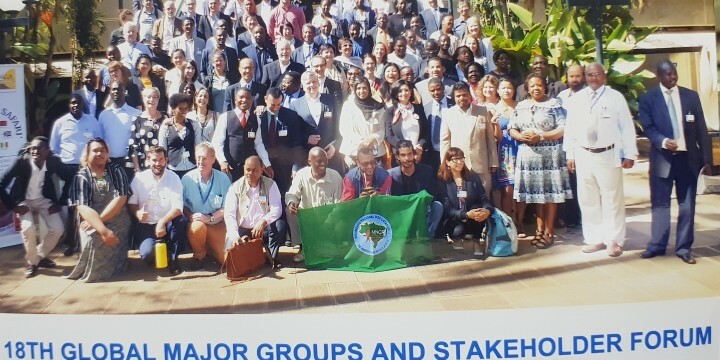 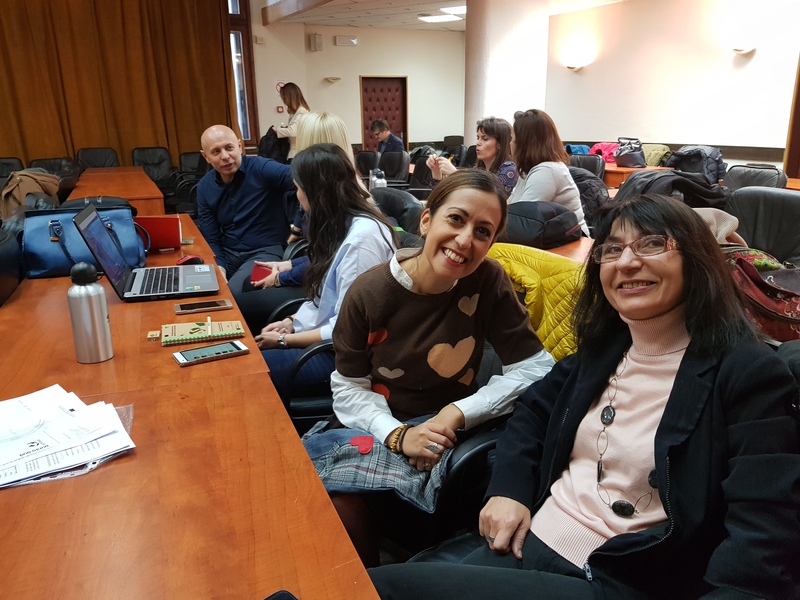 EASD and CEKOR organised on October 12, 2018 Meeting of National Convention on the European Union (NCEU) Working Group for Chapter 27. 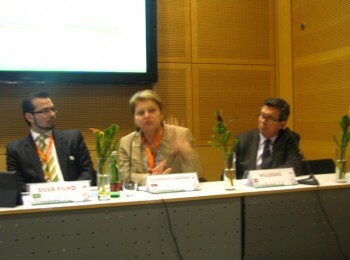 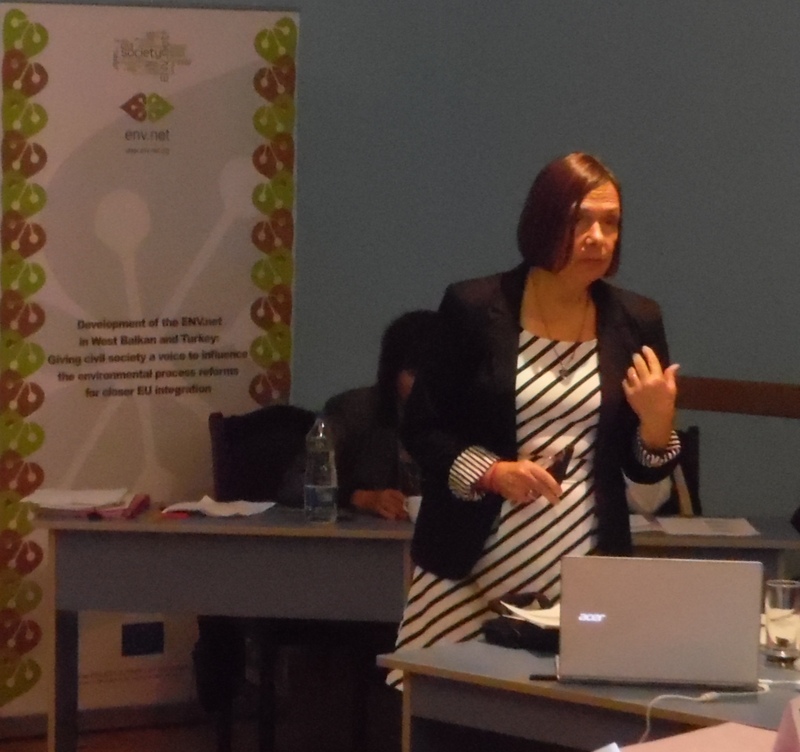 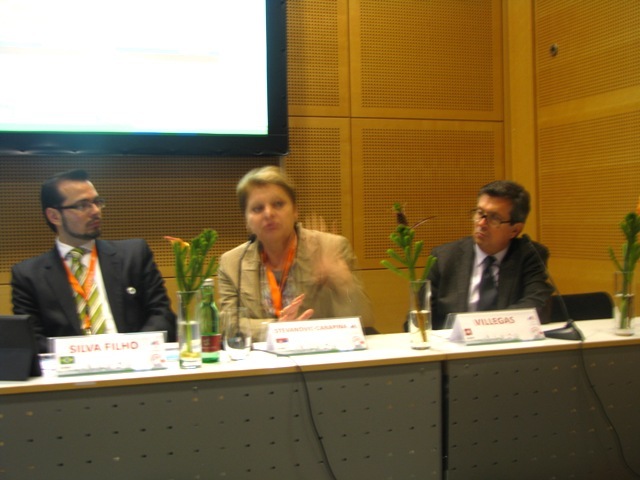 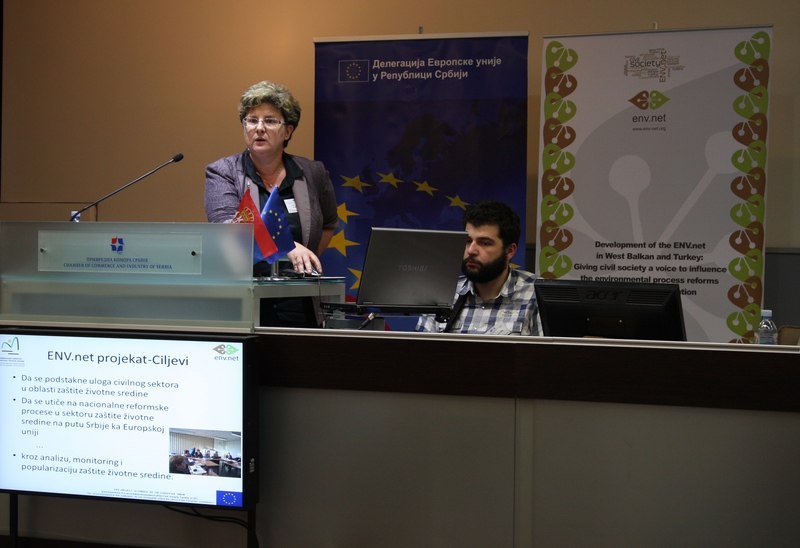 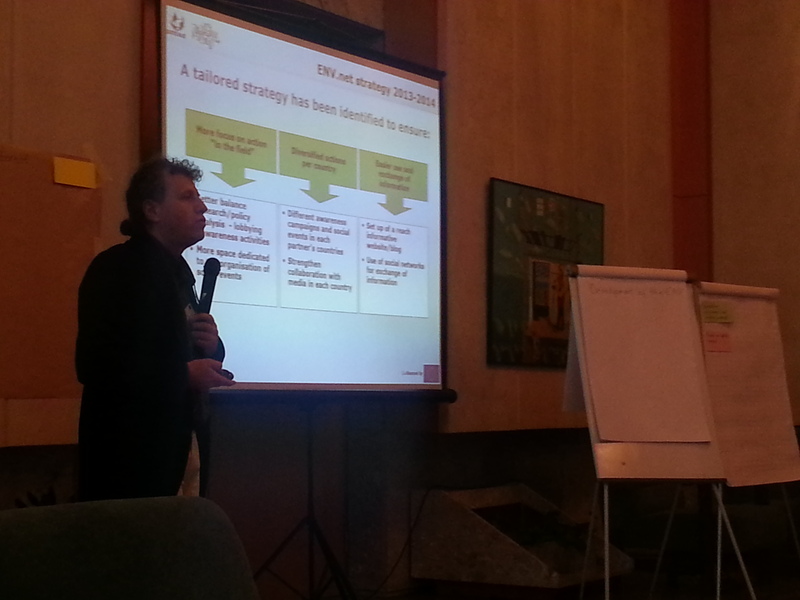 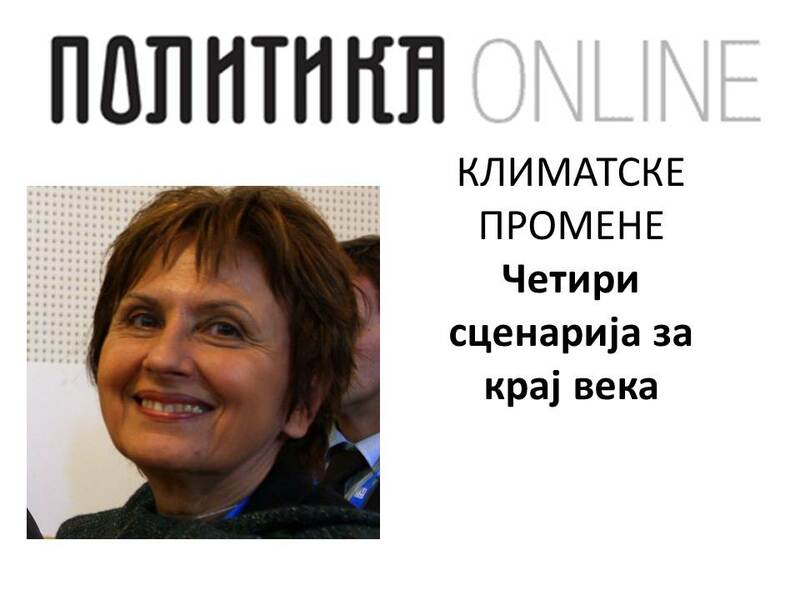 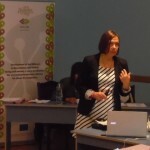 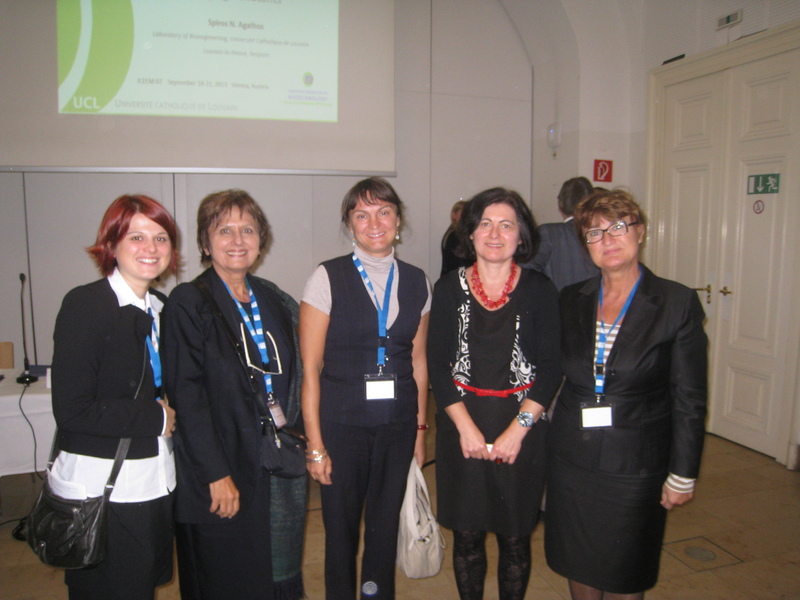 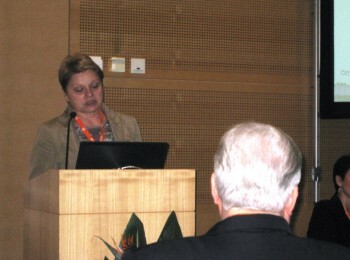 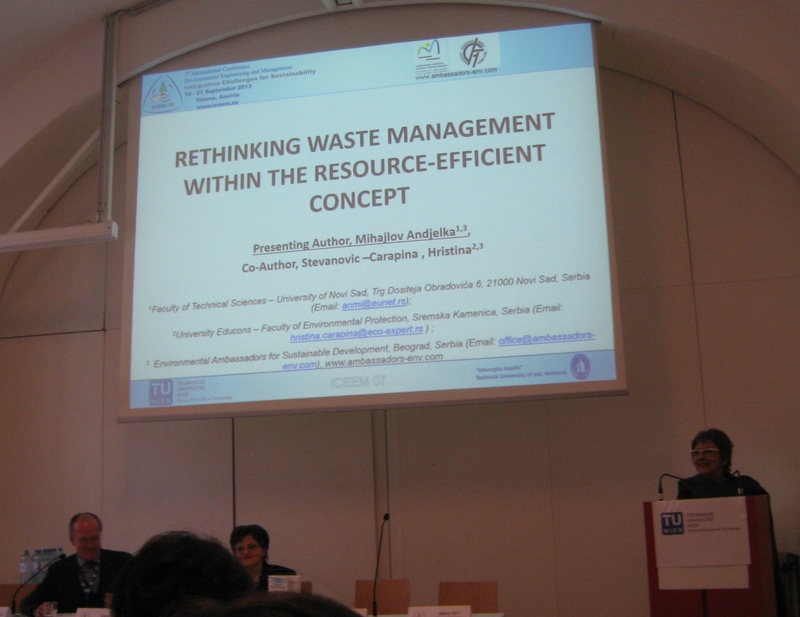 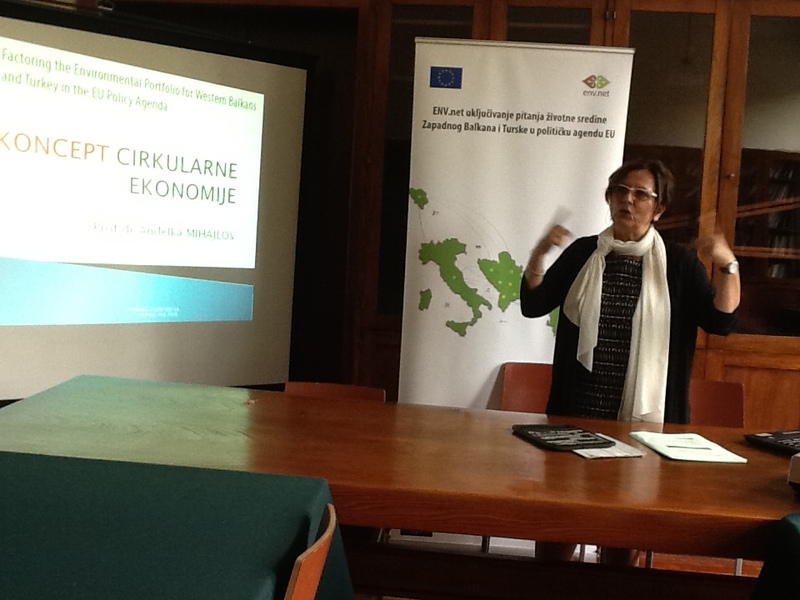 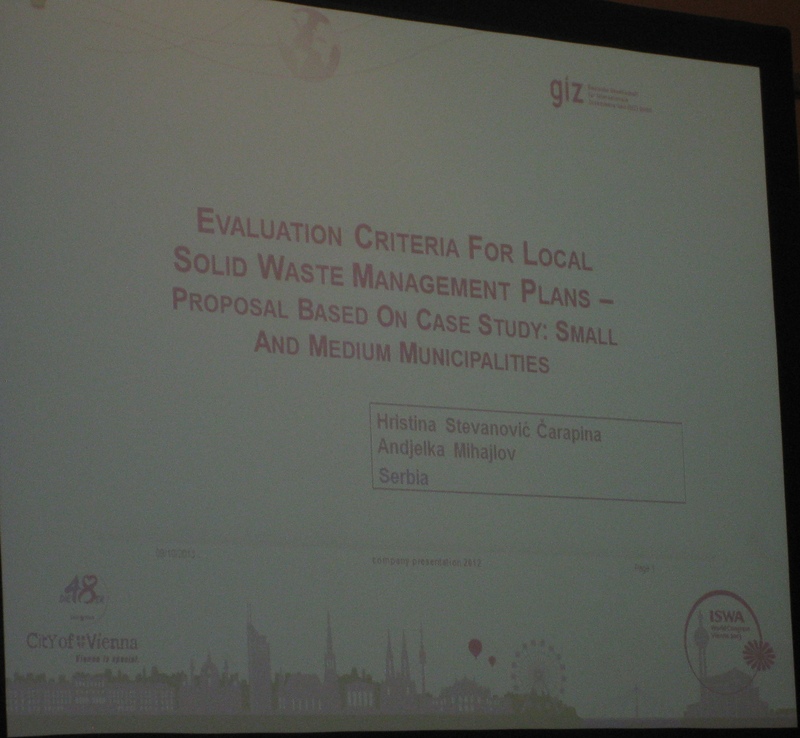 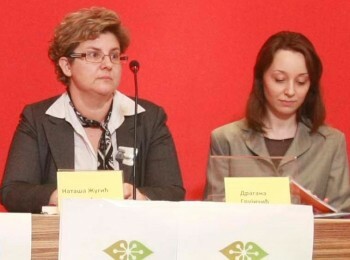 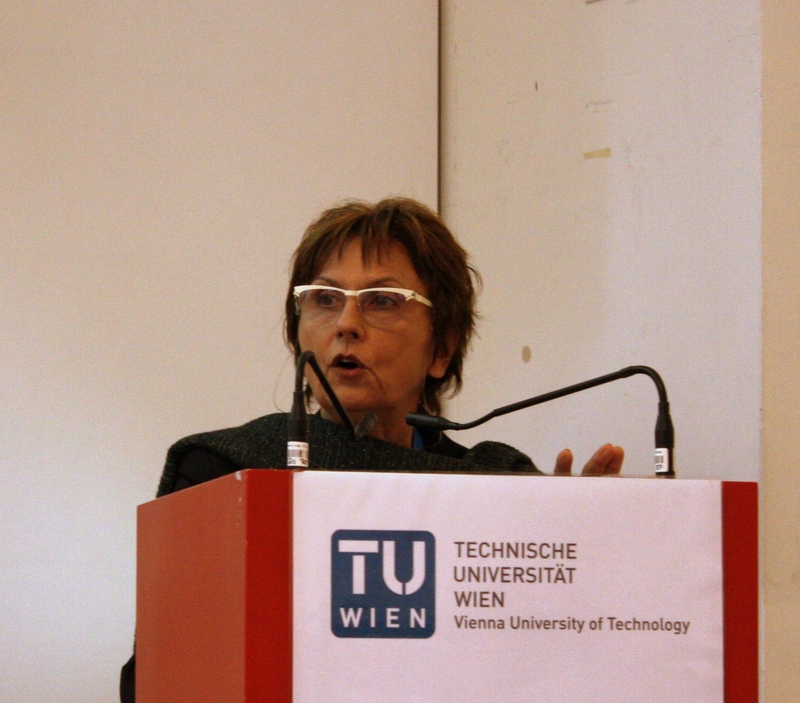 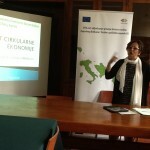 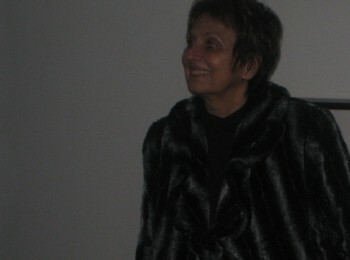 ENV.net Thematic Advisor Prof dr Andjelka Mihajlov presented ENV.net research related Circular Economy (Complexity). 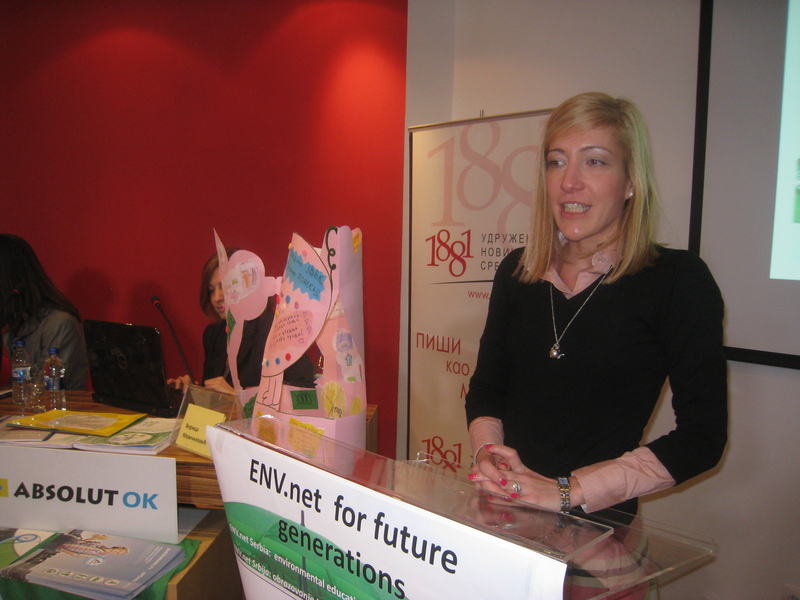 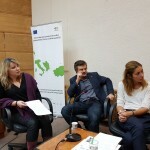 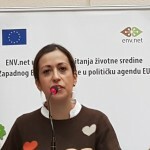 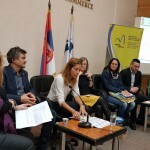 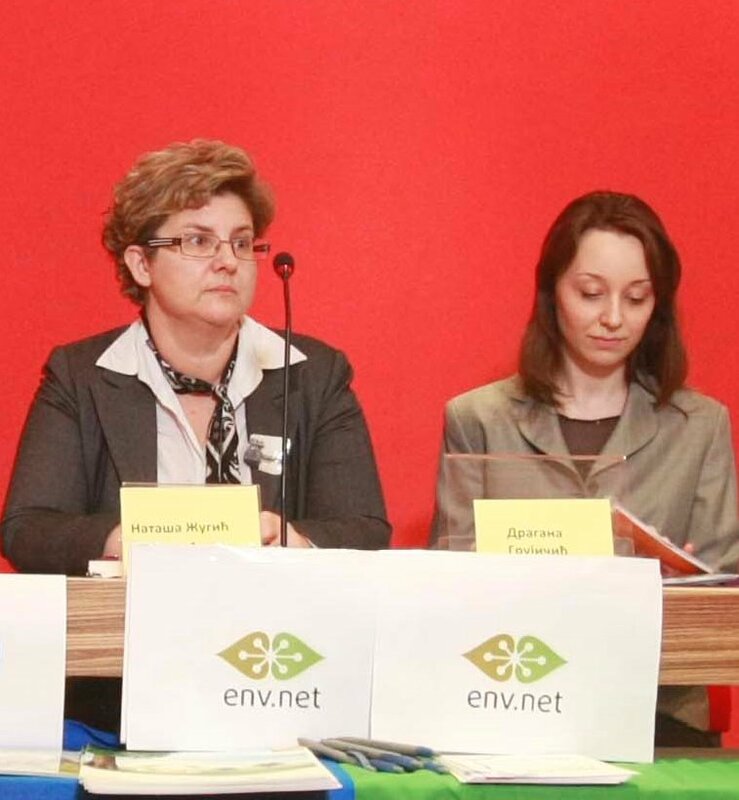 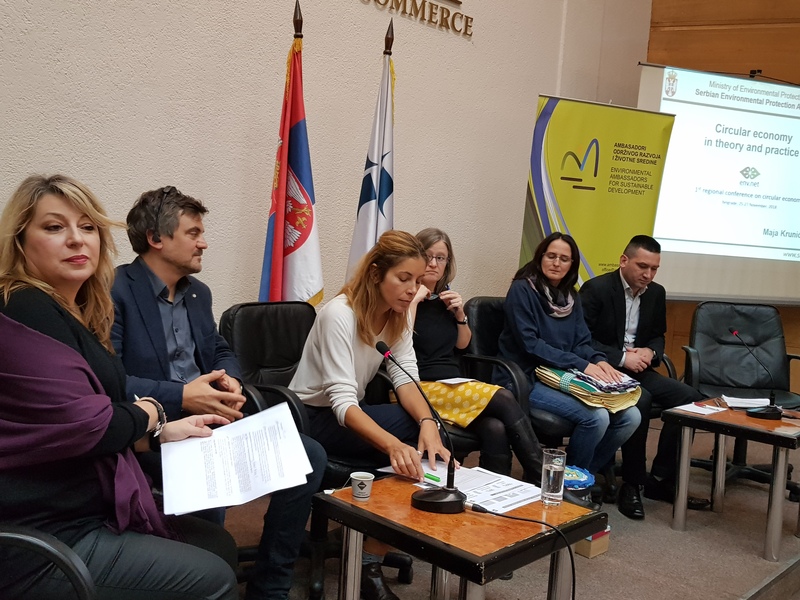 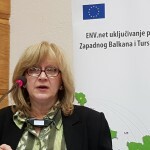 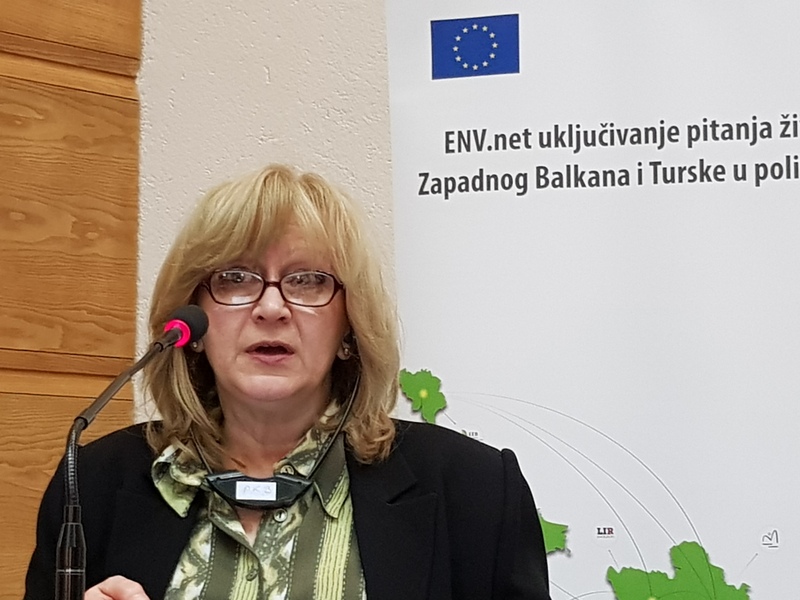 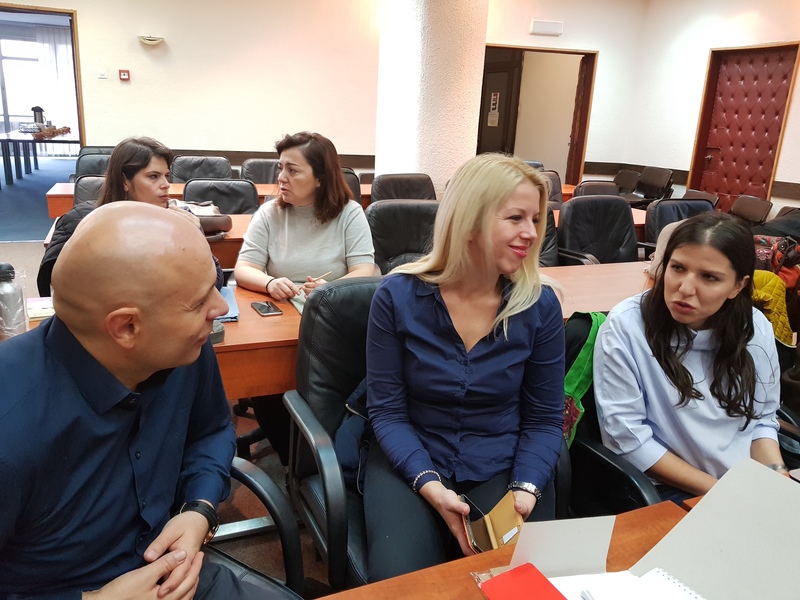 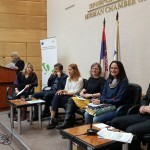 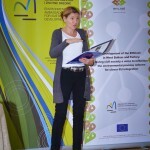 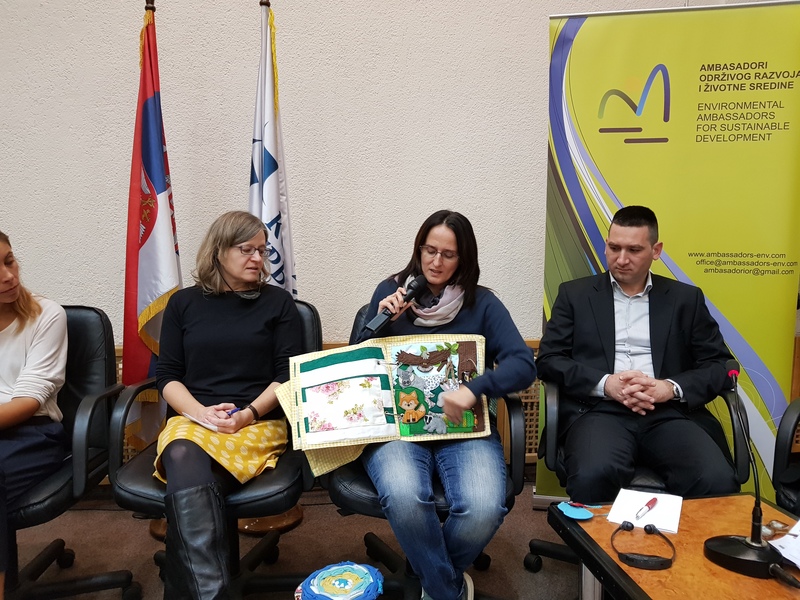 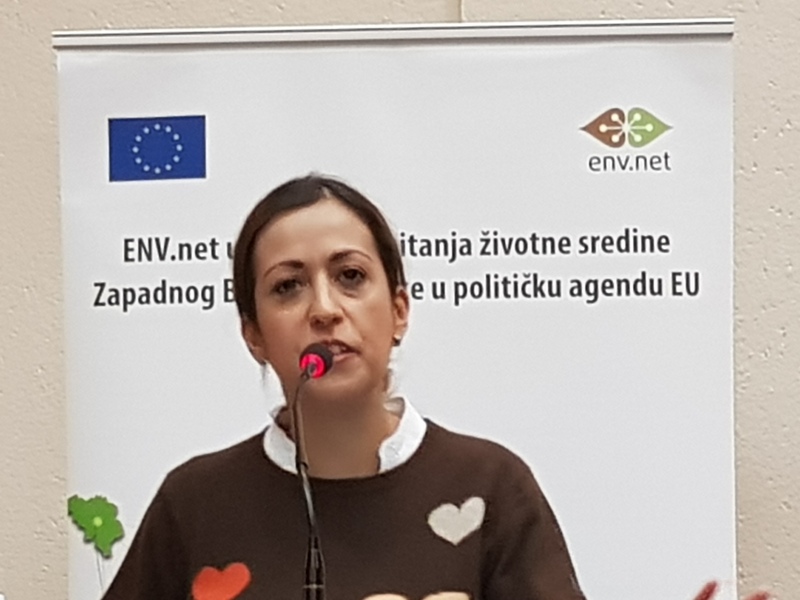 ENV.net Serbia National Coordinator Aleksandra Mladenovic presented ENV.net Initiative to update National Strategy on Sustainable Use of Natural Resources and Goods by applying Circular Economy concept. 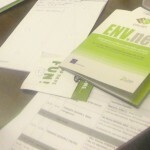 The Initiative is acknowledged , and will be send to Ministry competent for Environment. 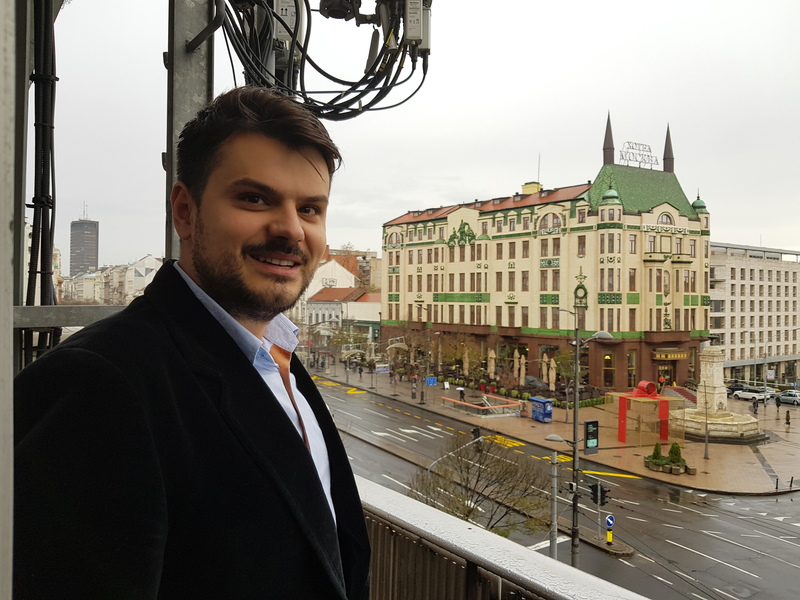 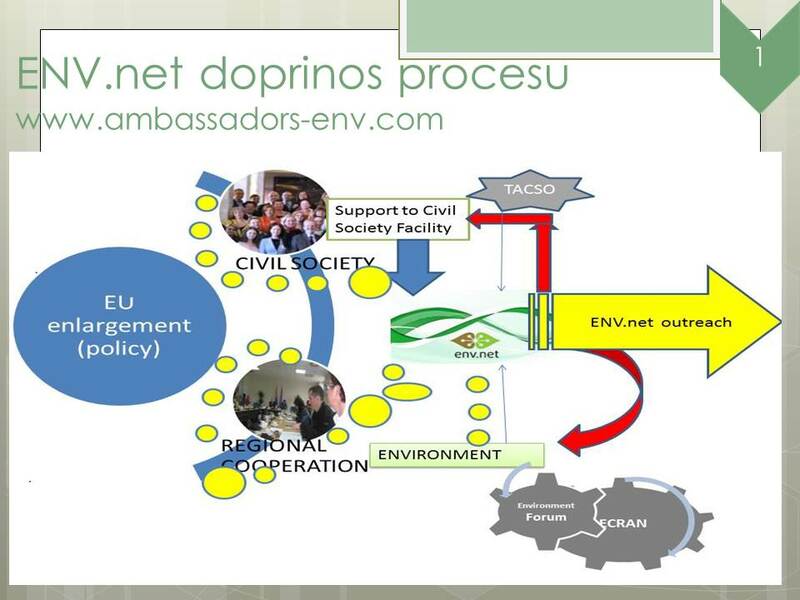 May 2018: Following project plan and Activity 1.8 Strengthening and expanding ENV.net communication strategy, lectures have been delivered at the University of Belgrade and University of Novi Sad. 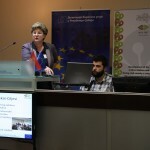 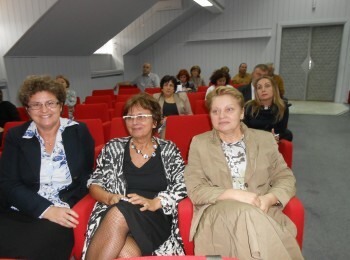 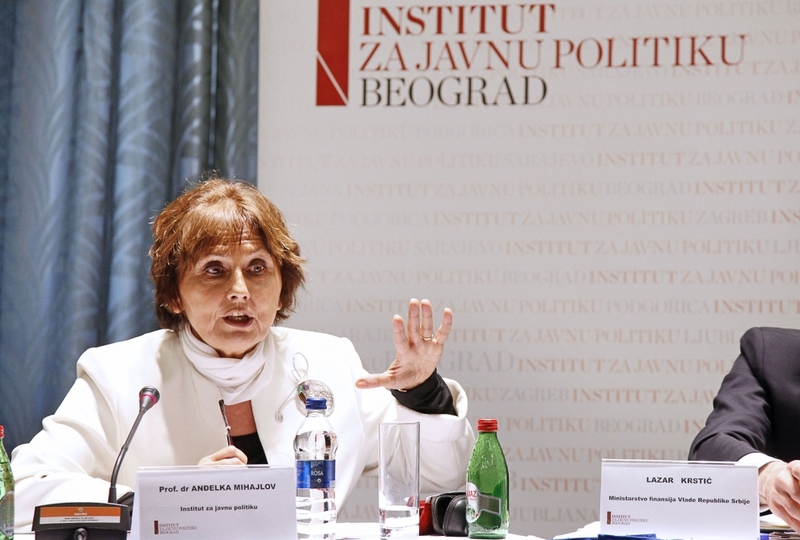 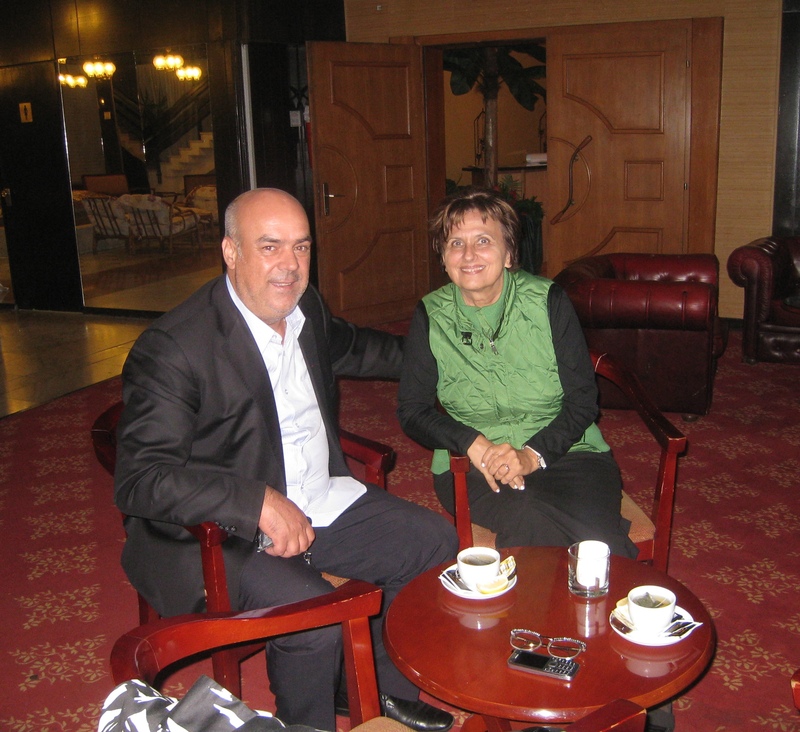 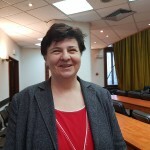 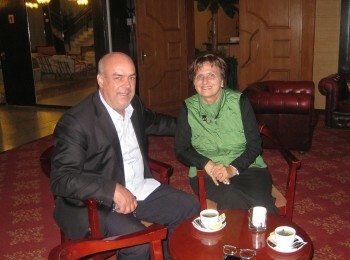 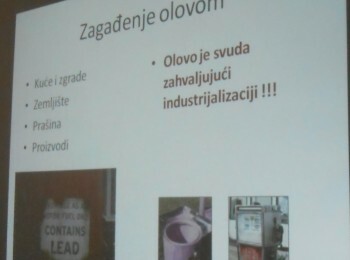 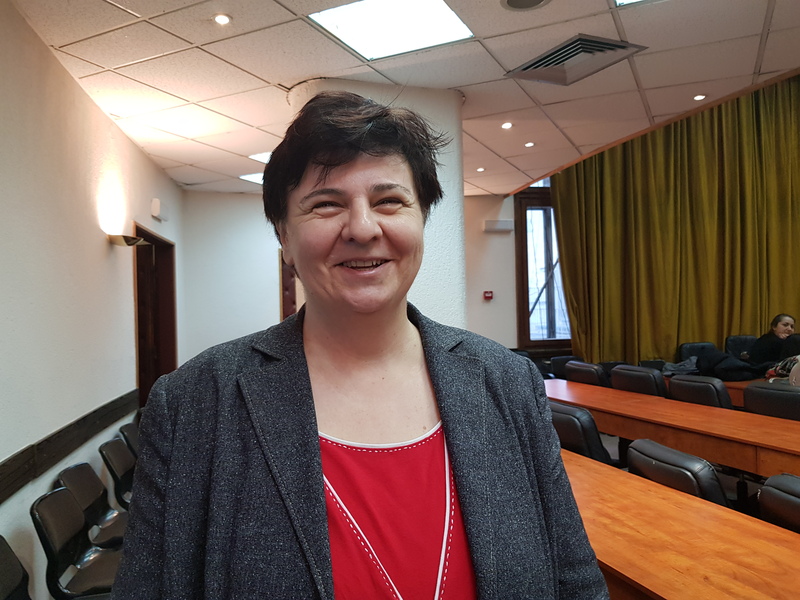 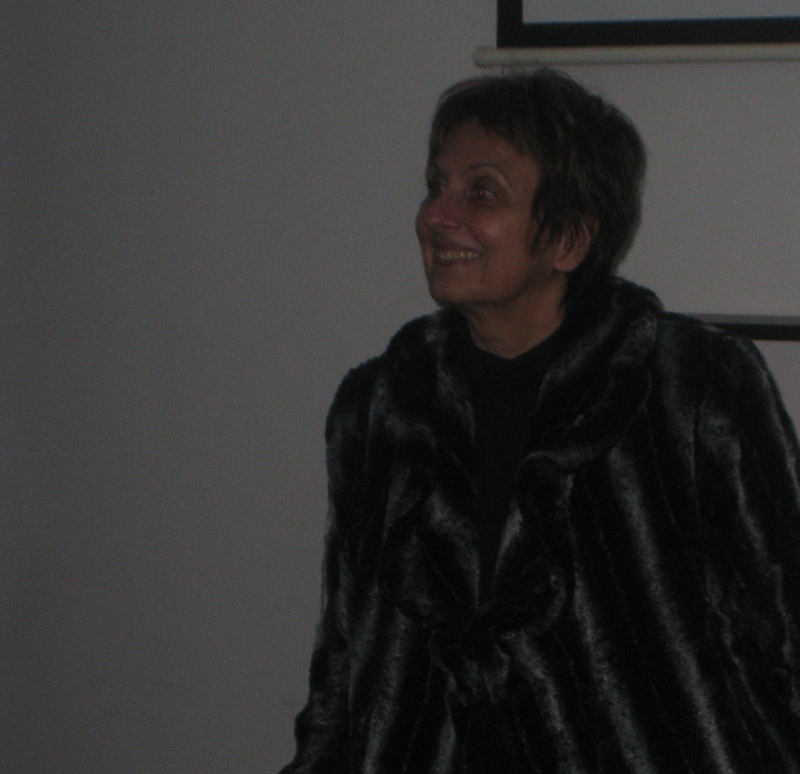 Prof. dr Andjelka Mihajlov, expert and honorably president of EASD, with support of Prof. dr Mirjana Drenovak Ivanovic, Faculty of Law University of Belgrade and Prof. dr Goran Vujic, Faculty of Technical Sciences University of Belgrade, had a lecture related to Circular Economy at the both Universities. 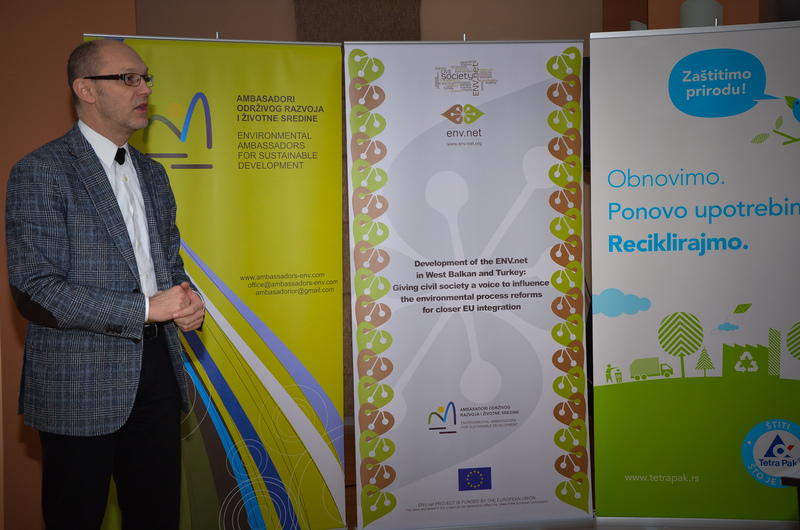 Professor Mihajlov explained to the students of Law and students of Technical Sciences the concept of circular economy, and discussed reasons why is important to have all three pillars of sustainable development in balance. 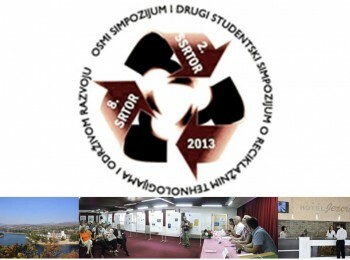 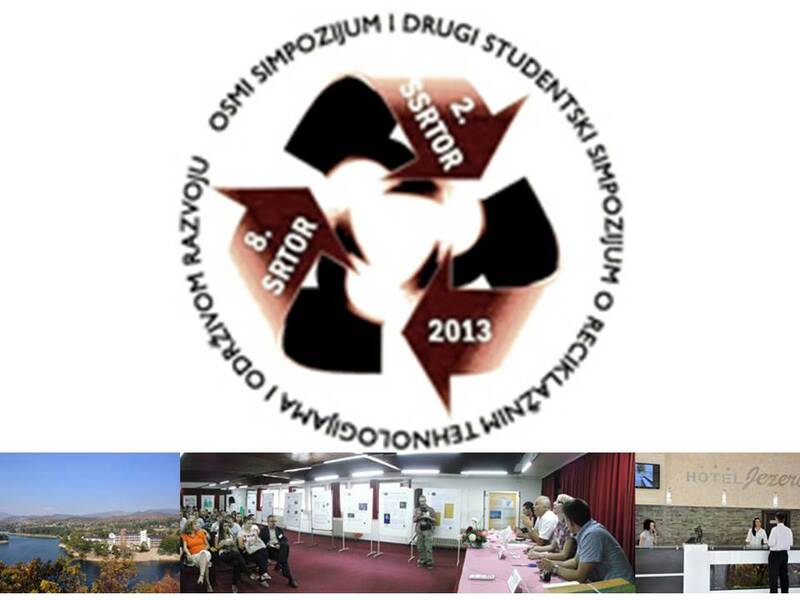 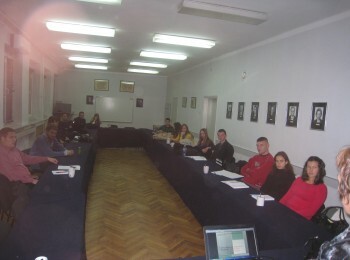 Students also had opportunity to learn how individuals, companies, decision makers and society as whole can contribute to overcoming problems in implementation of this concept faced in the previous period, pointing out that circular economy is concept and process, and still not “full circle”. 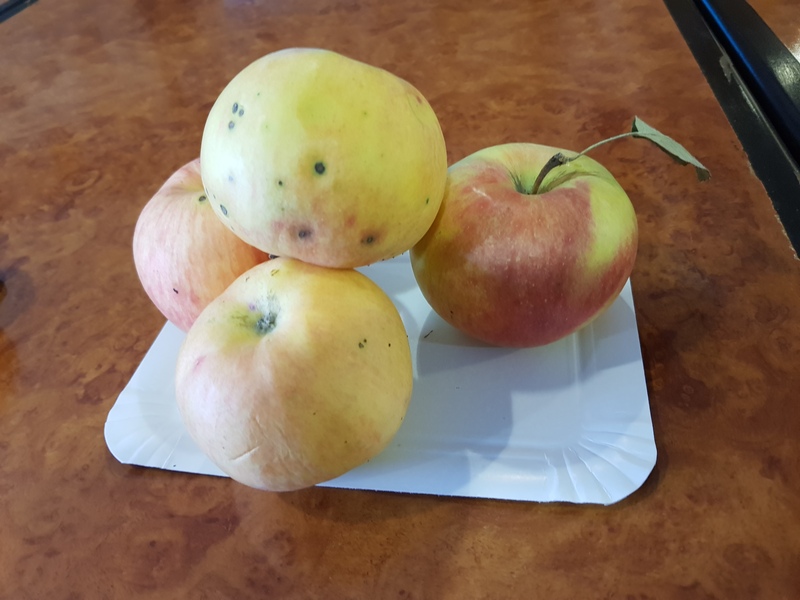 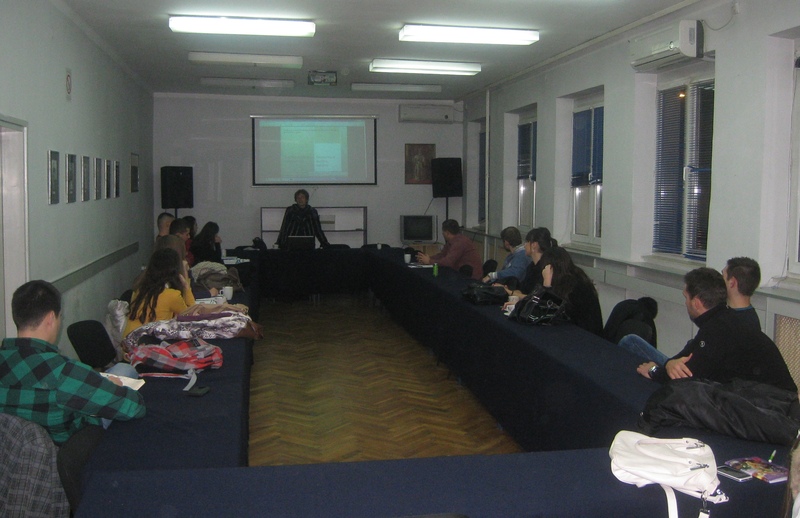 During discussion, students tried to define circular economy as known term, and evident understanding after the lecture was recorded, compared to their opinions at the beginning. Some of the important highlights from the lecture will be involved in the ordinary test that will serve to check knowledge gained. 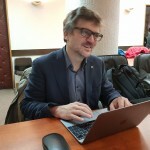 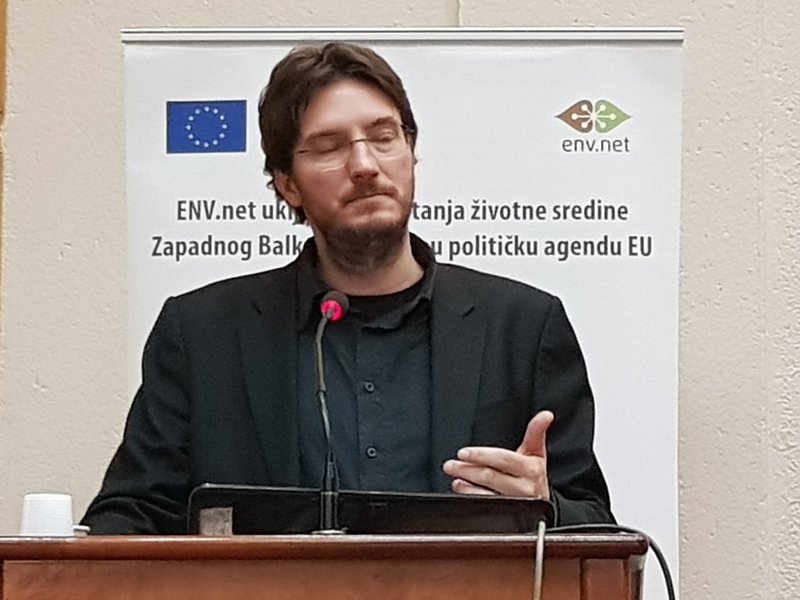 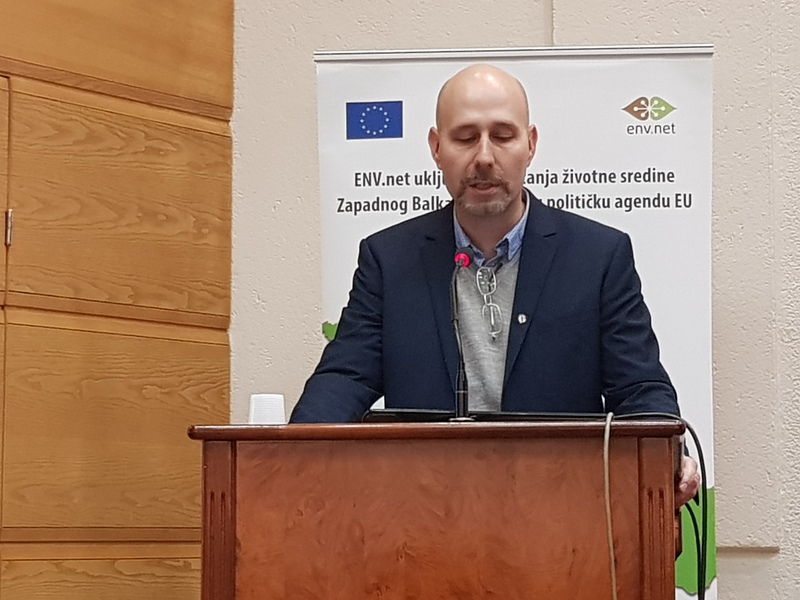 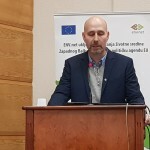 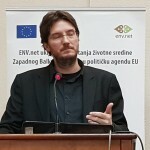 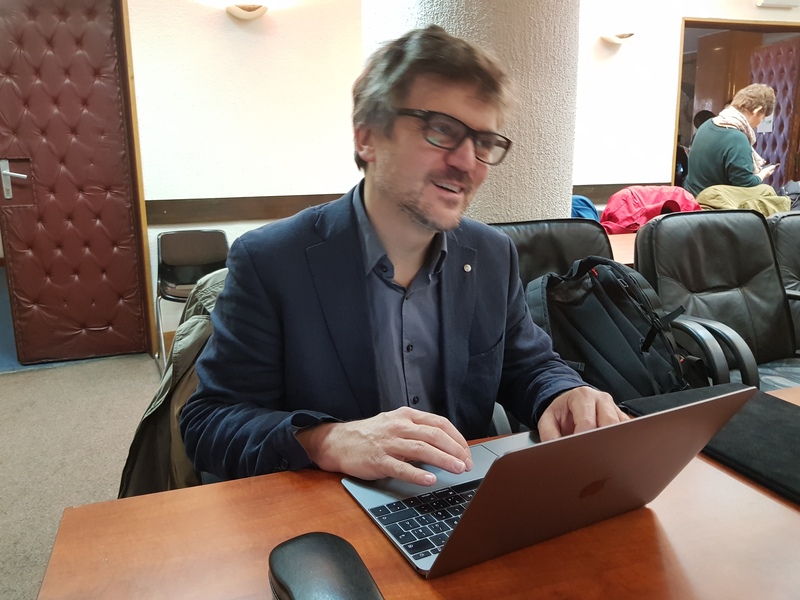 Professor Mihajlov took the opportunity to present env.net3 project, experience from the previous project periods and to explain how is possible to reach decision makers having in mind strong partnership of civil societies and knowledge that could serve as the main force. 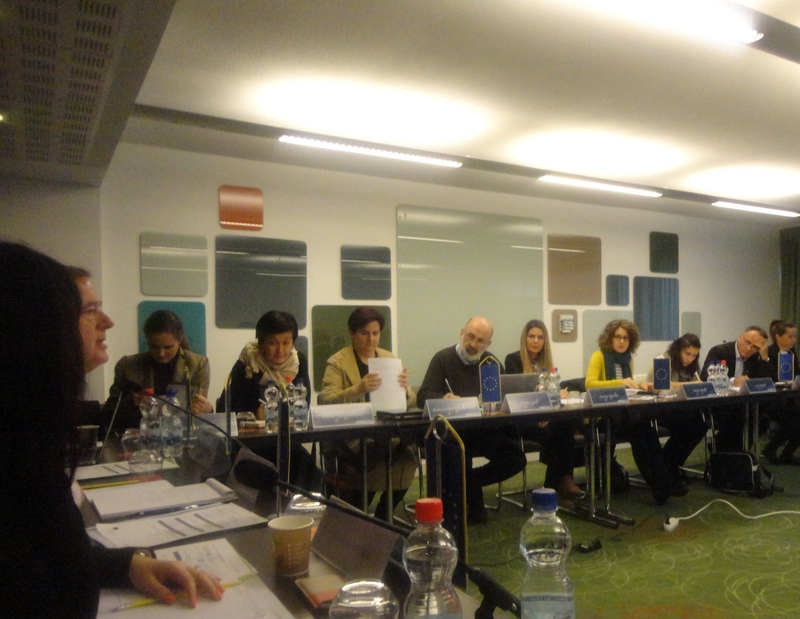 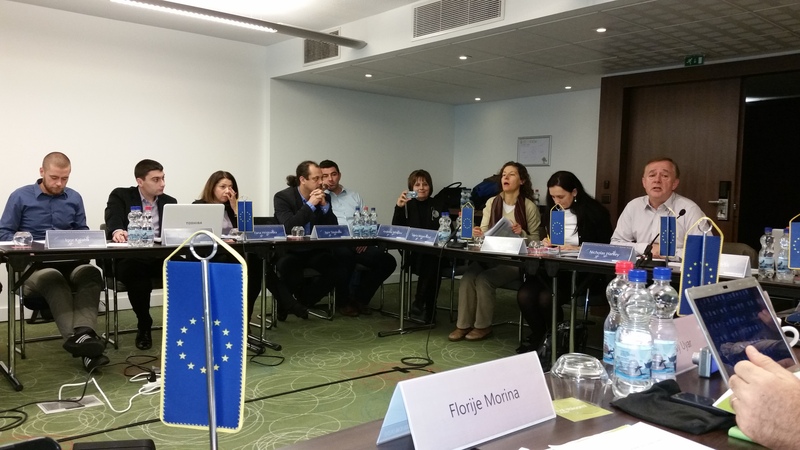 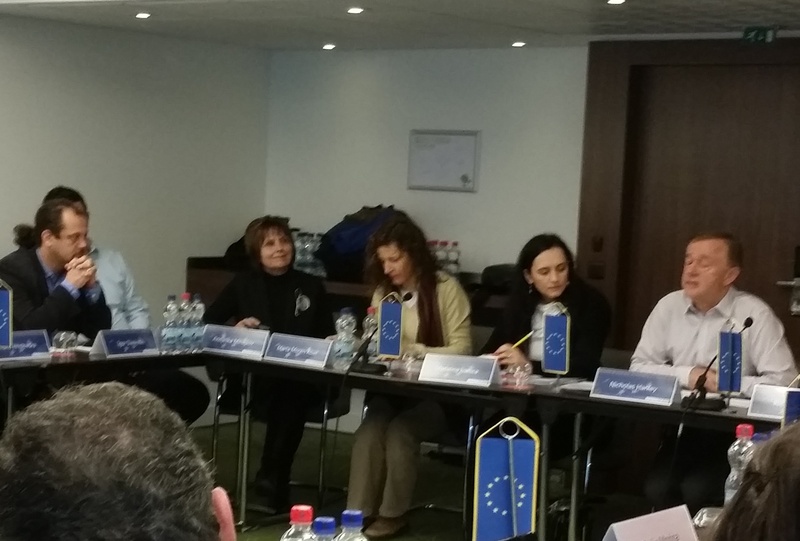 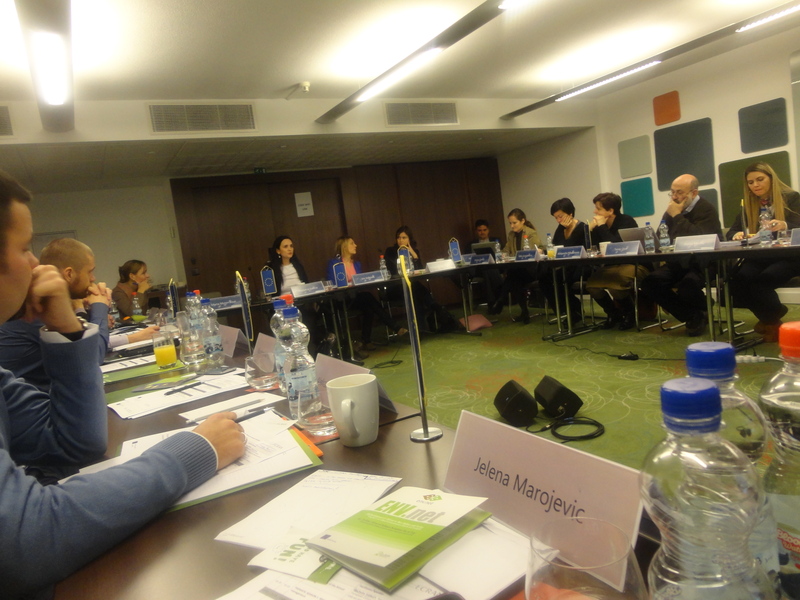 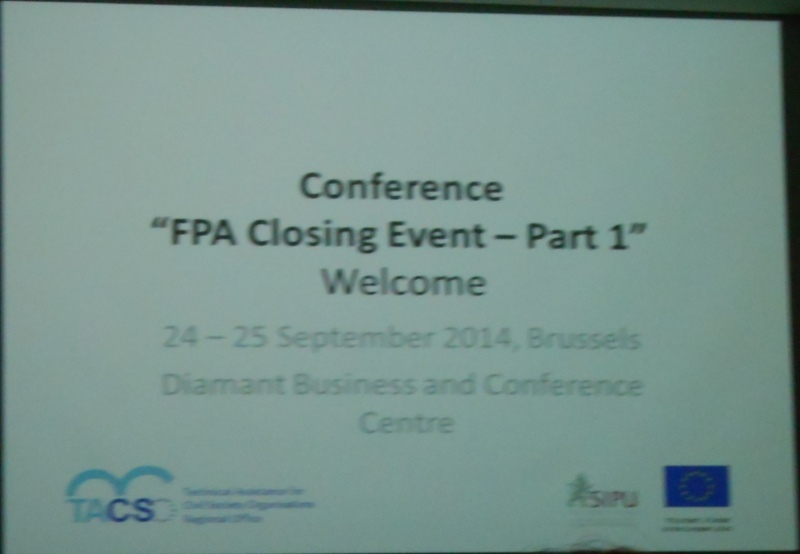 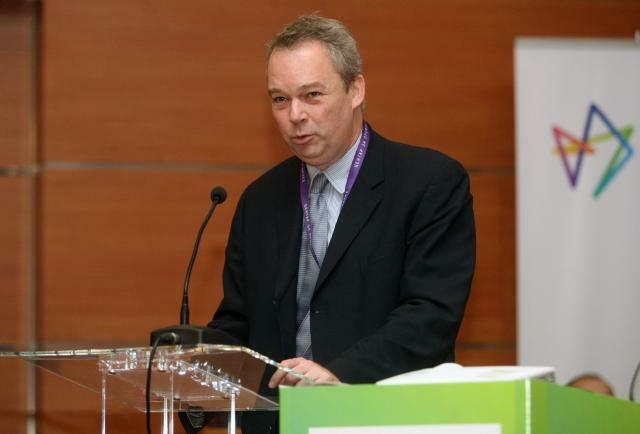 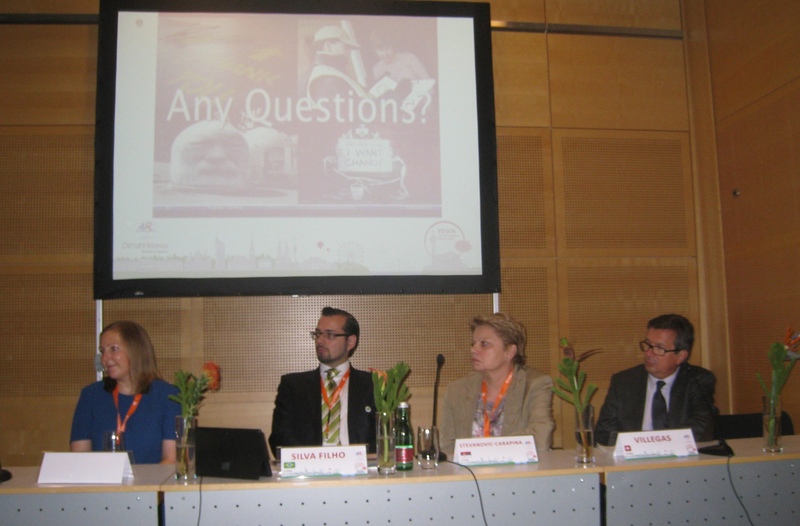 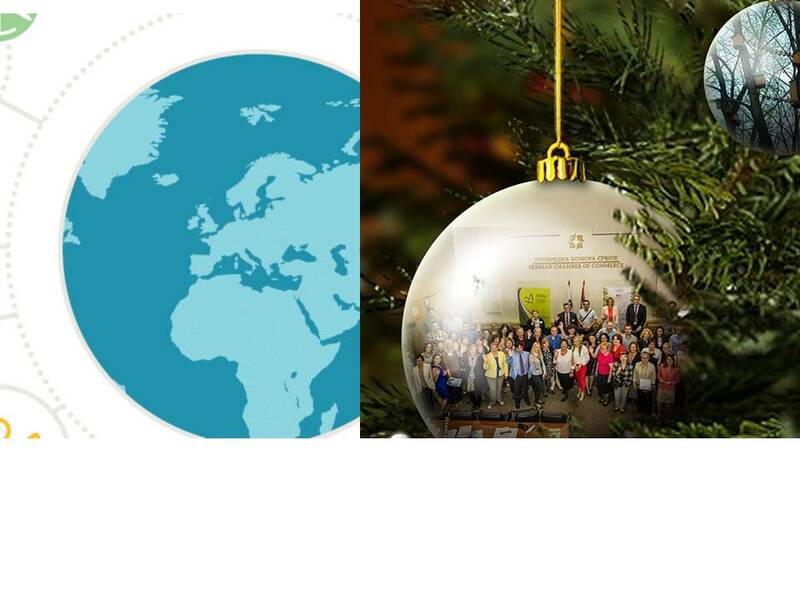 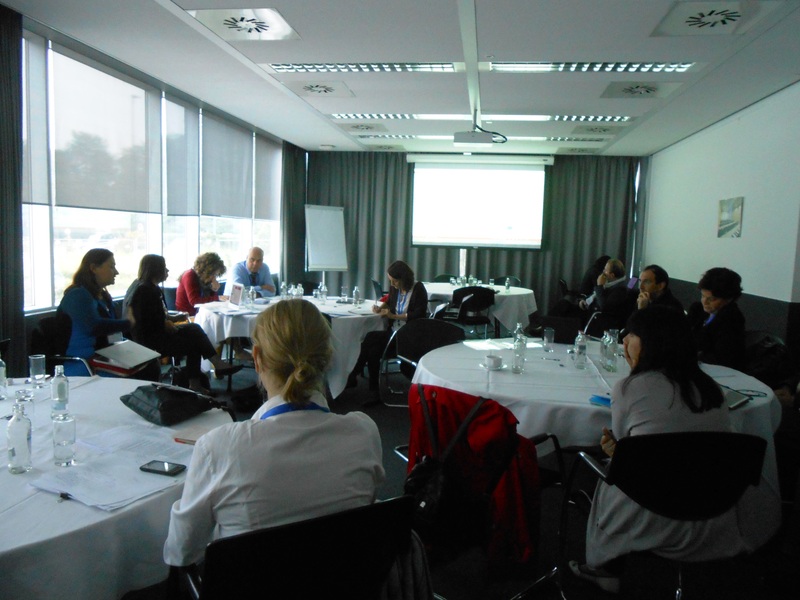 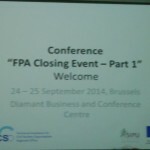 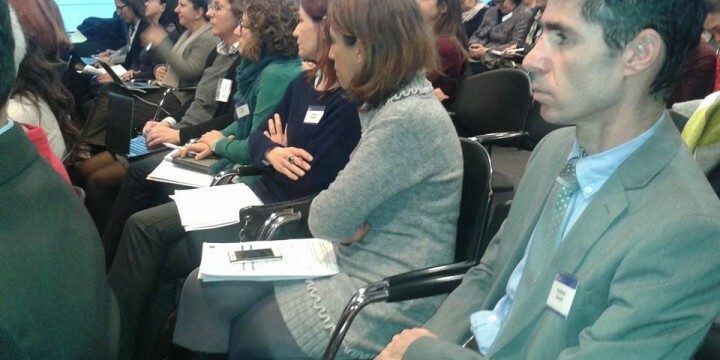 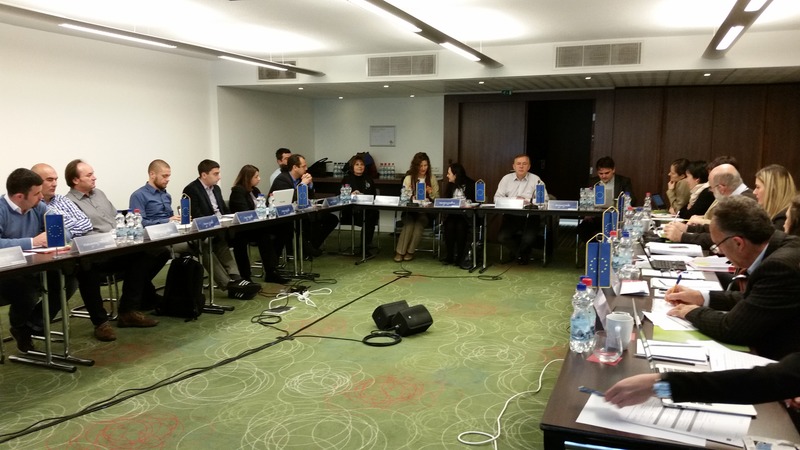 Regional Conference: „Sustainability of the FPAs” was held in Brussels, in January 26-27, 2016. 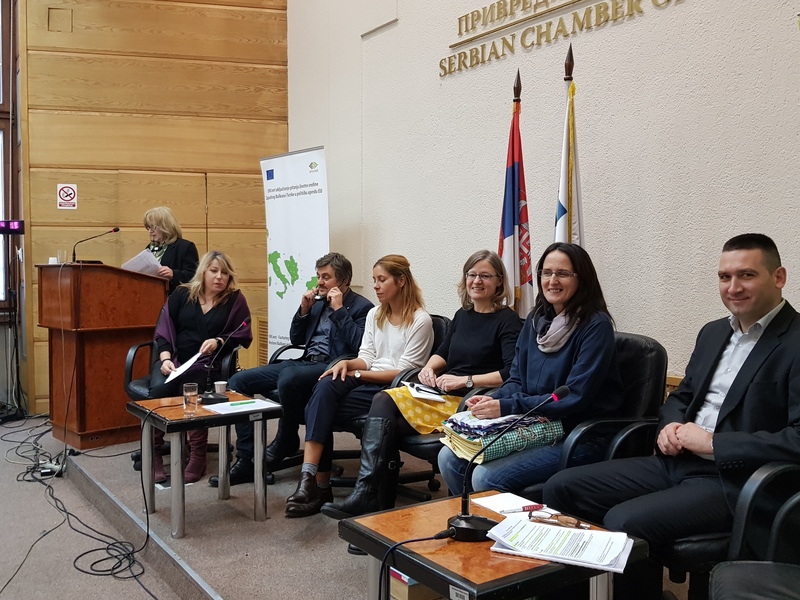 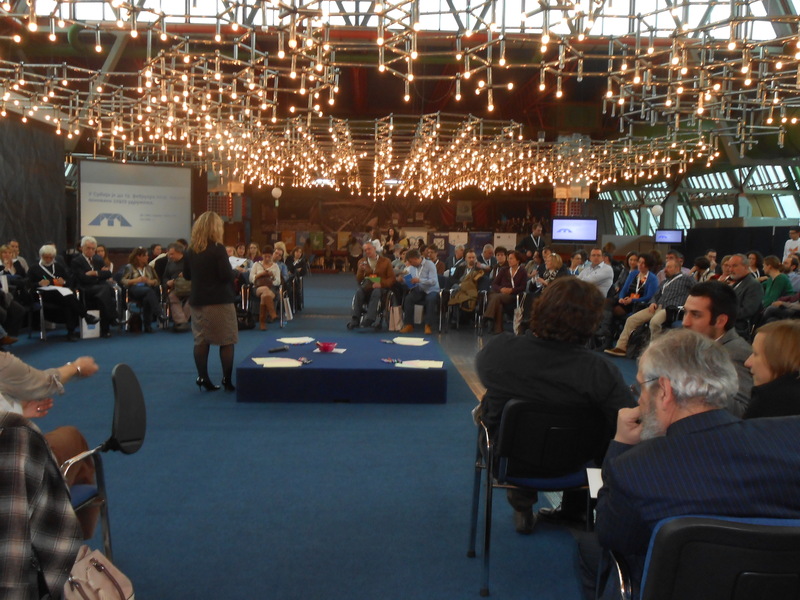 At the conference, all projects from the IPA Beneficiaries EuropeAid/133642/C/SER/Multi we presented, with a particular focus on the future plans of networks, and their sustainability, as well as sustainability of their outcomes. 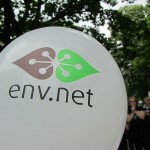 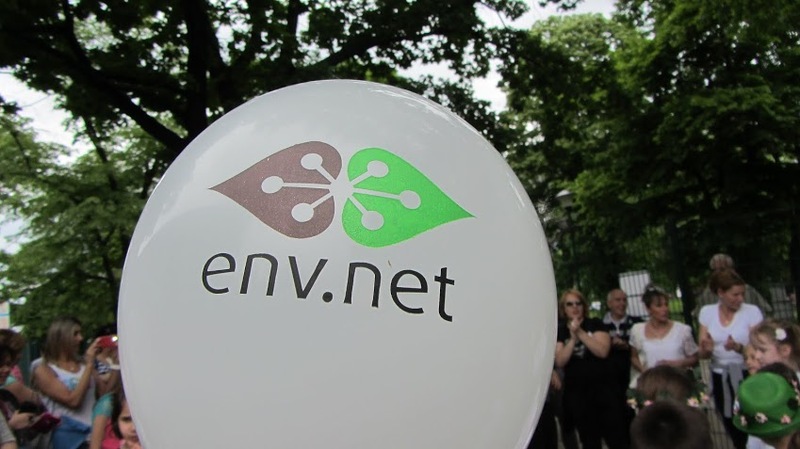 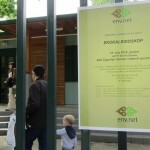 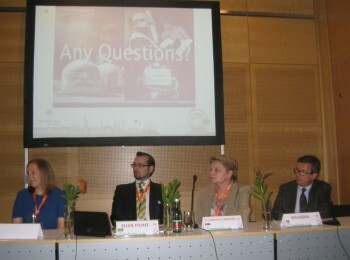 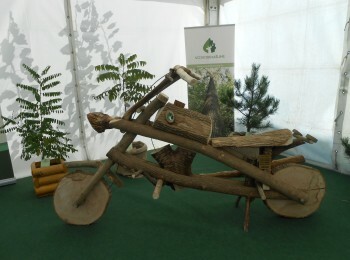 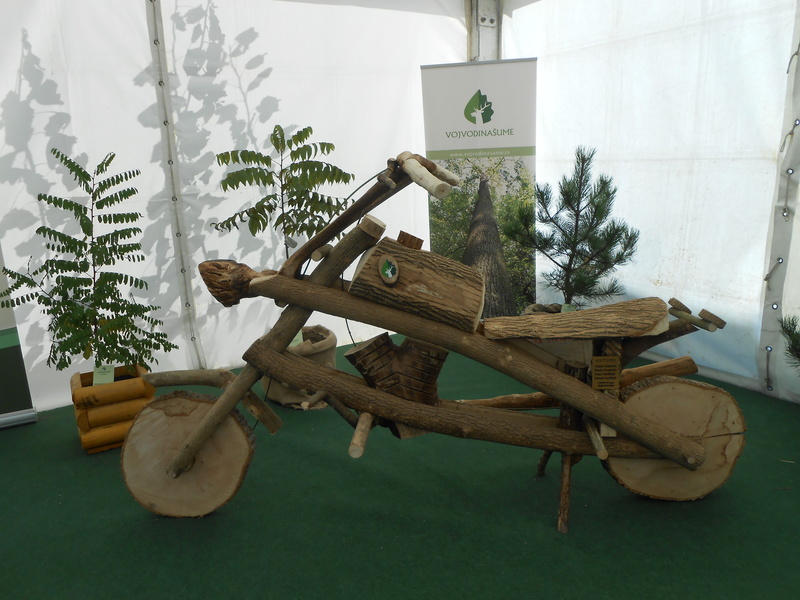 ENV.net, as one of 18 projects that was present, showed the future plans for development and sustainability of their network. 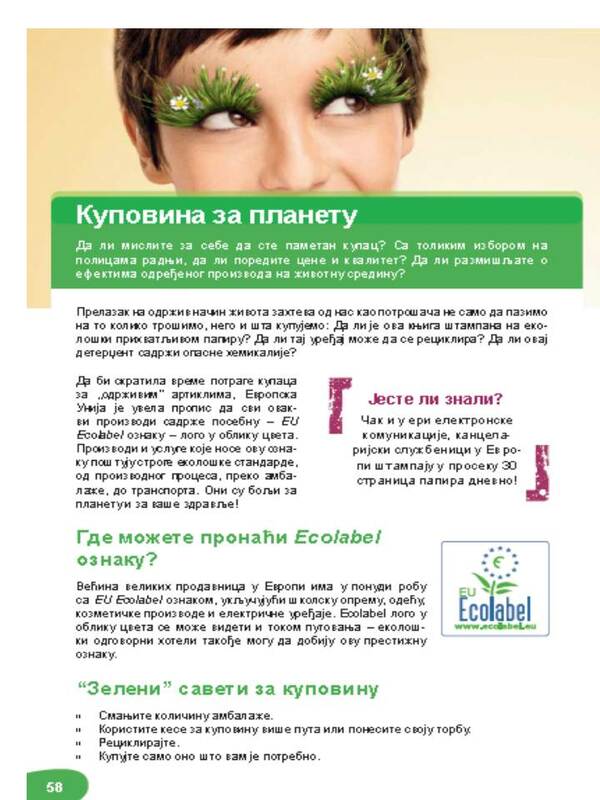 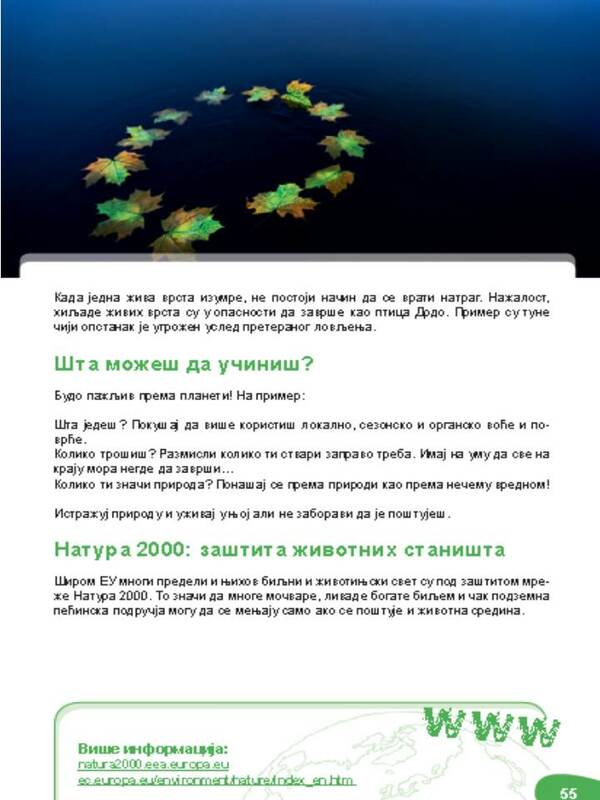 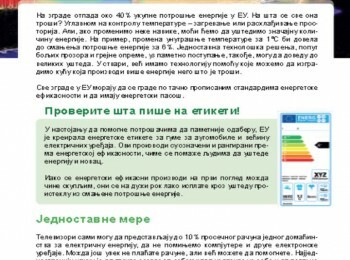 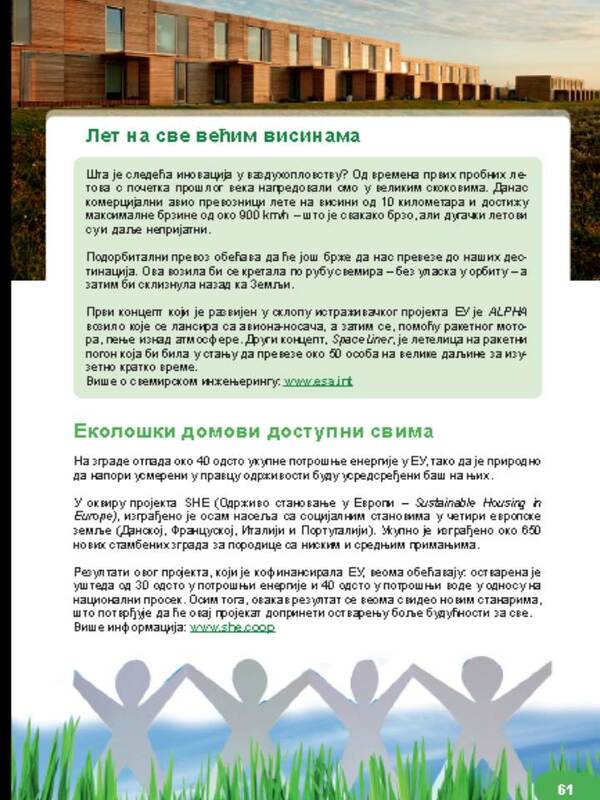 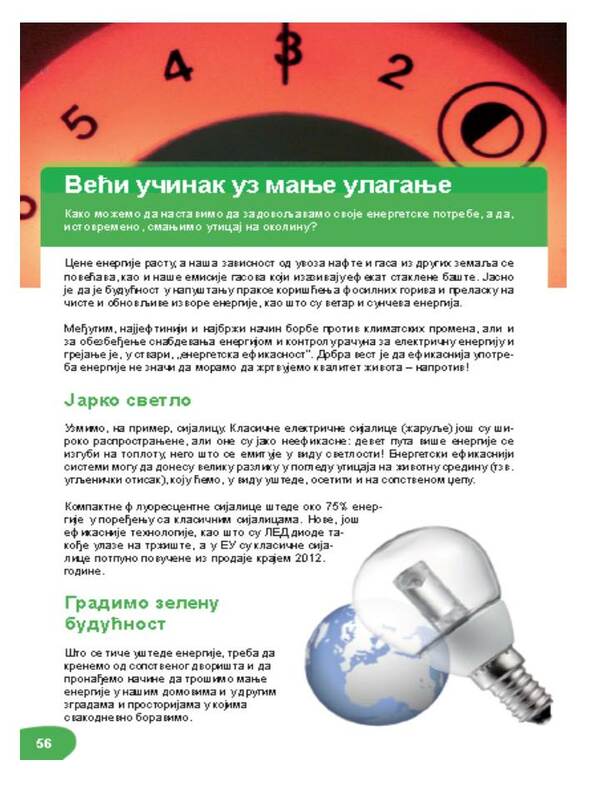 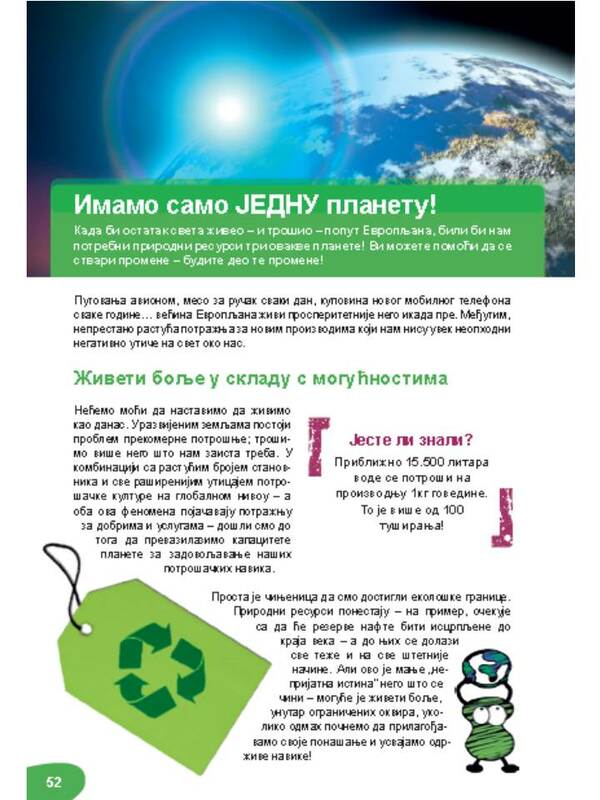 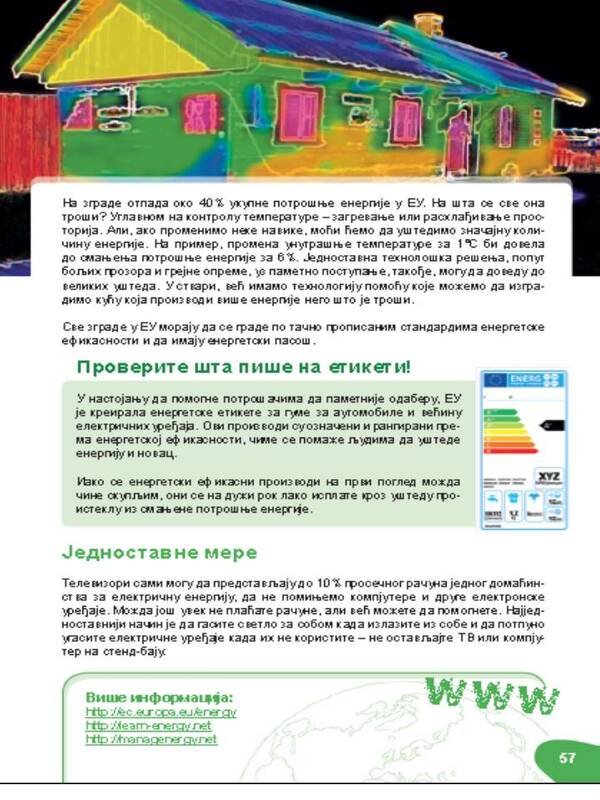 ENV.net Serbia brochure is published. 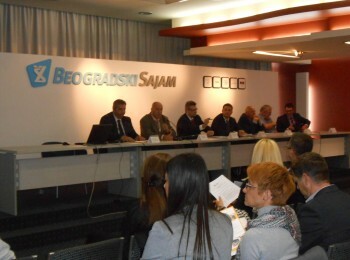 Certificates are awarded to: Berlekovic Danica, Bjelobrk Ana, Djuric Predrag, Djuricic Jovanka, Drasko Zlatko, Đurić Milan, Jovanovic Khumo Sekgabo, Kelember Marko, Kostic Milan, Kostic Sanja, Kukučka Andrej, Lanji Hnis Izabel, Lukovic Brankica, Momcilovic Milica, Randjelović Dragana, Starović Boris, Strugar Aleksandra, Tosic Sandra and Vujović Ivan. 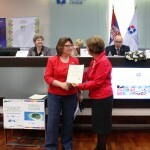 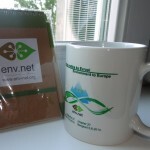 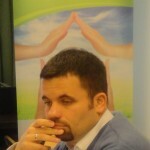 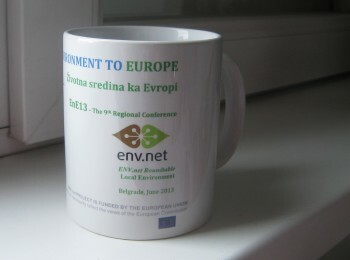 Congratulation to ENV.net and ENV.net Serbia Teams fo organisation!!!! 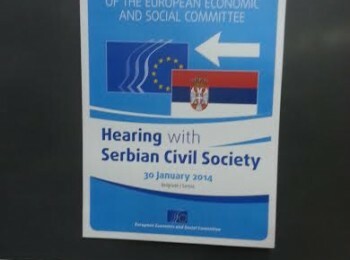 In the context of preparations for the 2014 Progress Report, the Delegation of the European Union in Serbia is currently launching the round of consultations with the civil society. In this respect, they invited NSA to submit a written contribution to the to the 2014 Progress Report on the economic criteria and/or European standards. 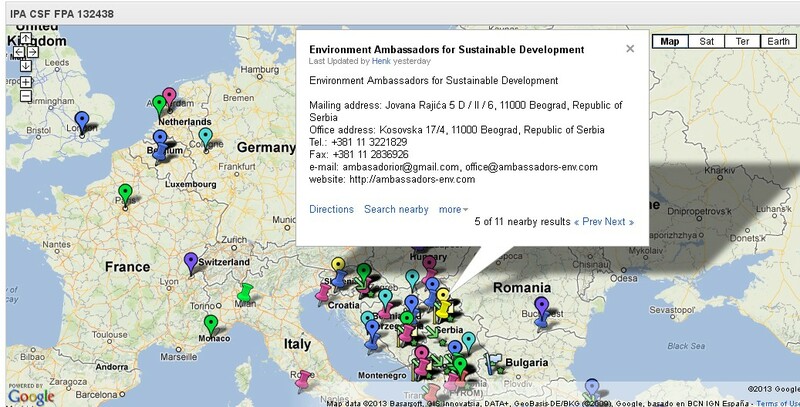 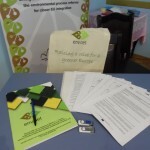 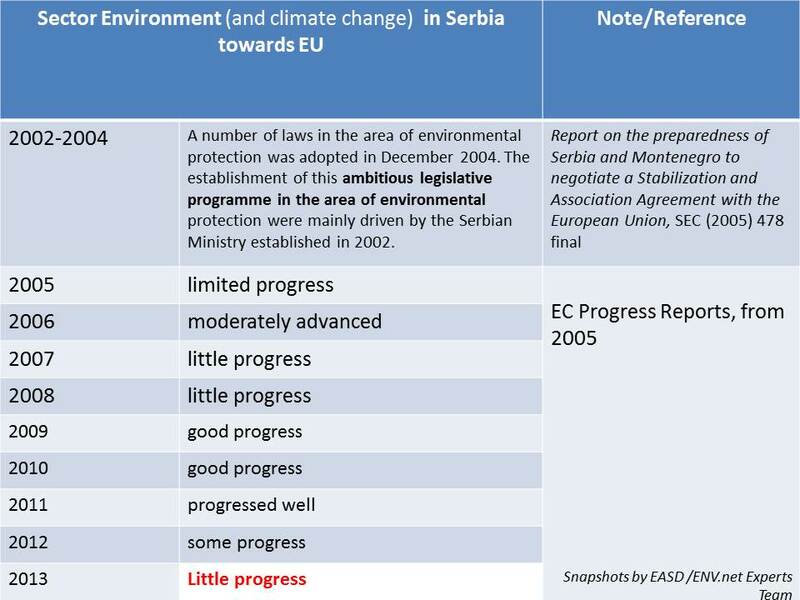 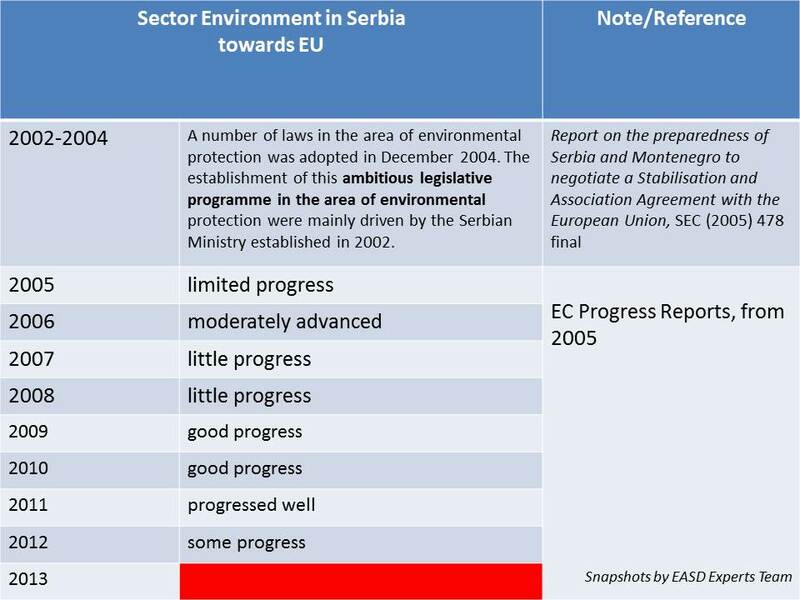 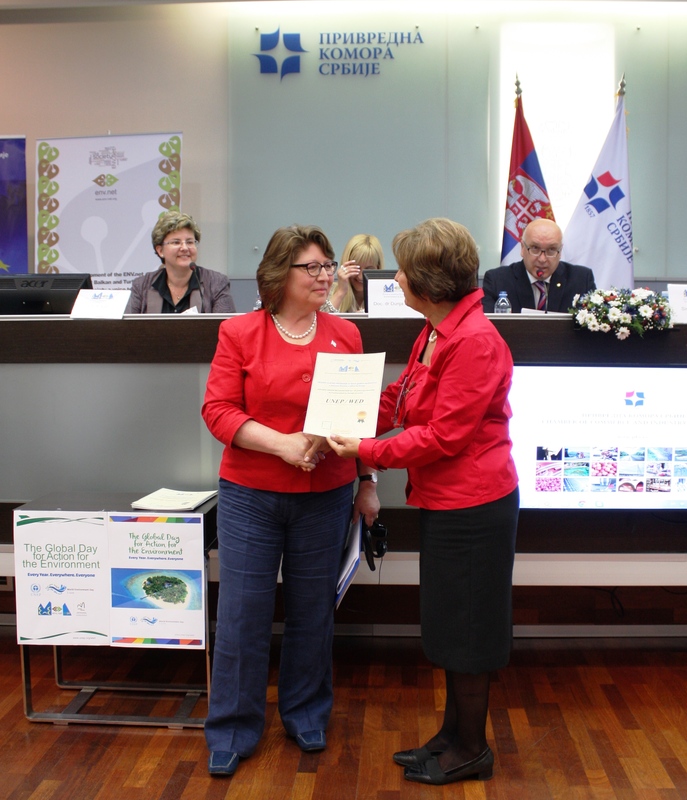 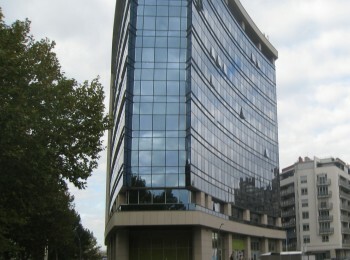 EASD – ENV.net Serbia, prepared and sent to EC Delegation in Serbia, written contribution to the 2014 Progress Report- Chapter 27. 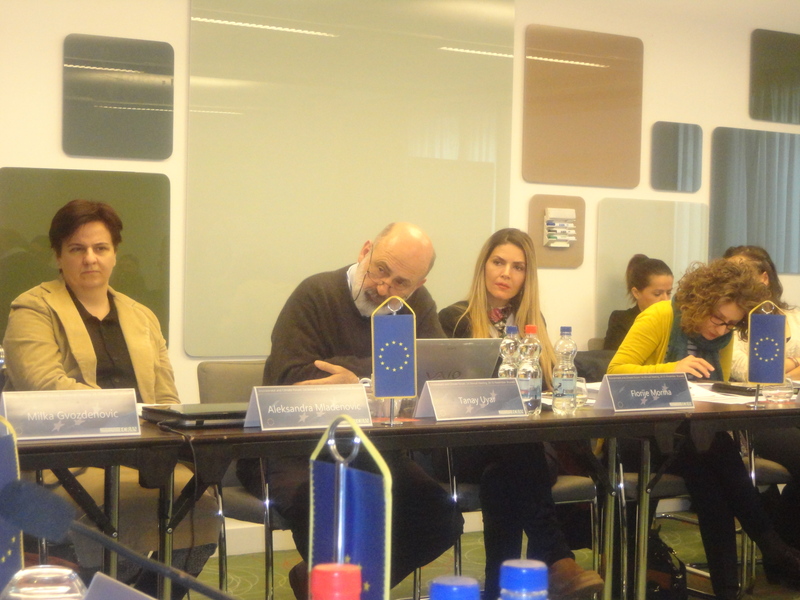 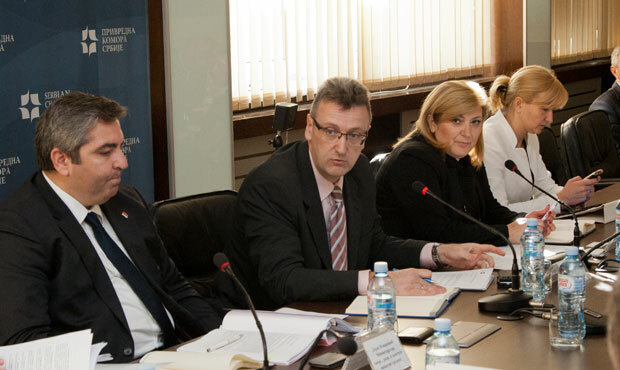 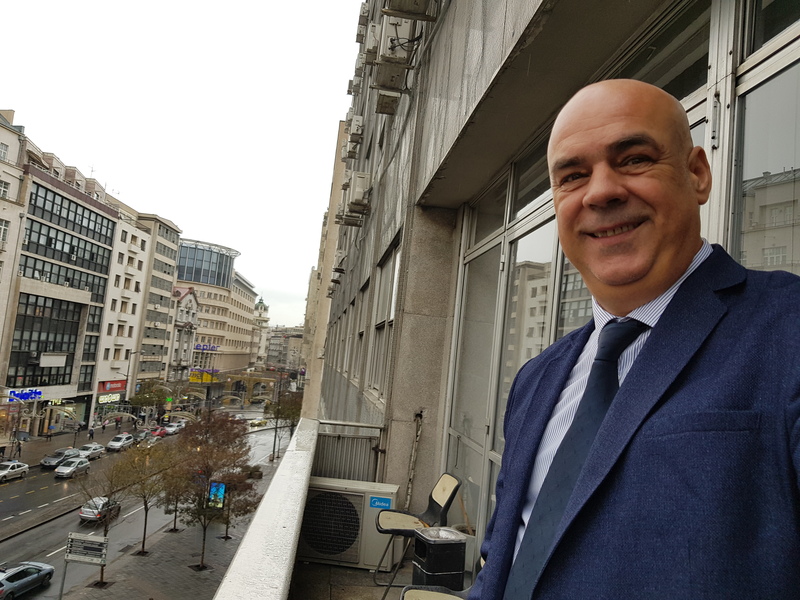 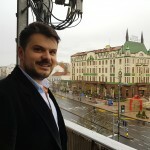 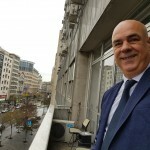 EASD representative will participate to the Economic Criteria Consultations which will take place at the at the EU Delegation to Serbia premises, on Friday 4 April. 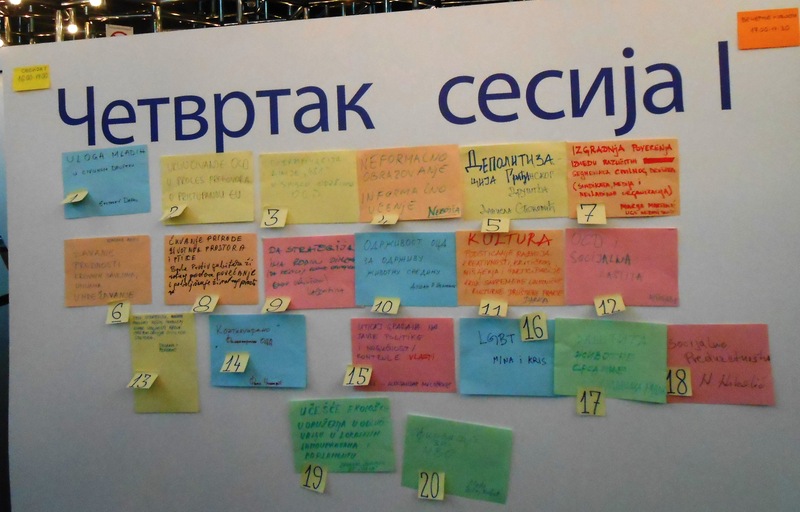 National conference „Get Involved – Define the Civil Society you want!” The Vision for the Civil Society in Serbia in 2018. 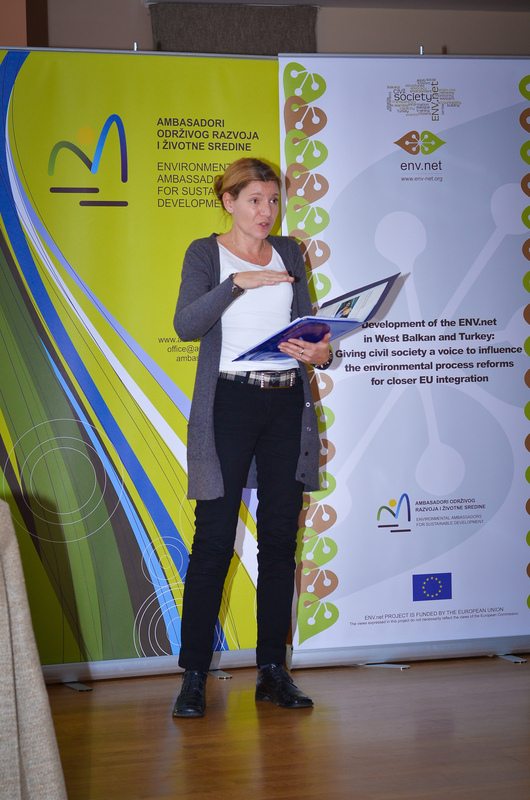 – creation of the first National Strategy for the enabling environment for the development of civil society” was held on February 20-21. 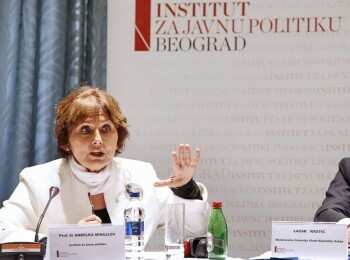 2014. in Belgrade. 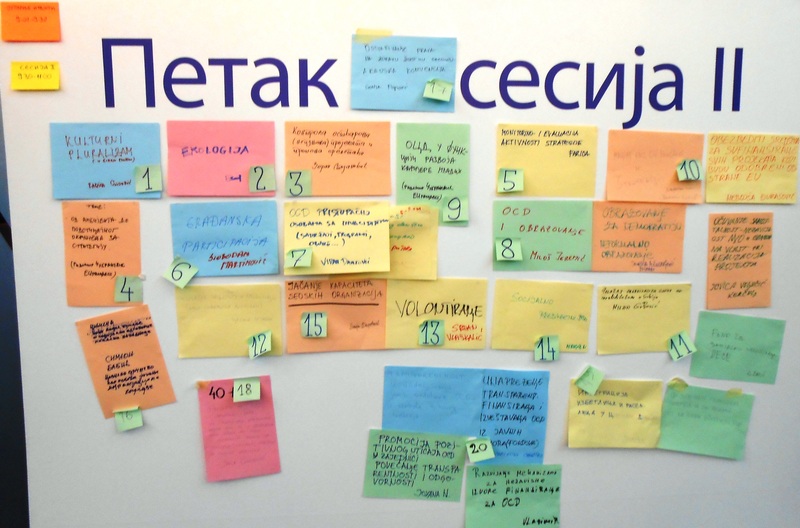 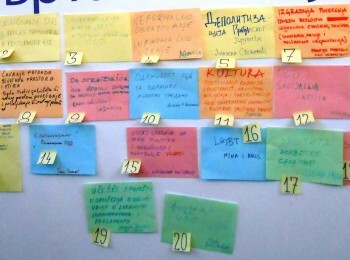 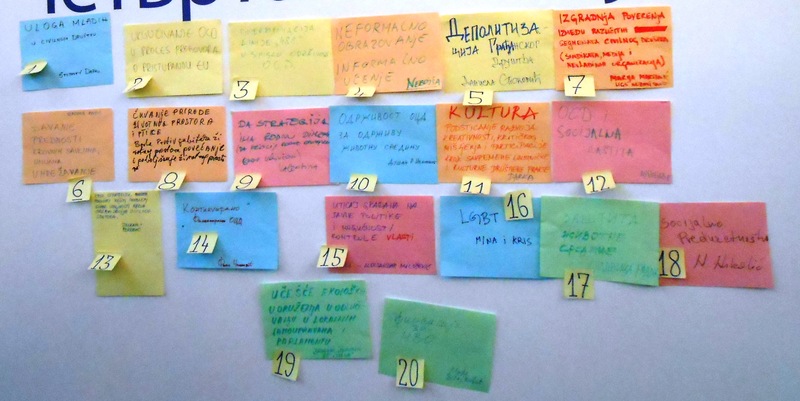 More than 280 representatives from civil society organisations, including the representative from the Environmental Ambassadors for Sustainable Development , participated in developing the first strategic framework for creating the better environment for the civil society development in Serbia by using Open Space Methodology. 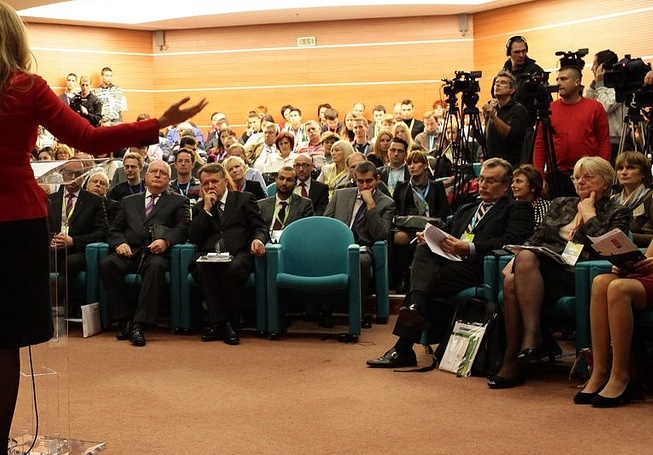 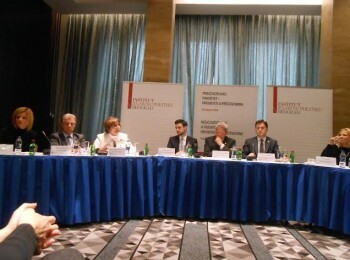 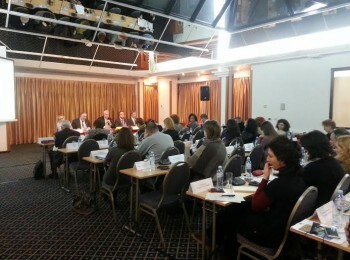 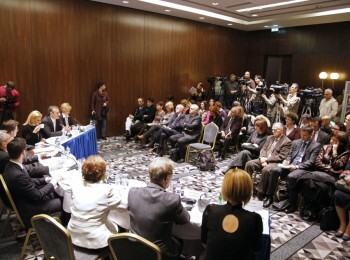 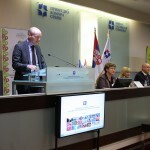 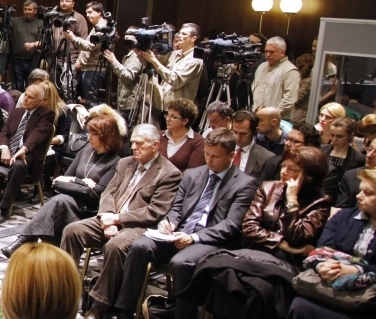 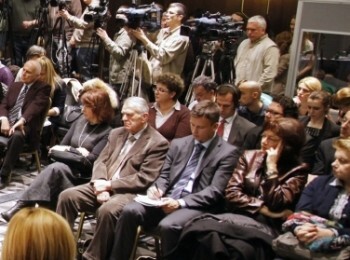 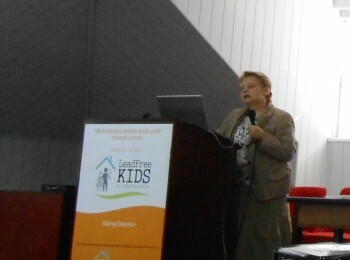 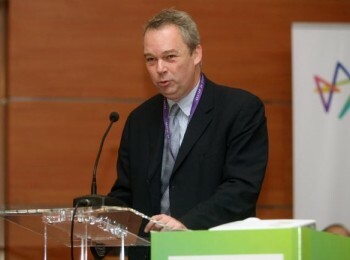 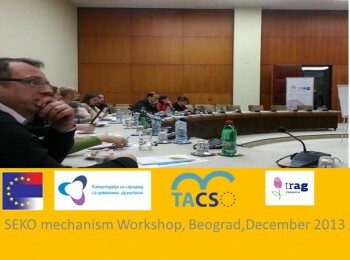 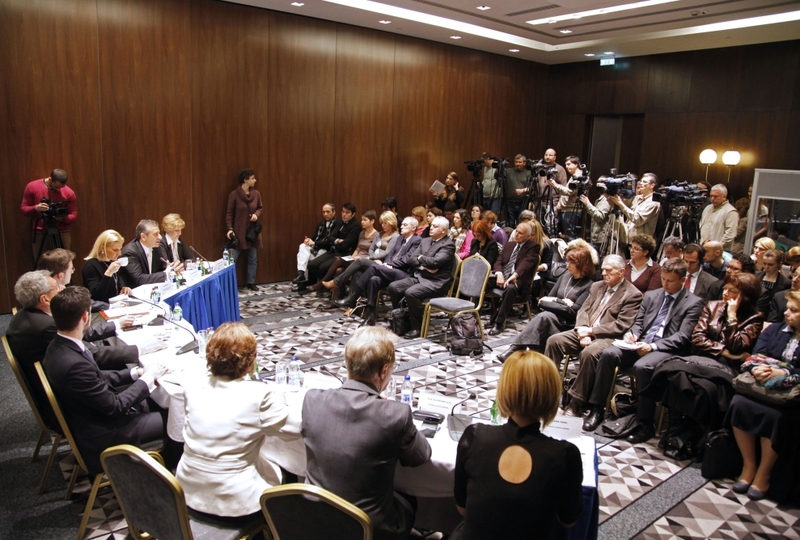 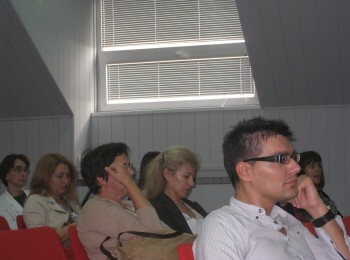 This conference was organised by the Governmental Office for Cooperation with Civil Society and TACSO Office in Serbia. 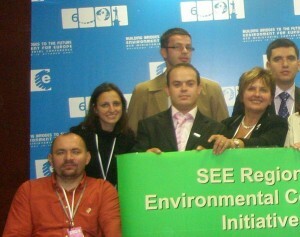 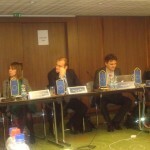 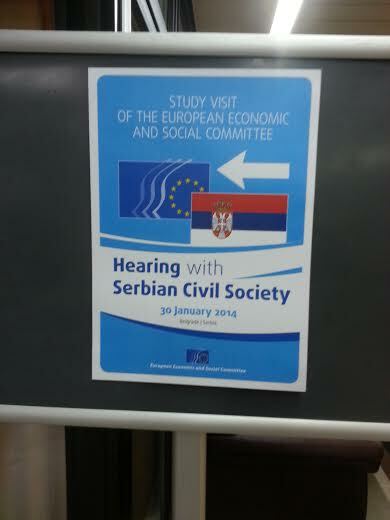 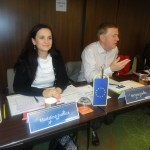 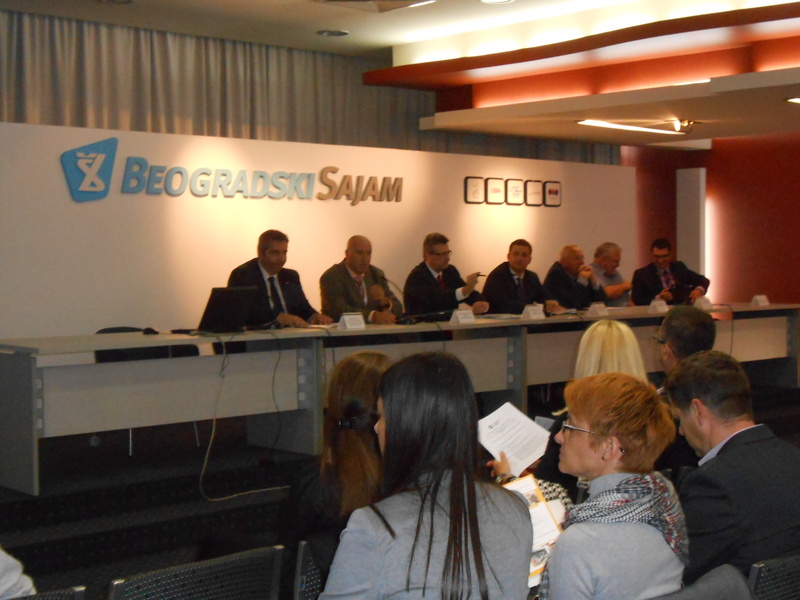 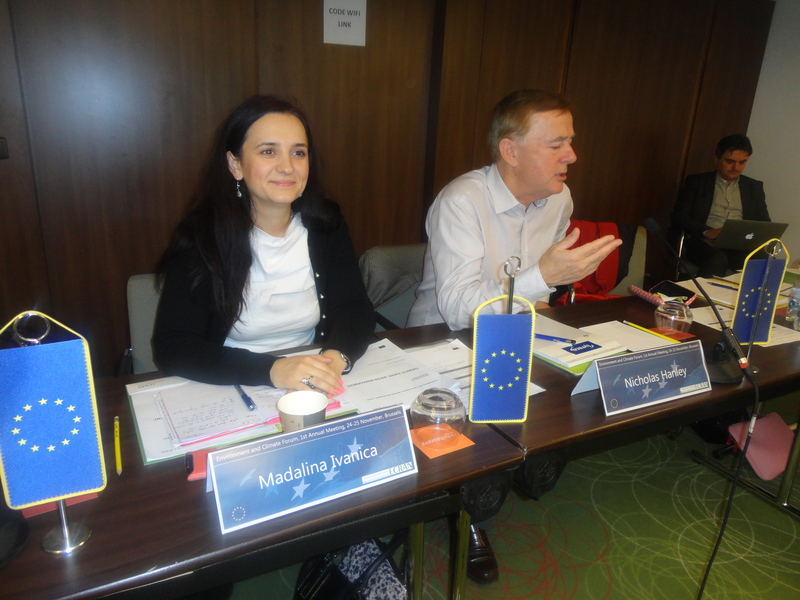 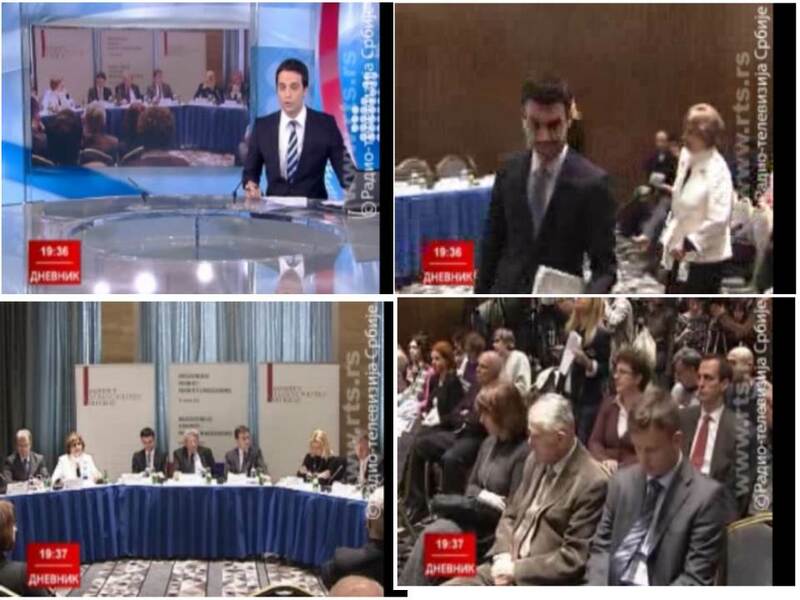 Delegation of EU in Serbia participated. 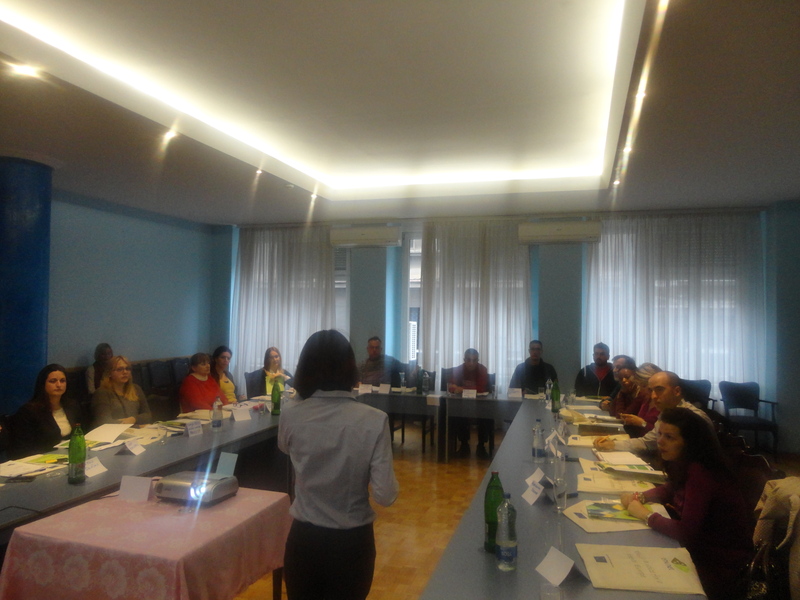 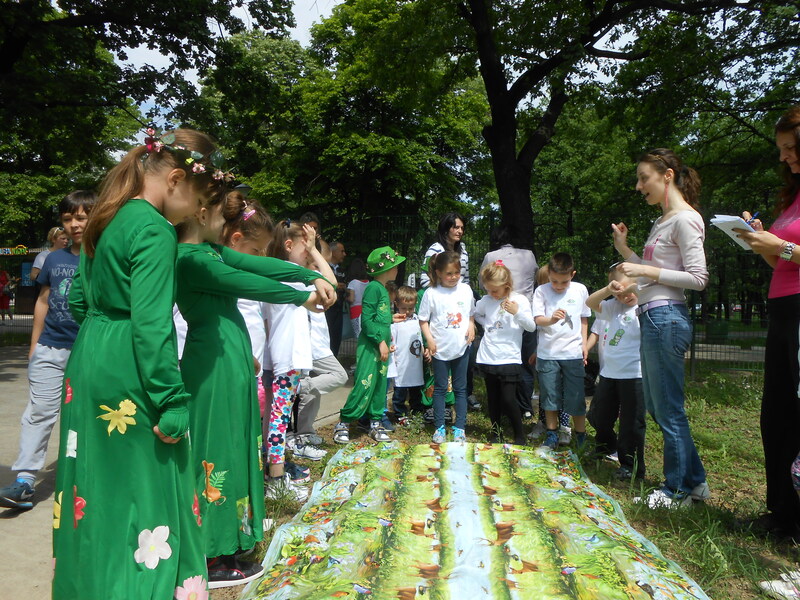 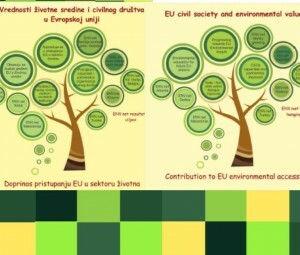 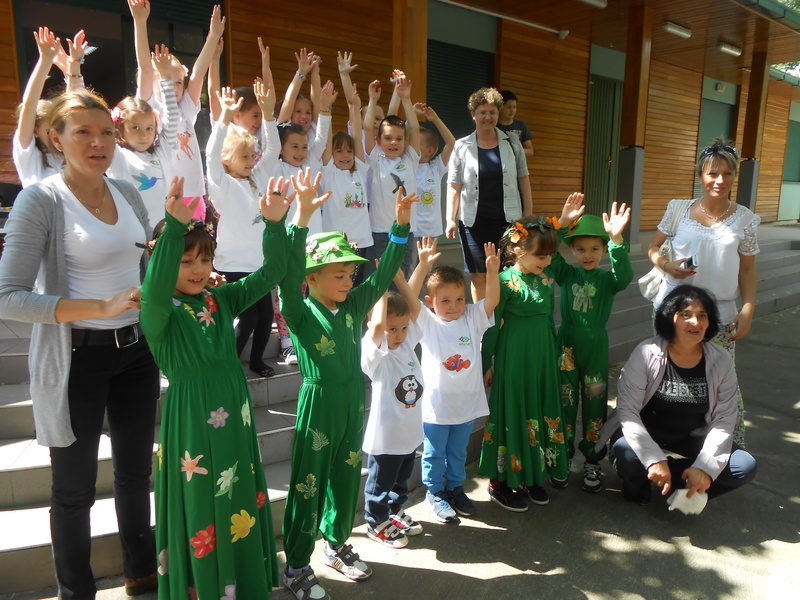 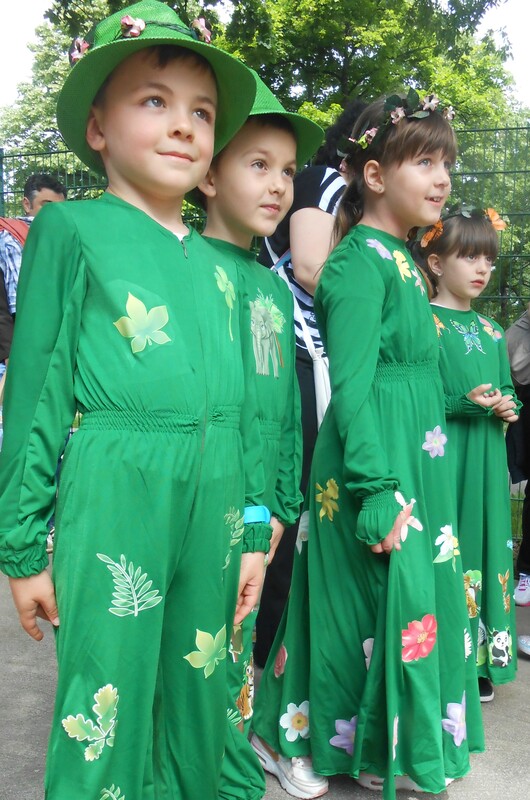 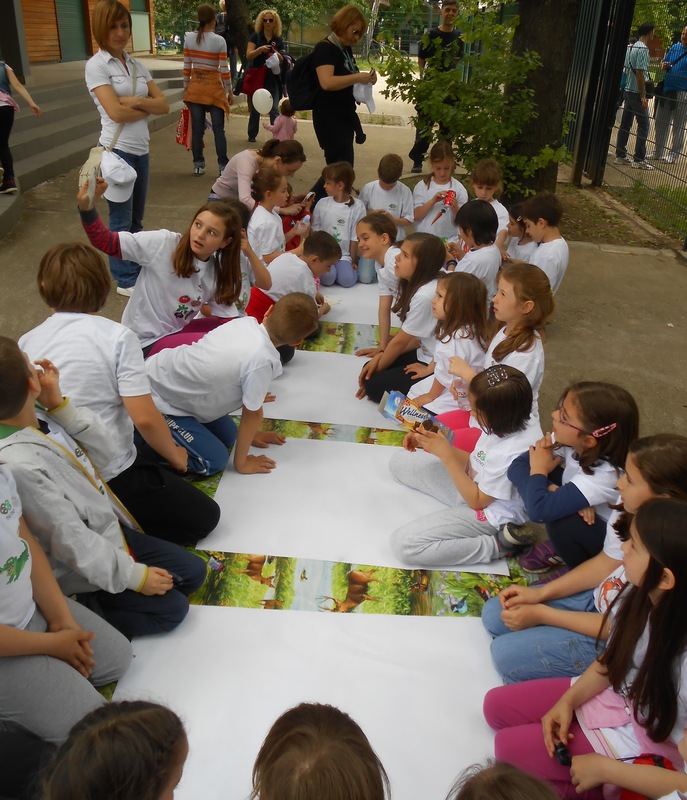 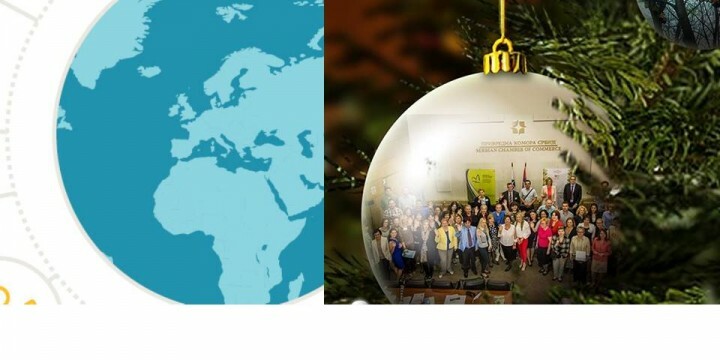 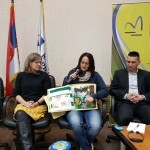 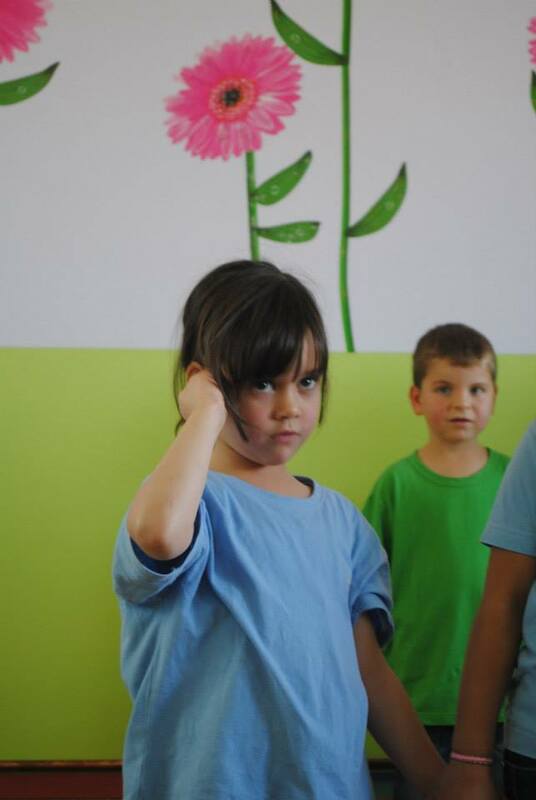 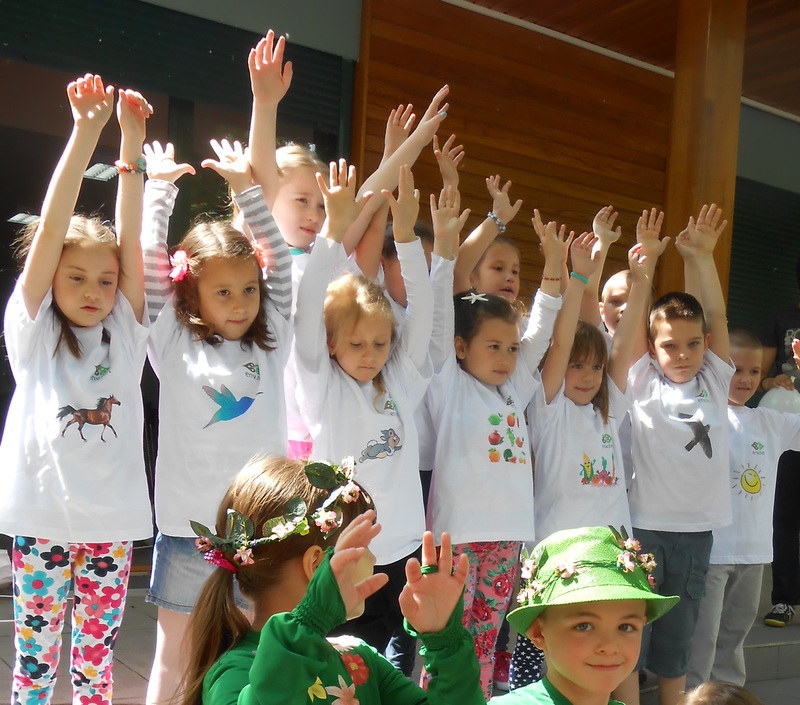 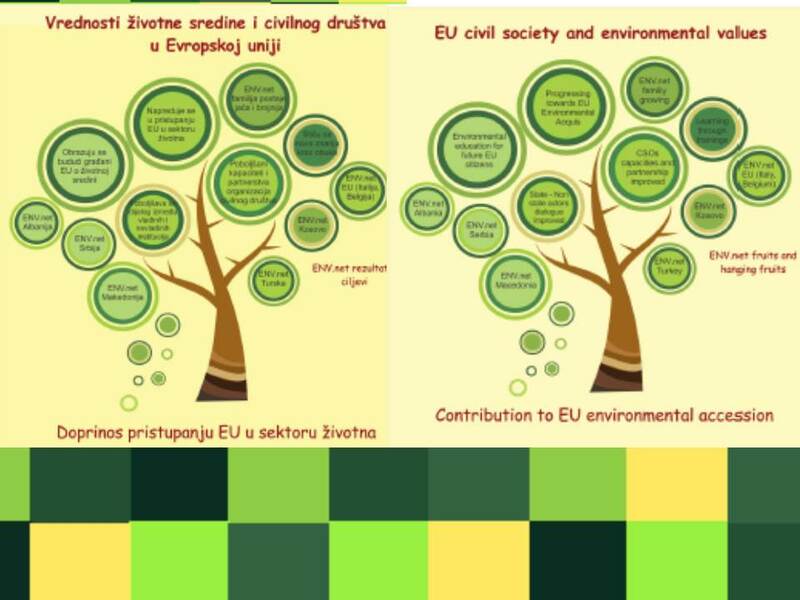 On December 20th, 2013, at the premises of Journalists’ Association of Serbia (UNS), Environmental Ambassadors are organizing the seminar „Environmental Education for Further EU Citizens“. 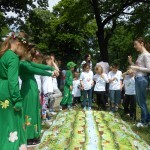 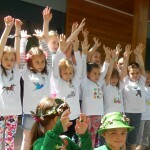 Almost 20 schools participated. 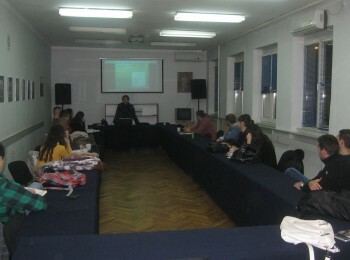 This participatory seminar was extremely successful! 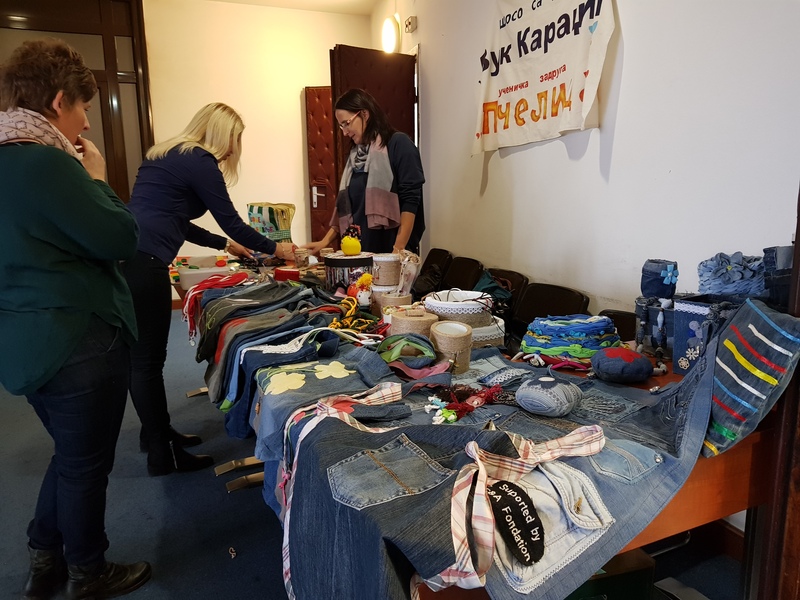 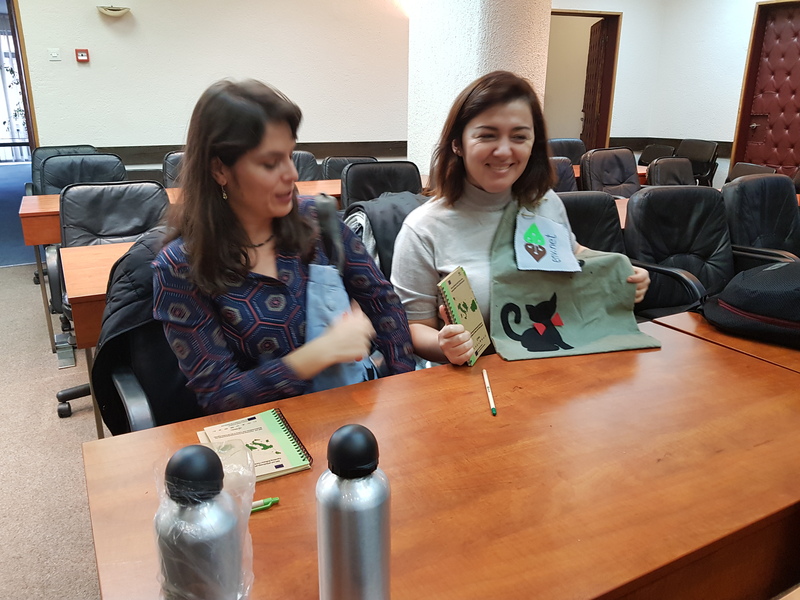 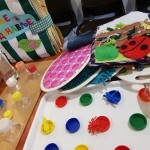 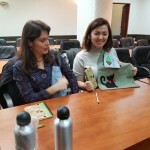 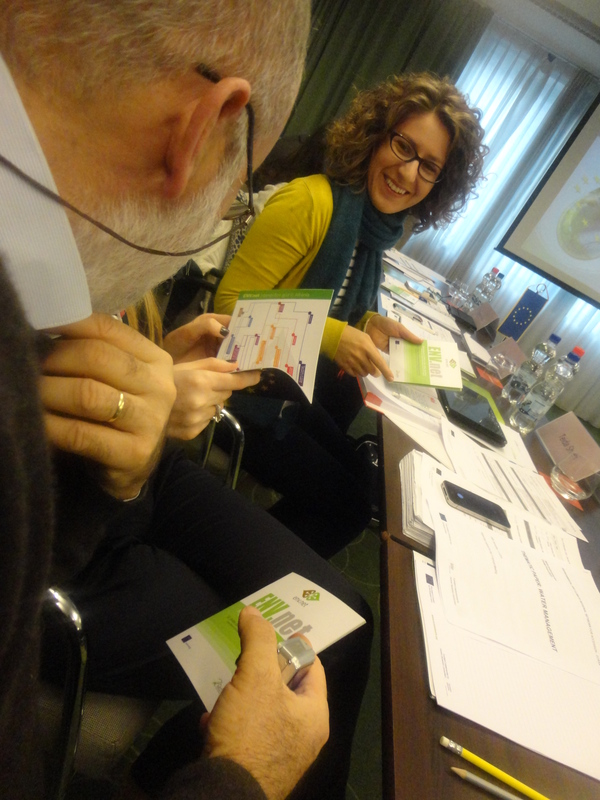 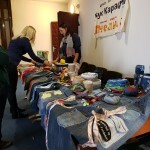 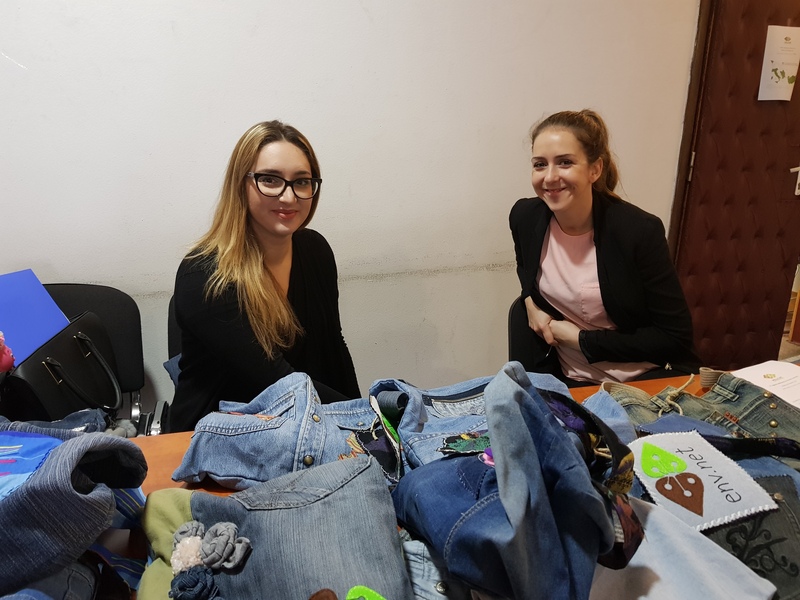 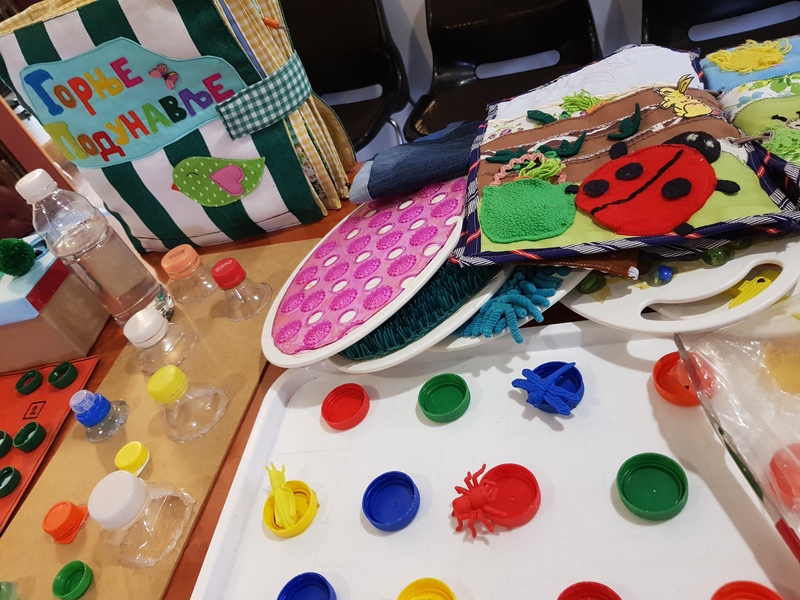 Motivated teachers were interesting in all topics; however recycling and upcycling, as well as involving children as the environmental reporters, as the tool to educate youth (future EU citizens), had the most attention. 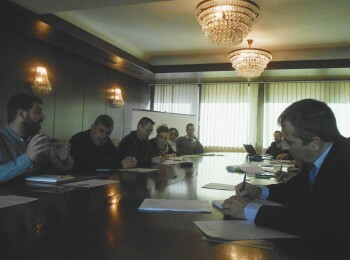 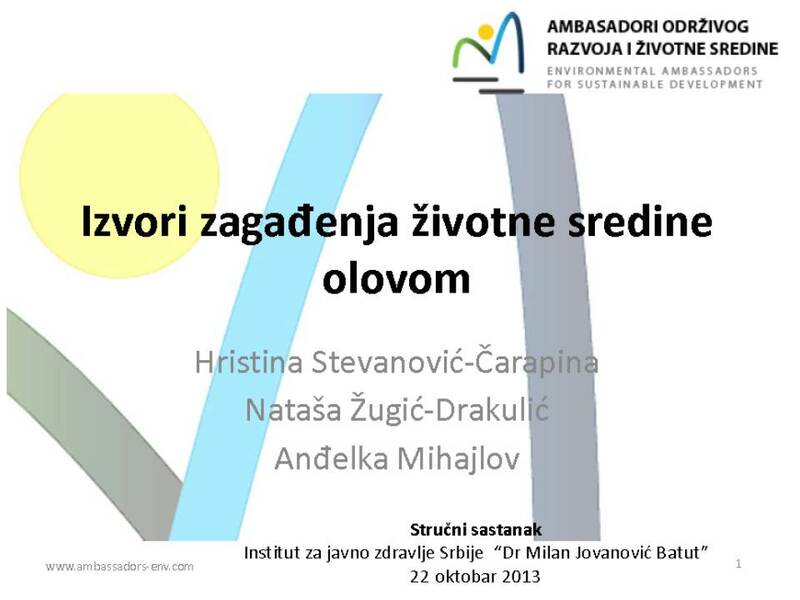 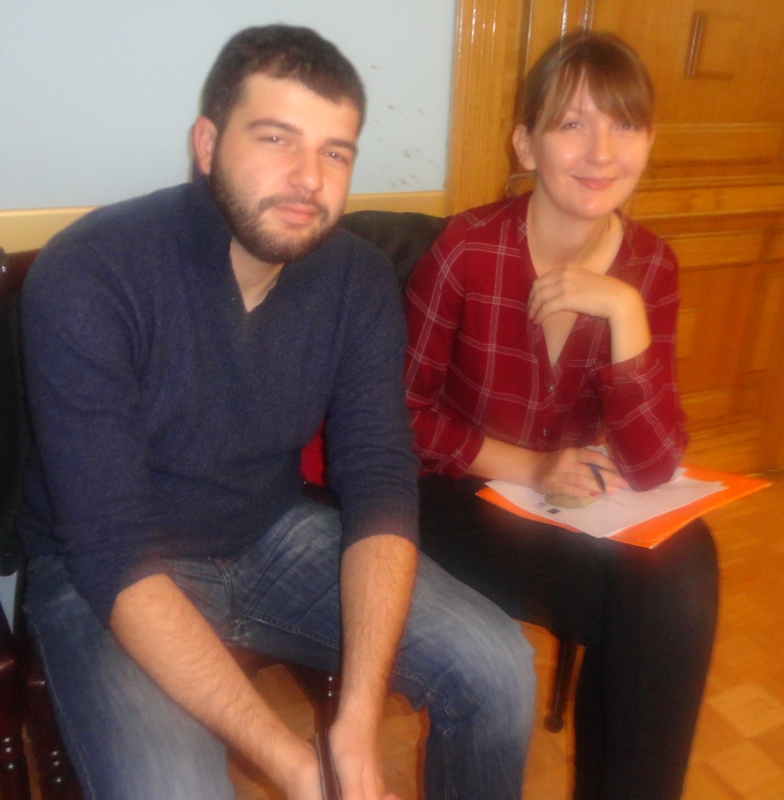 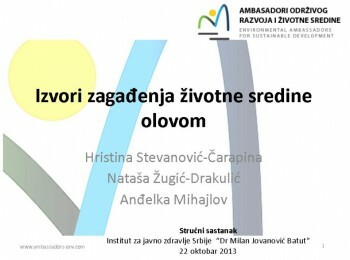 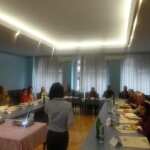 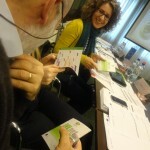 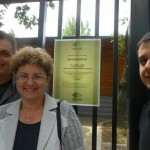 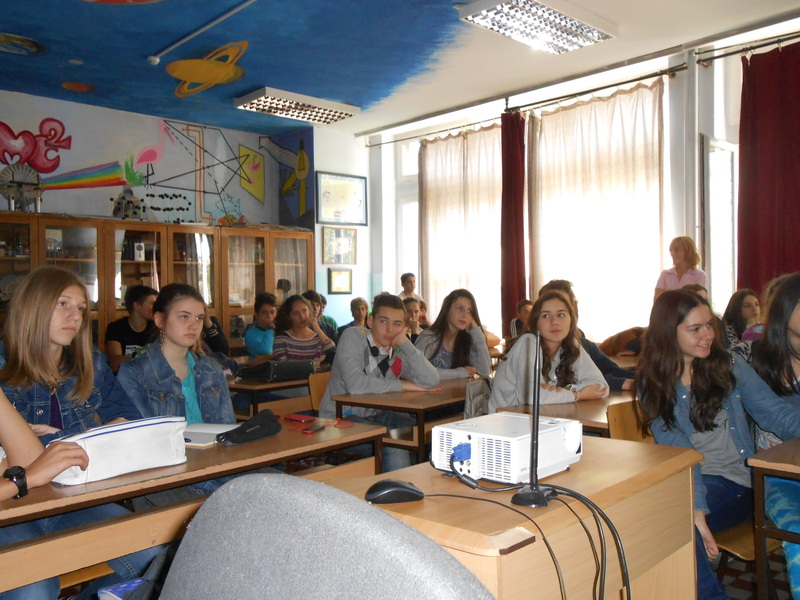 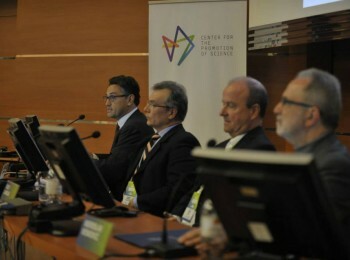 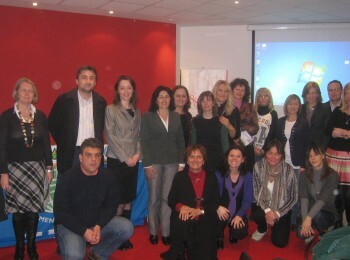 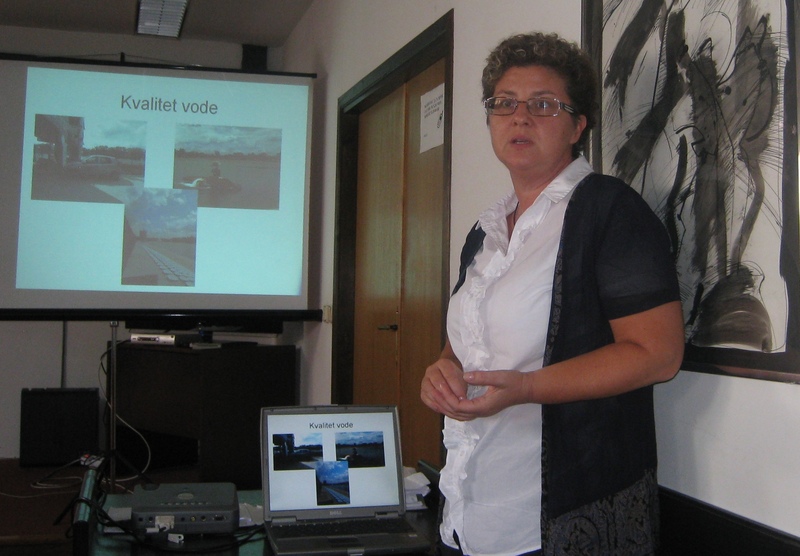 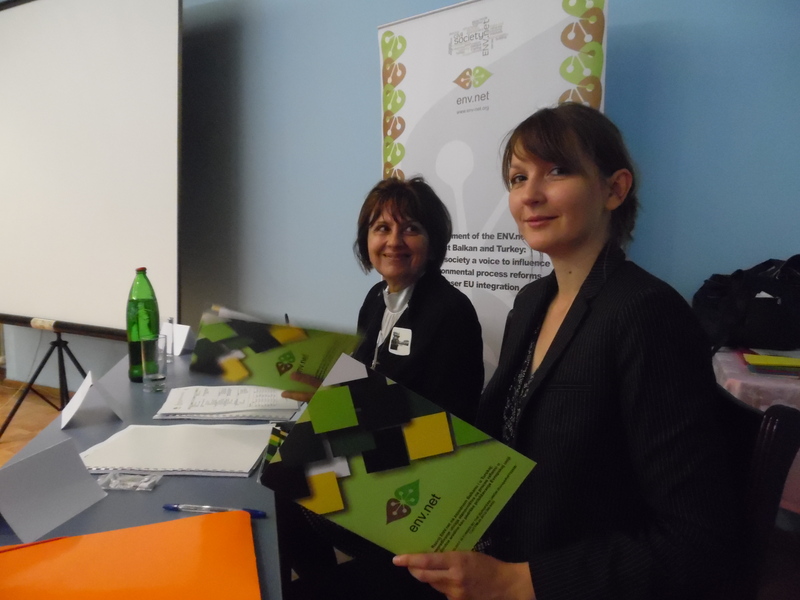 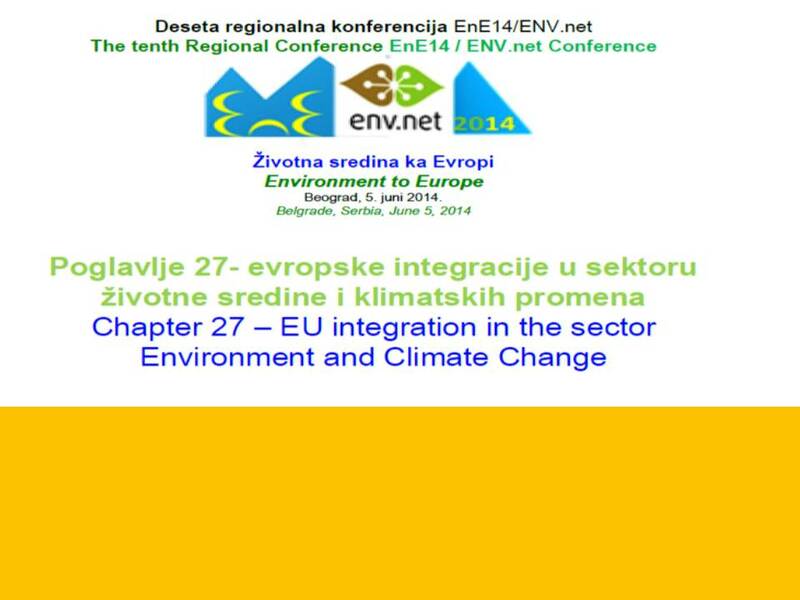 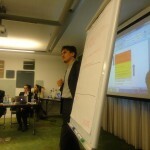 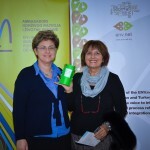 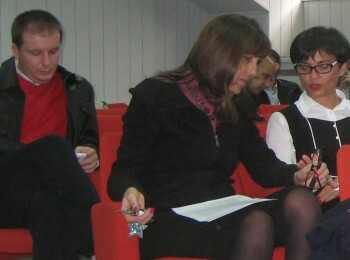 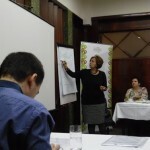 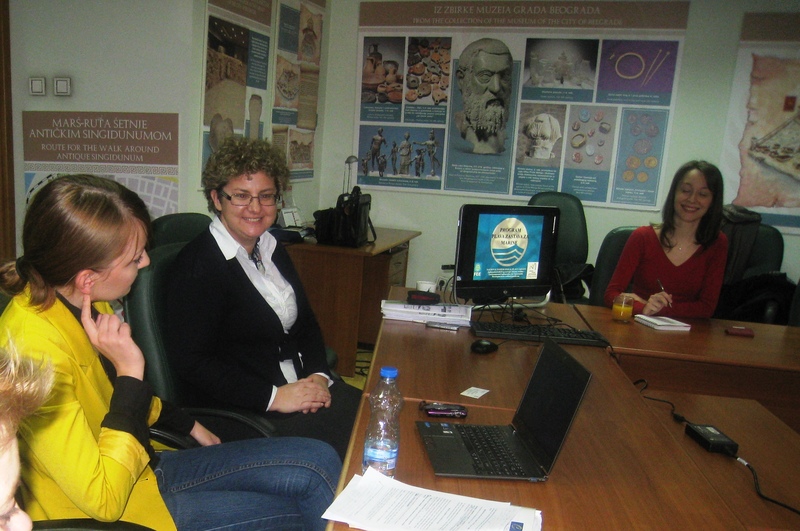 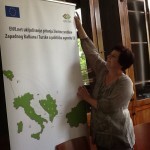 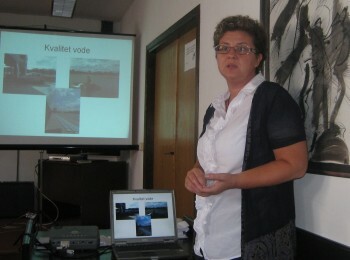 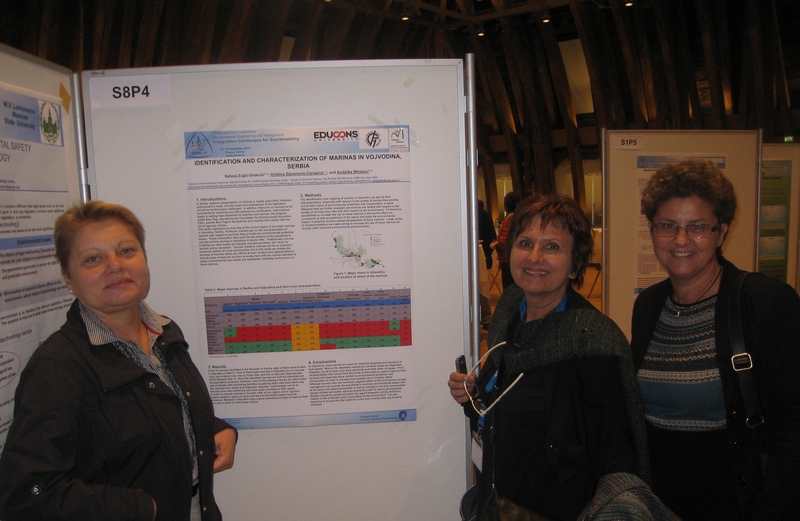 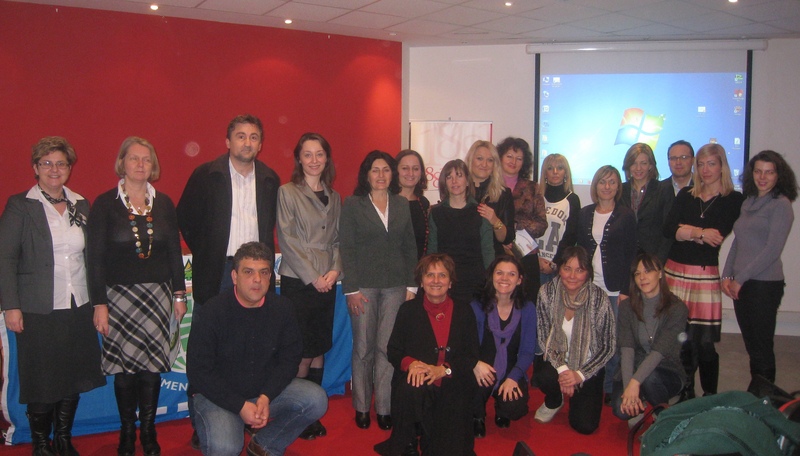 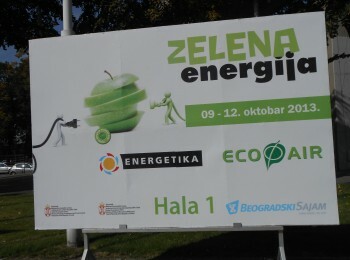 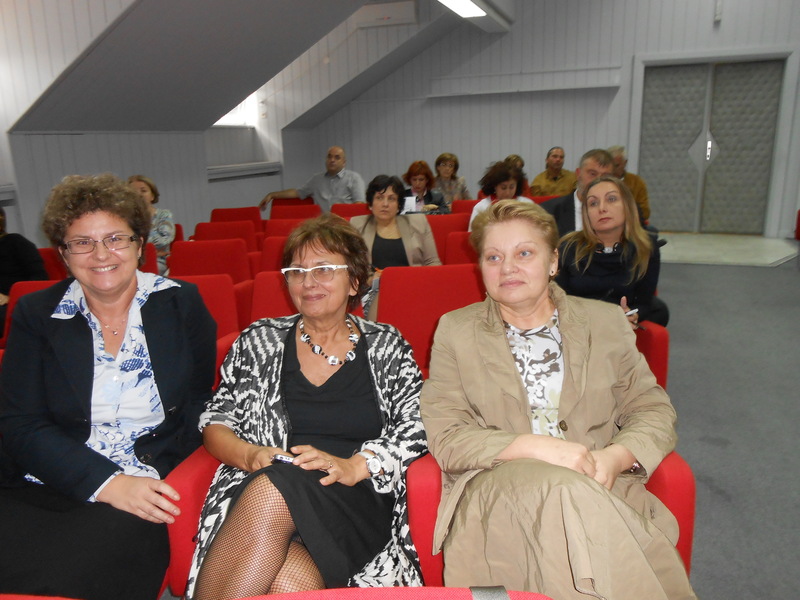 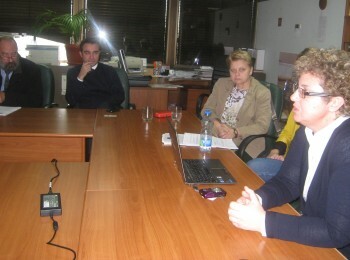 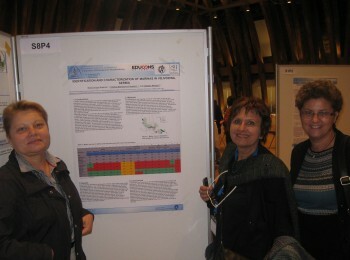 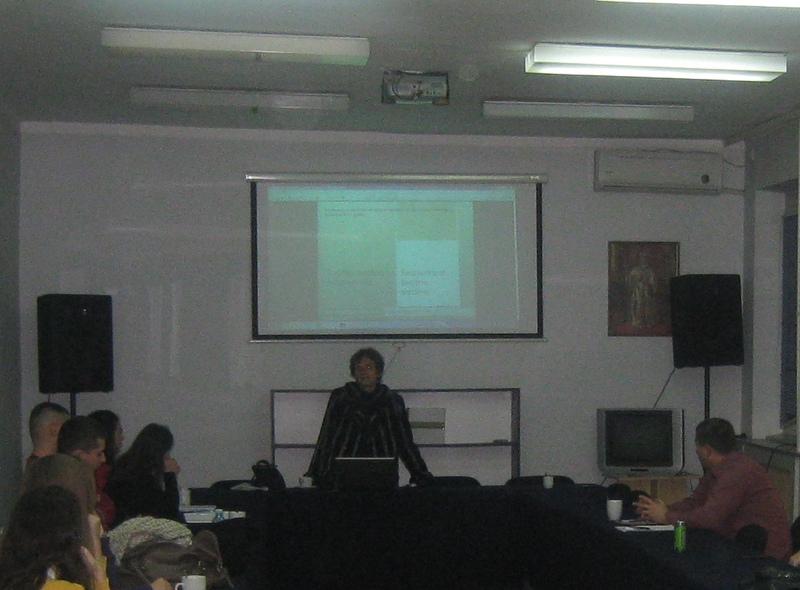 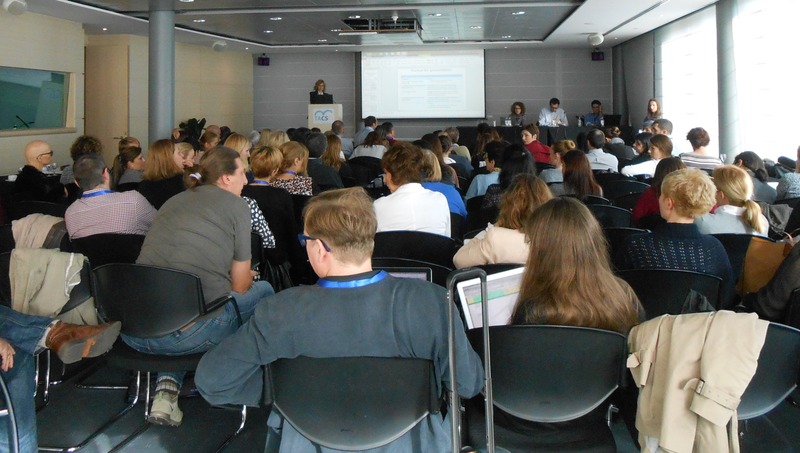 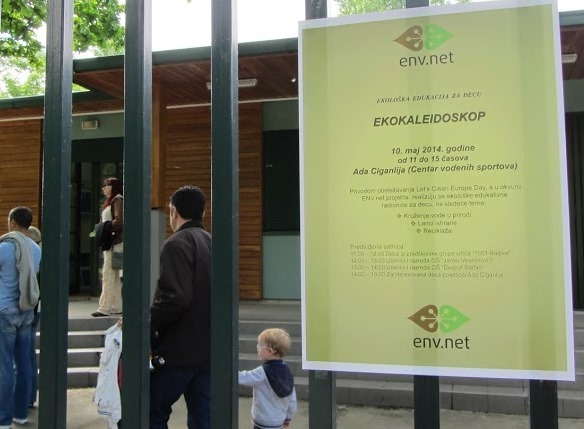 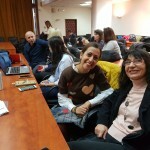 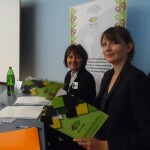 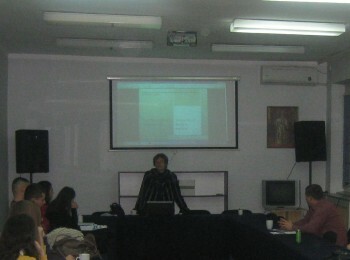 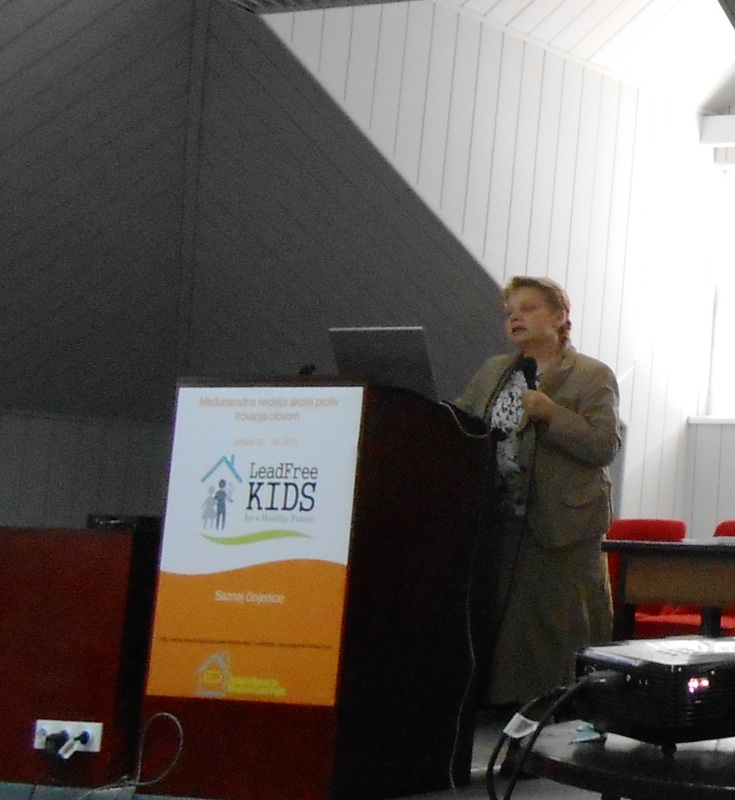 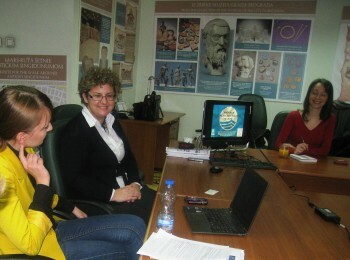 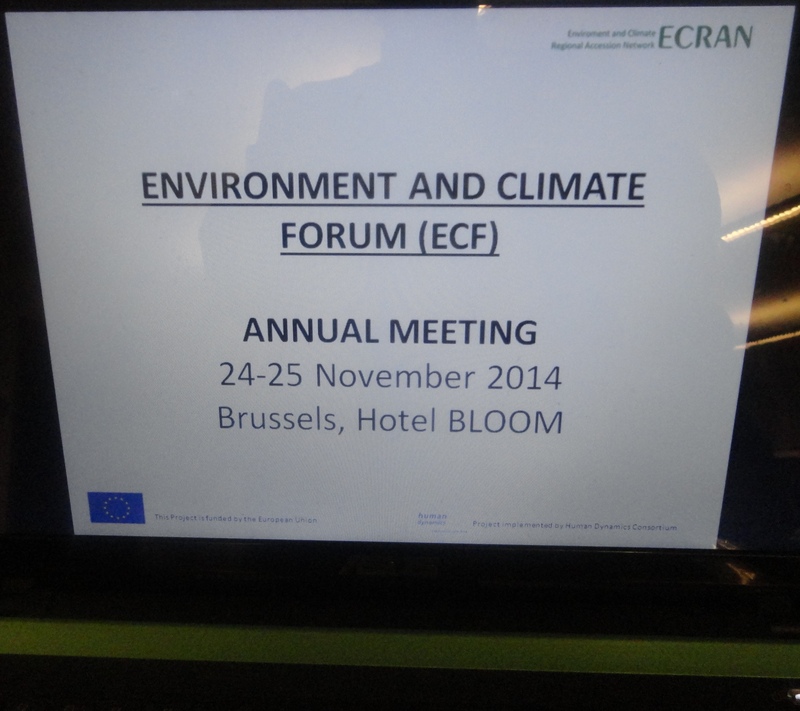 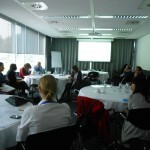 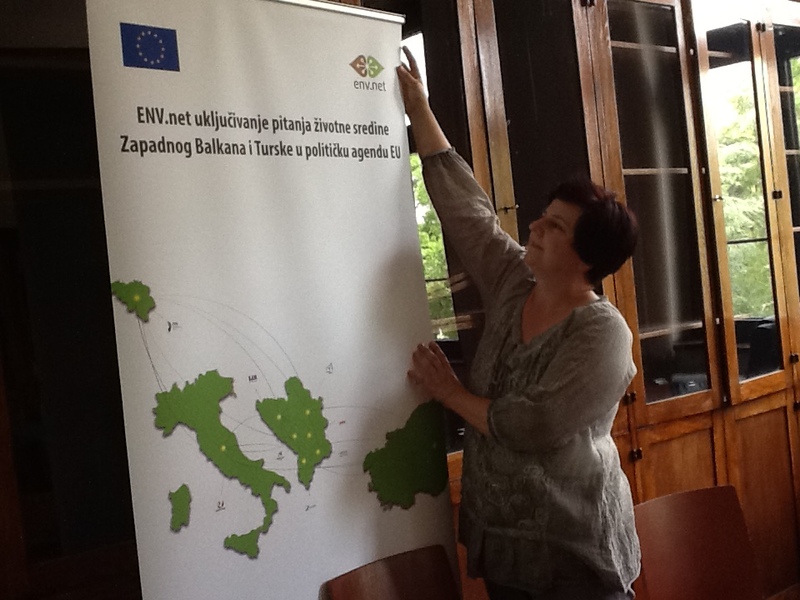 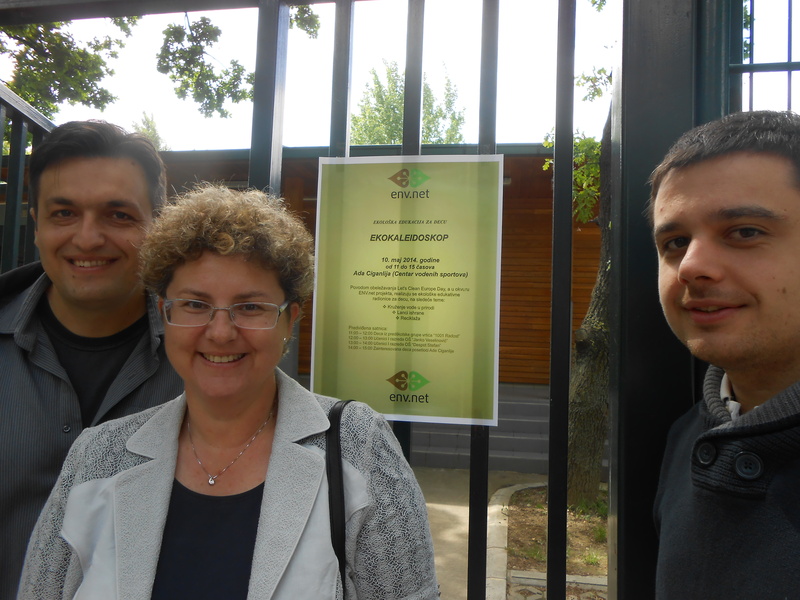 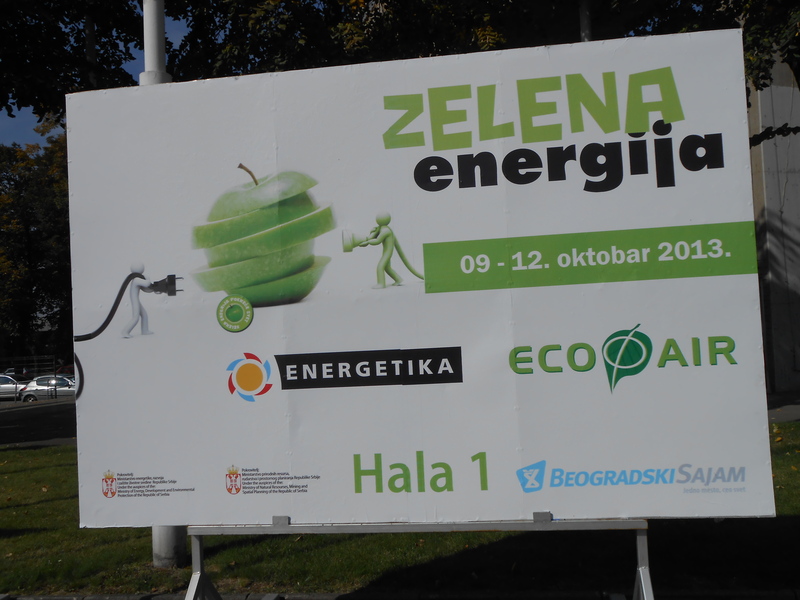 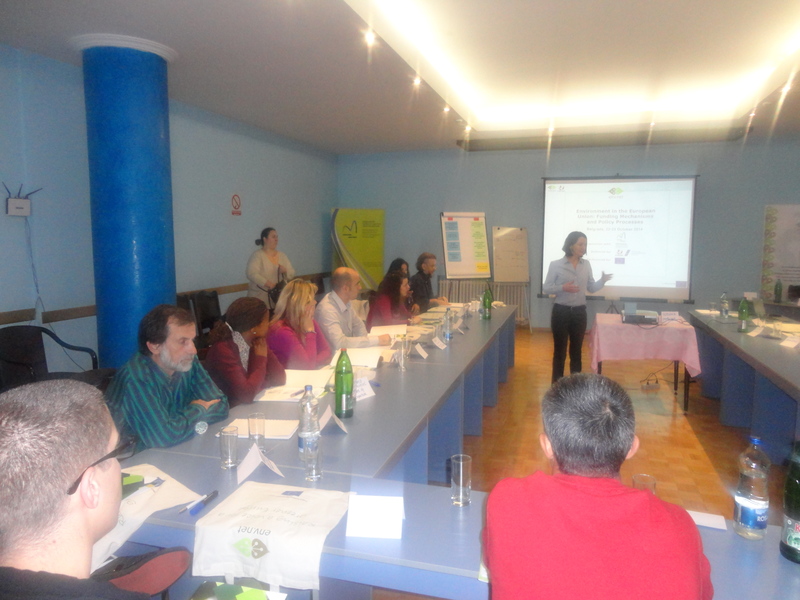 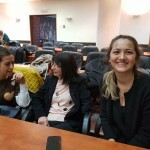 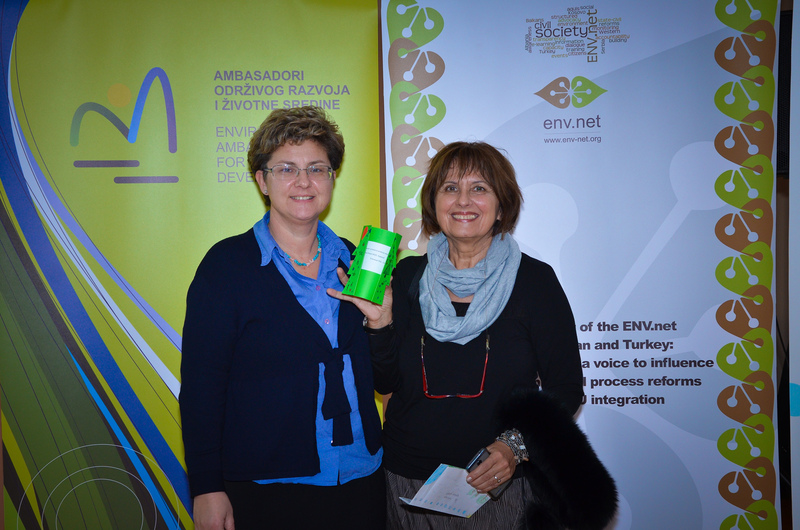 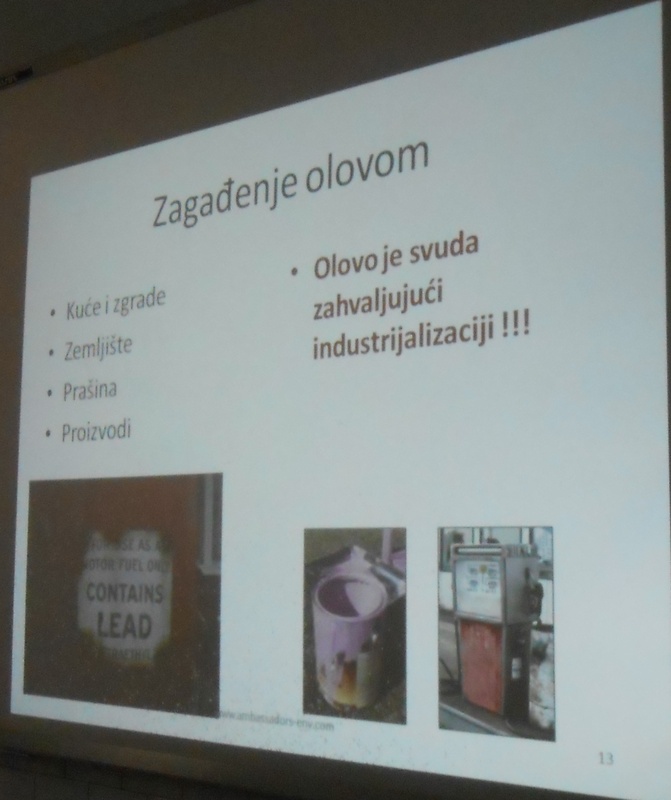 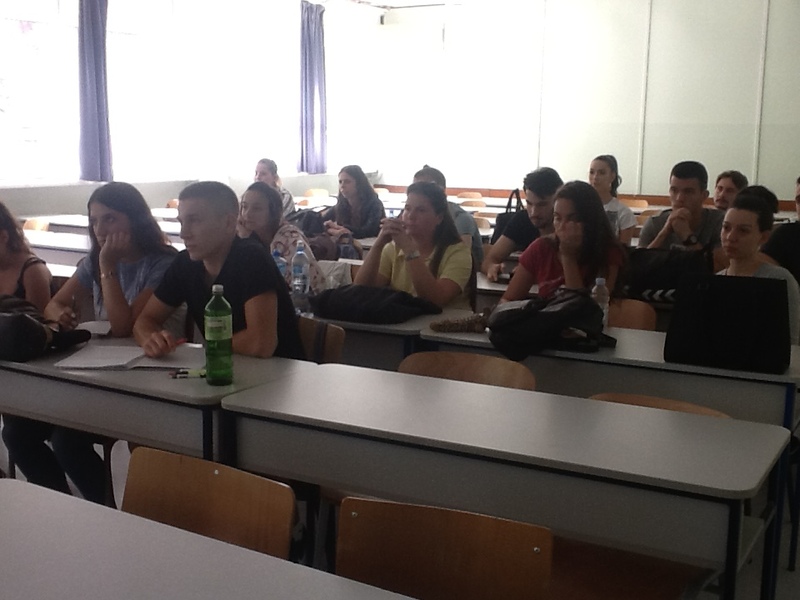 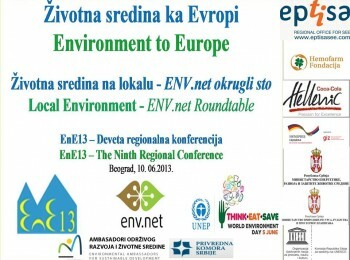 ENV.net lecturers, as well as presenters from Slovenia and Macedonia, contributed to the success of the seminar. 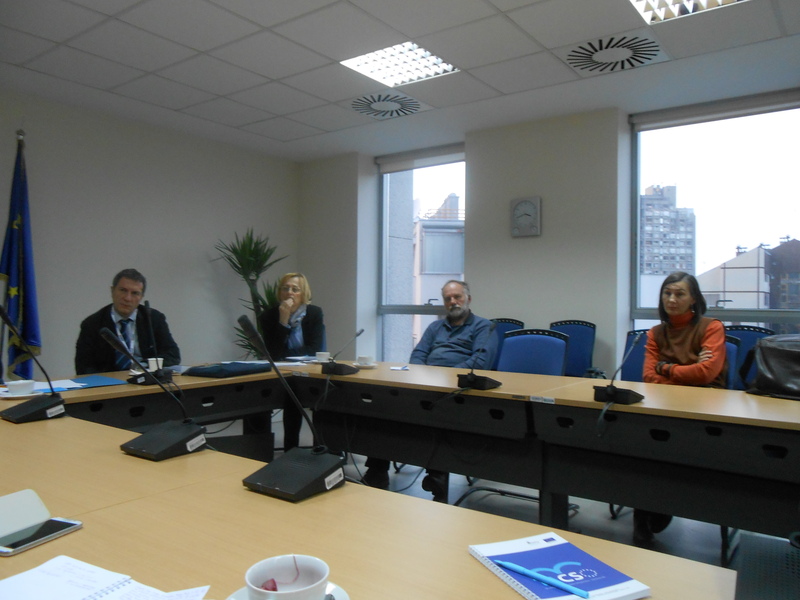 As FPA project grantee, EASD-ENV.net Serbia Team presented project update and further project strategy to Mr. Nicola Bertolini (Head of Section, European Commission, DG Enlargement, Unit D3, Regional Cooperation and Programmes) and task managers and political officers of the Delegation of the European Union to the Republic of Serbia on November 28, 2013. First day : CEE regional workshop on endocrine disrupting chemicals, lead by UNEP in collaboration with WHO and OECD. 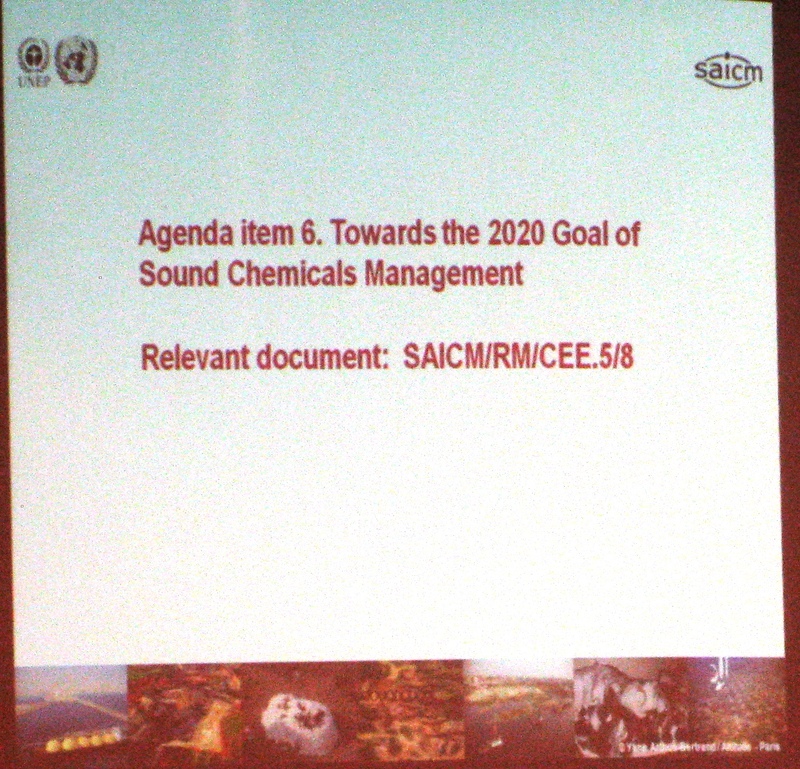 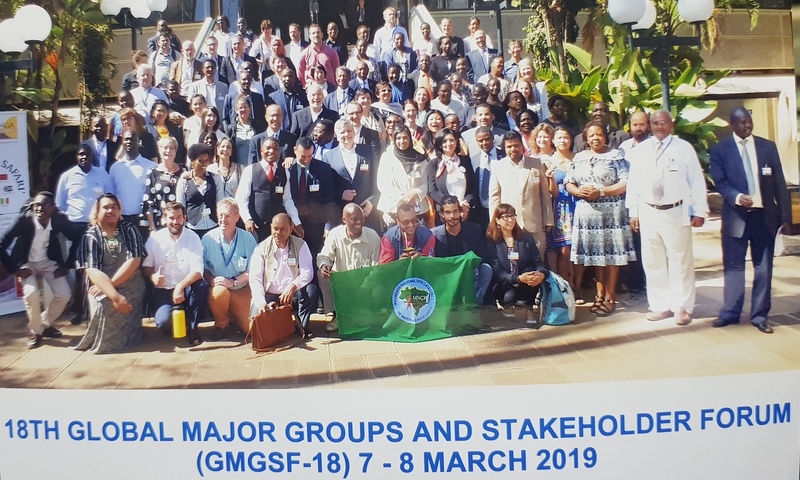 Third day - SAICM priority setting workshop, looking at progress to date, identifying gaps and regional priorities and setting the course of action to reach the 2020 goal in the framework of the Overall Orientation and Guidance exercise mandated by ICCM3. 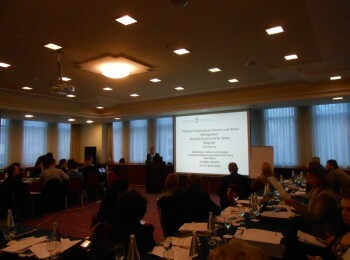 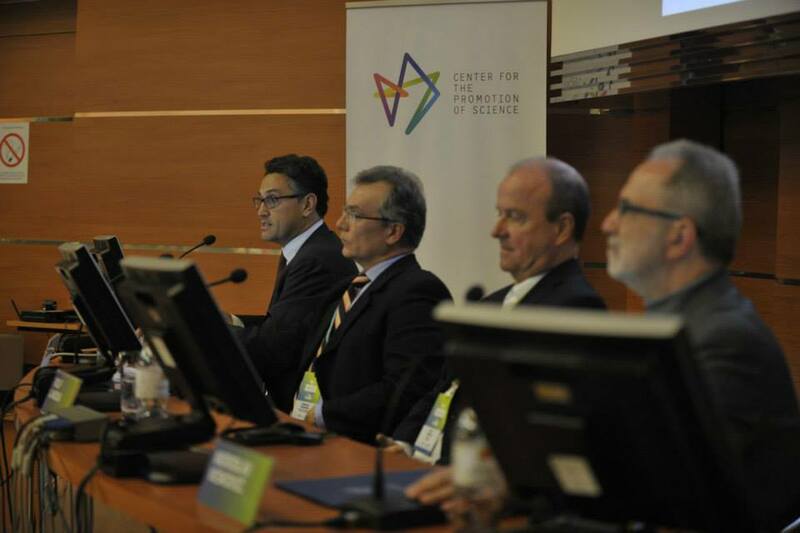 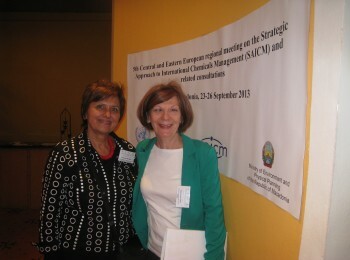 4th day: 5th Central and Eastern European regional meeting on SAICM. 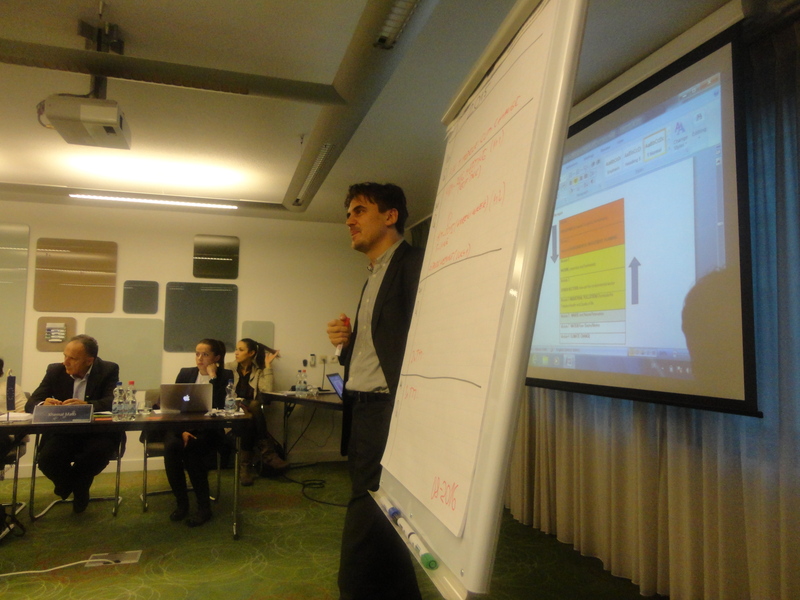 (iv) identified need and request for WHO to build capacity in the region for Poison Control Centres. 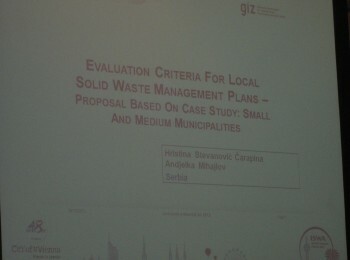 Documents from the meeting are available. 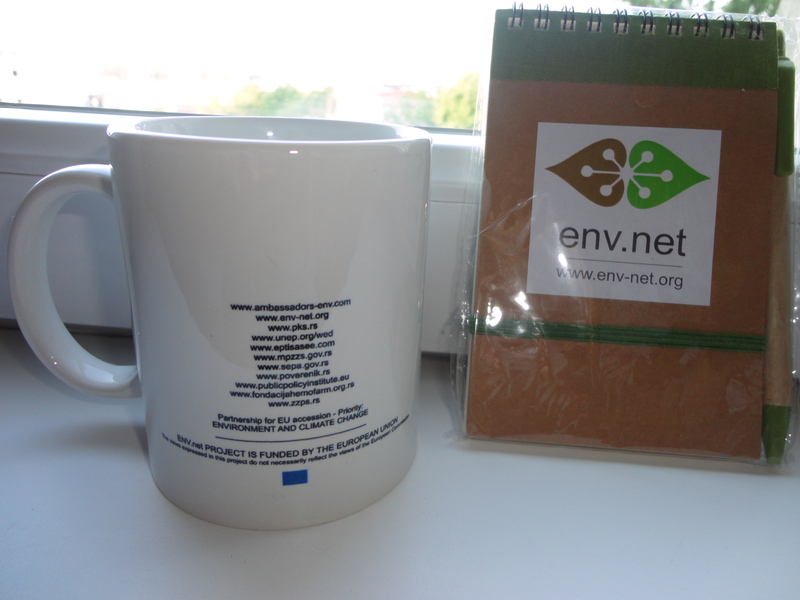 In the corridor of the Meeting, ENV.net networking meetings took place. 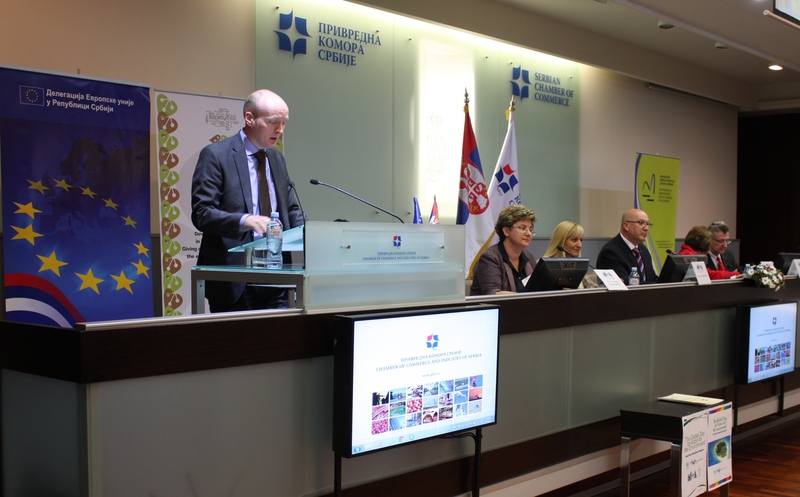 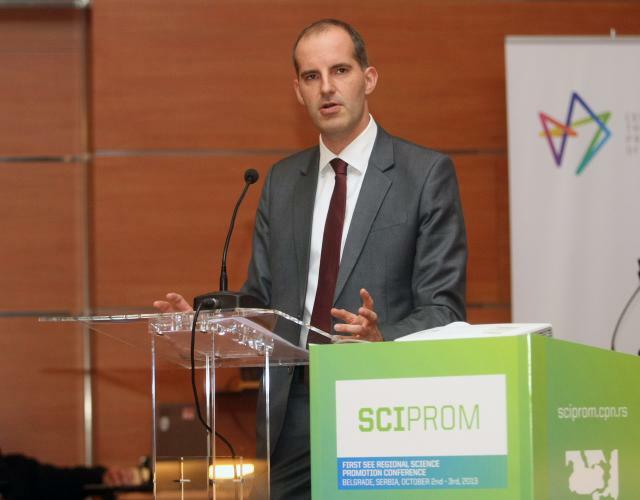 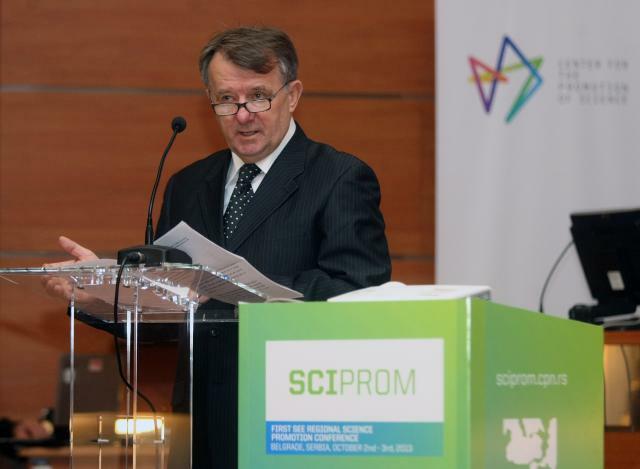 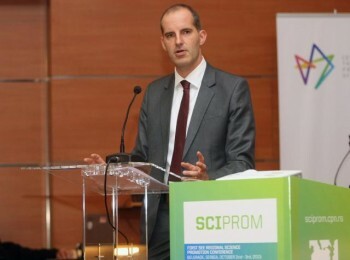 The Regional Conference “CSF Framework for Partnership Agreement Inception Conference” titled “EC and Partners: growing together – Framework for Partnership Agreement” held in Belgrade on May 23-24 at Palace of Serbia, Yugoslavia Hall. 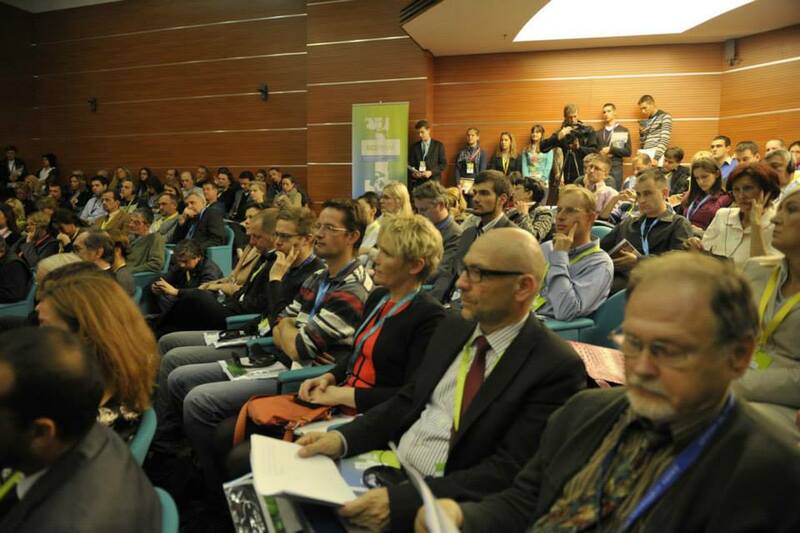 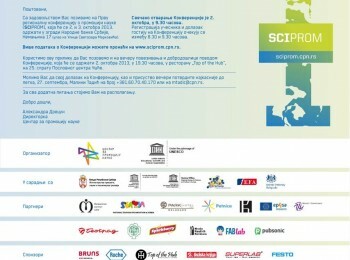 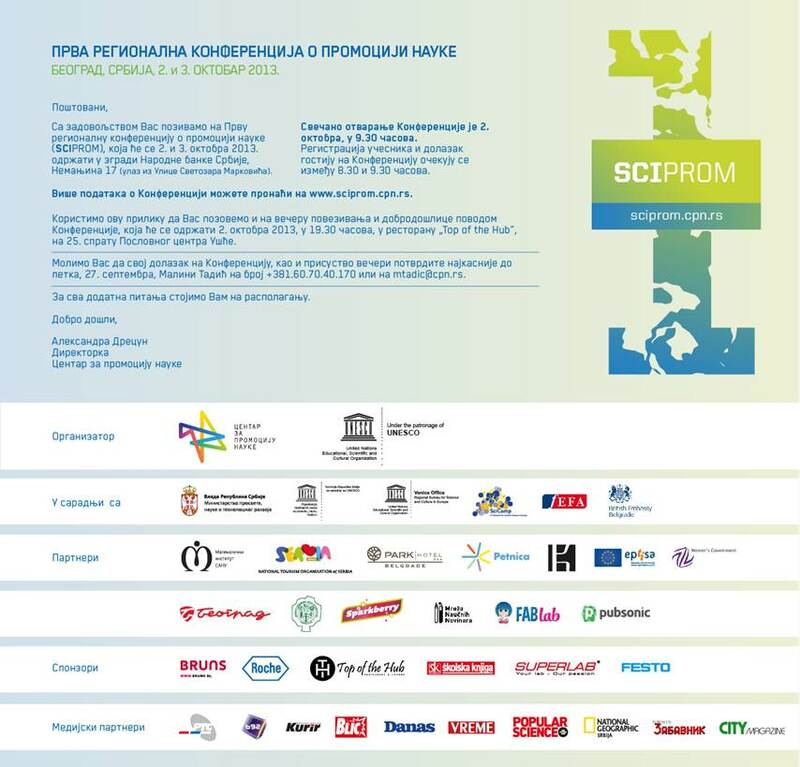 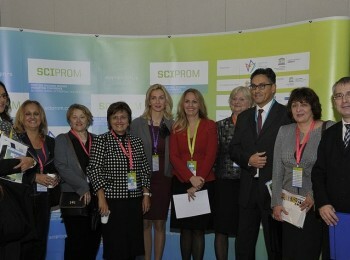 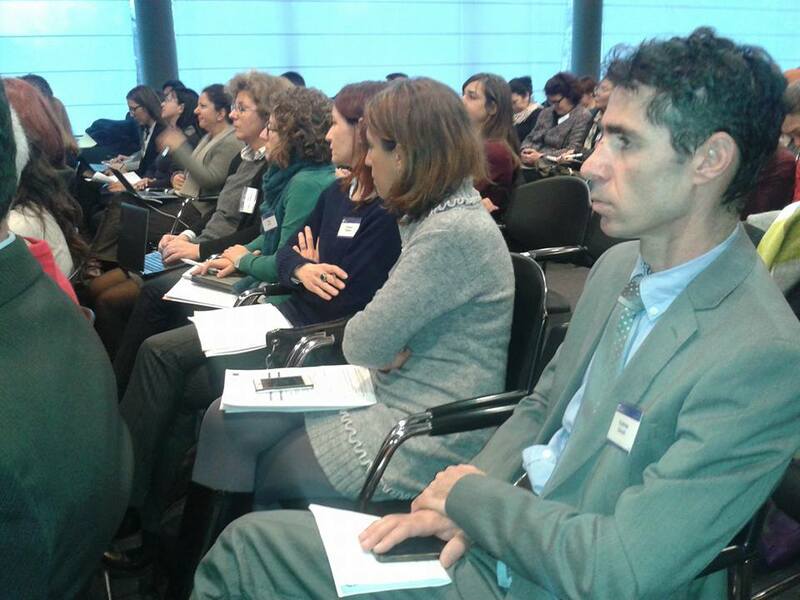 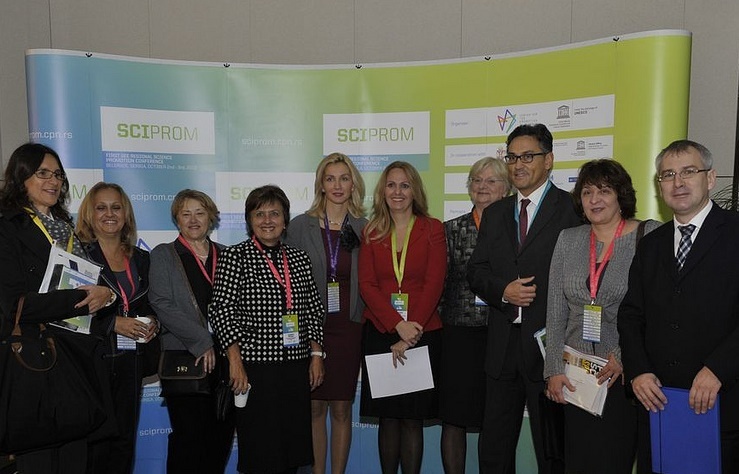 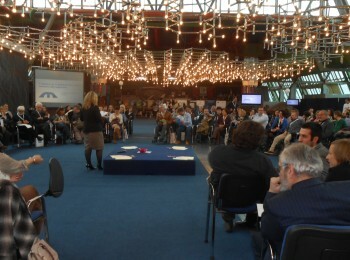 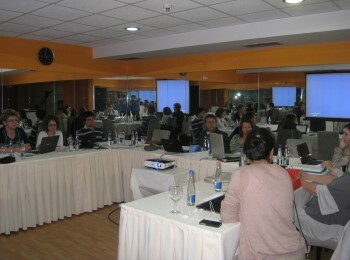 Over 200 representatives of CSOs that are awarded with EU funding within IPA SCF projects took part in this conference. 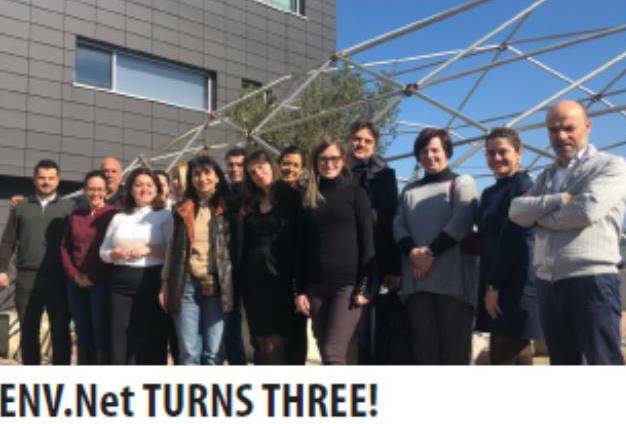 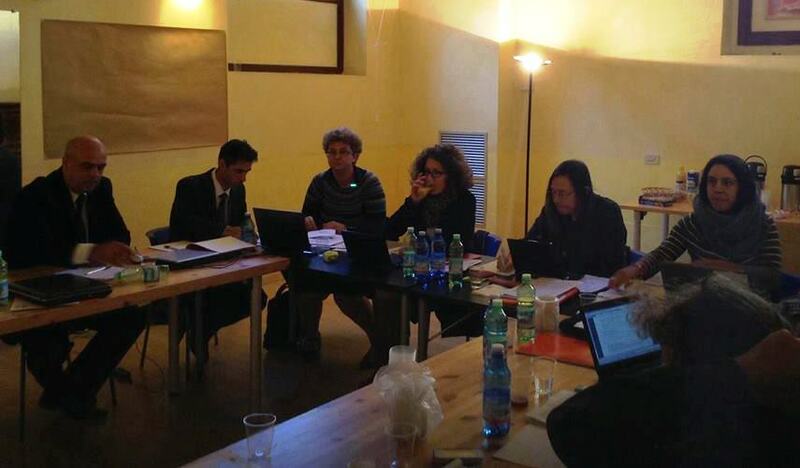 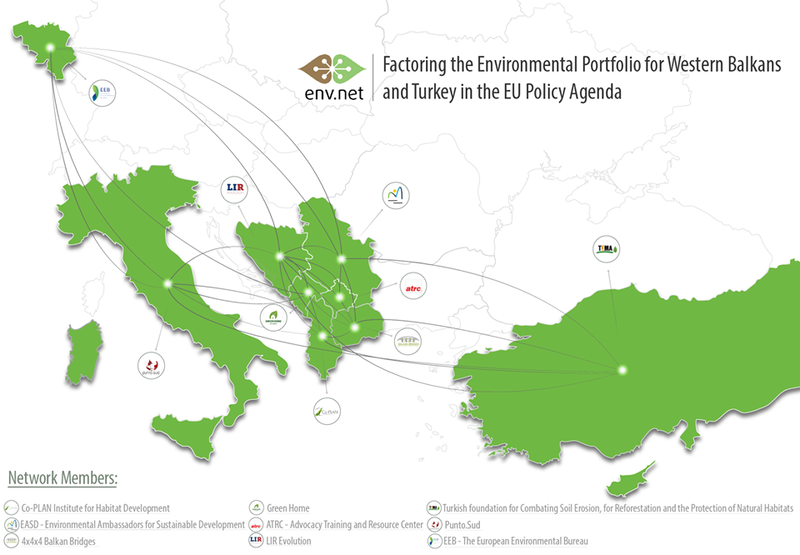 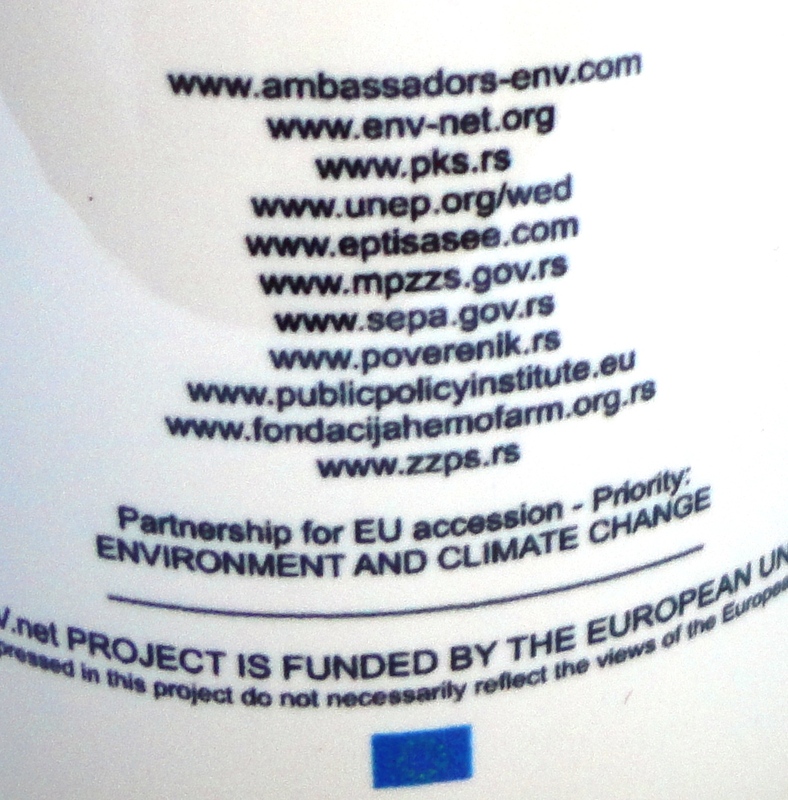 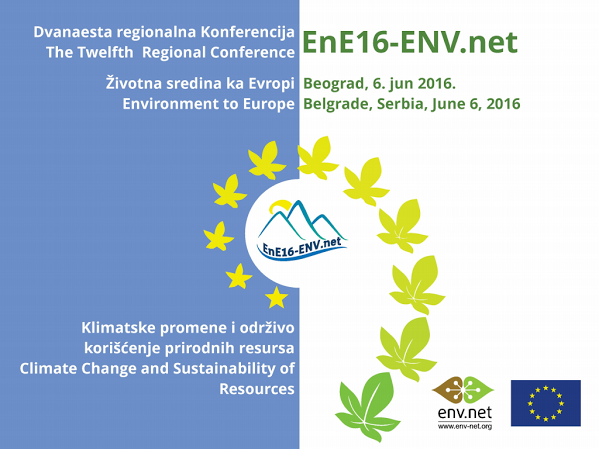 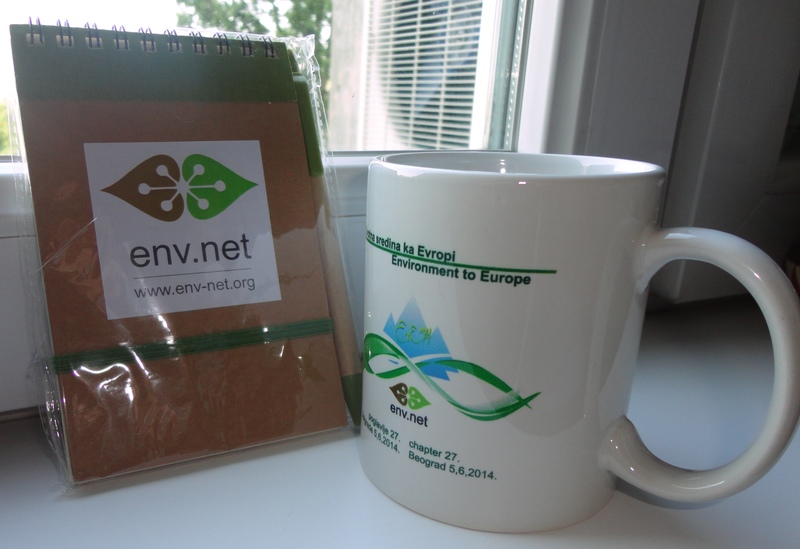 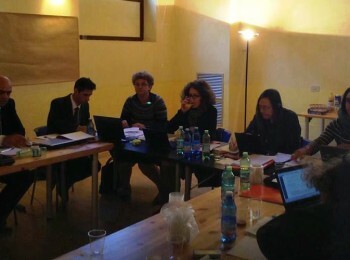 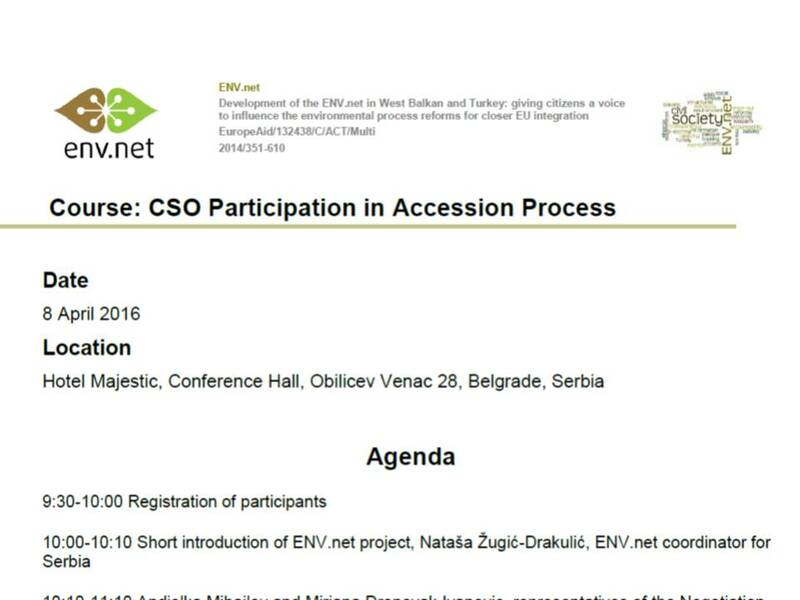 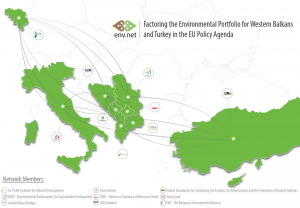 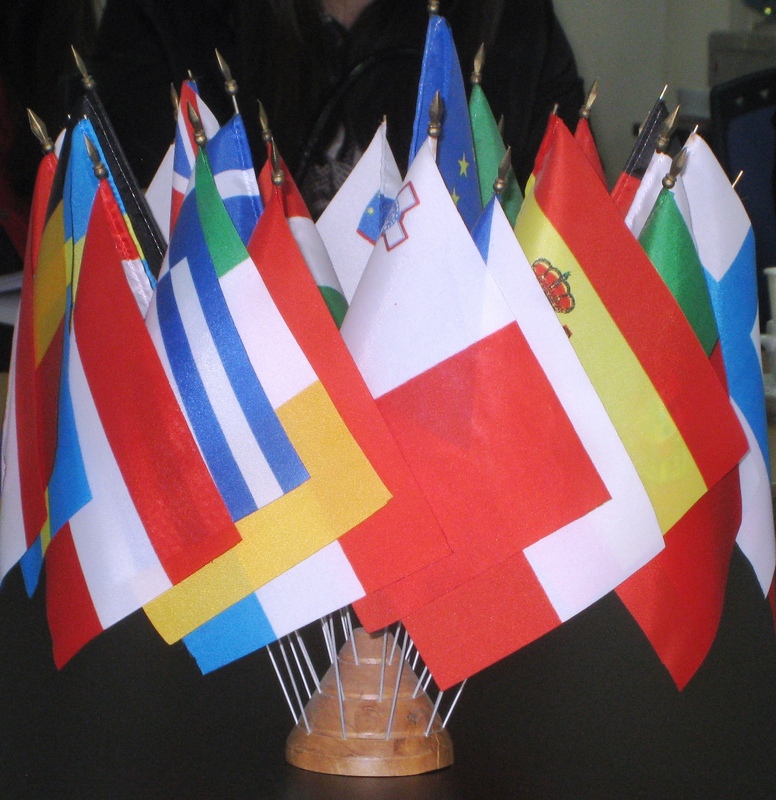 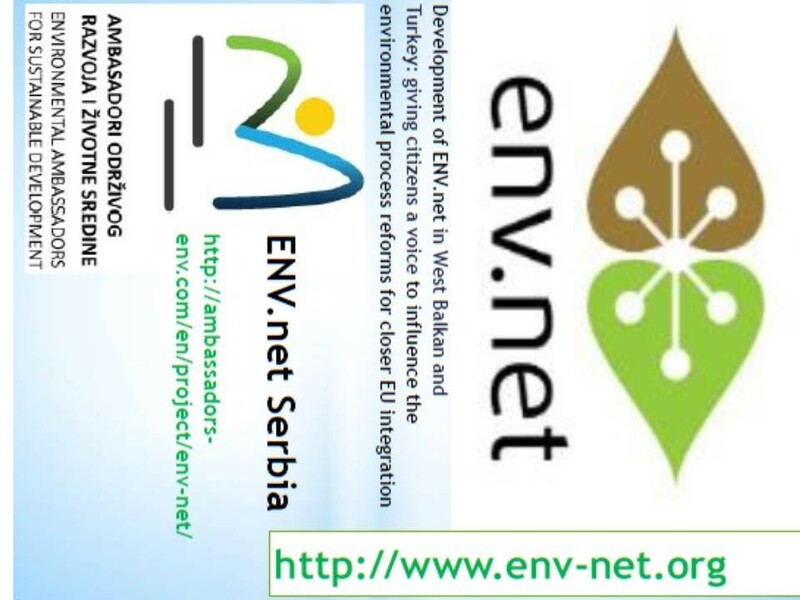 Among 18 awarded projects ENV.net had its representatives (9 participants from 6 countries). 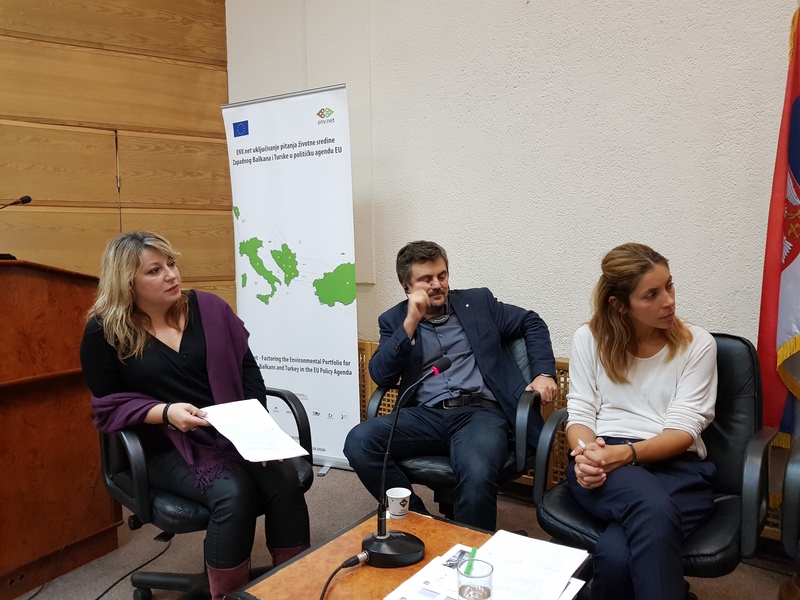 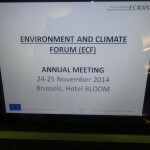 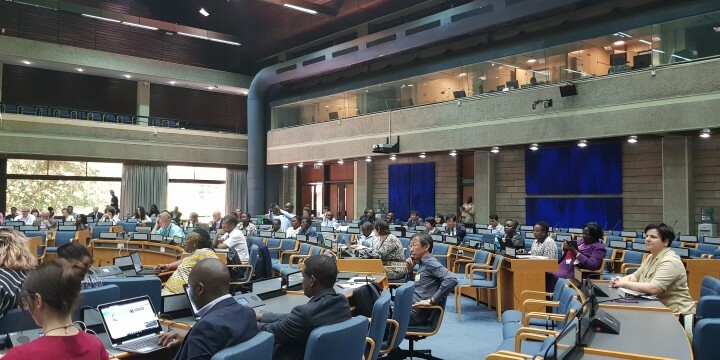 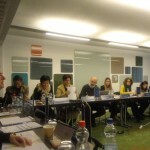 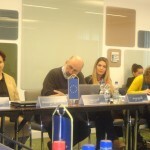 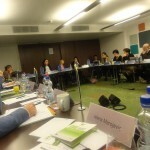 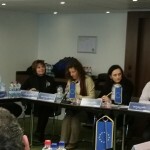 Environmental Ambassadors had 2 representatives present on this important meeting with other CSOs, as well as EU and National Authorities representatives. 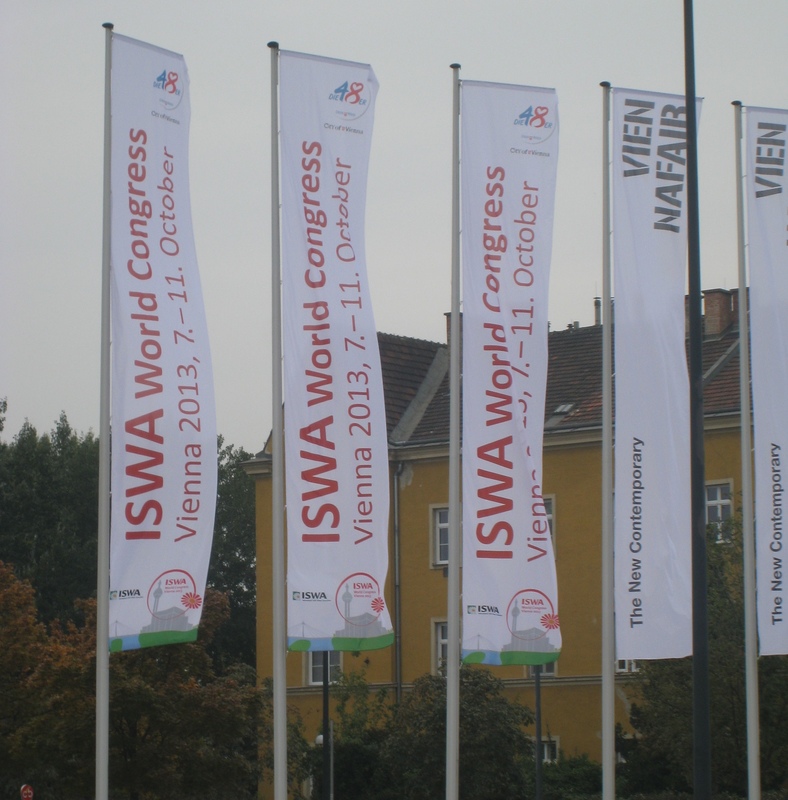 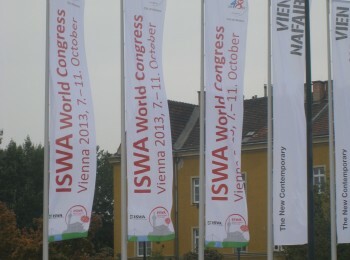 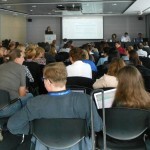 More information about the Conference and minutes could be find. 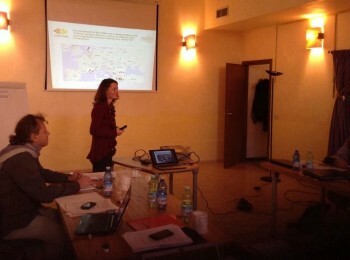 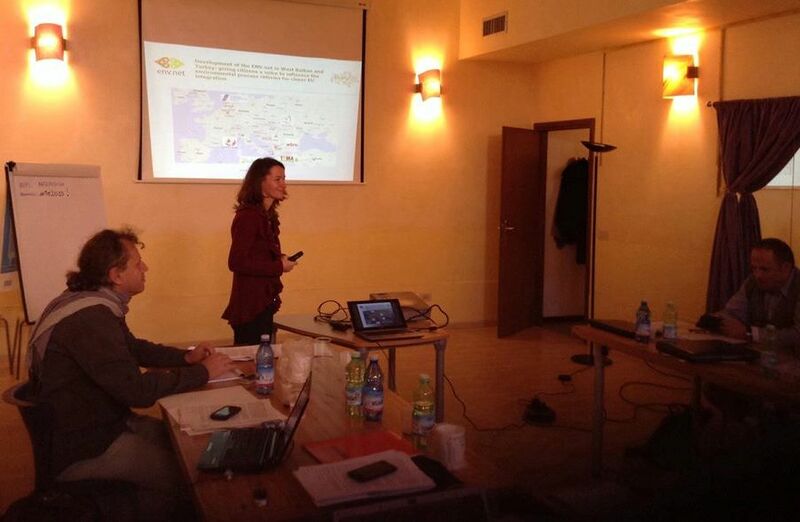 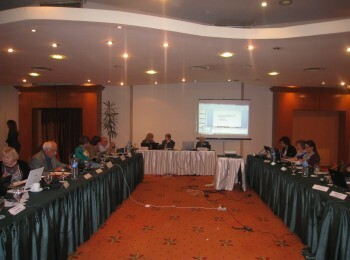 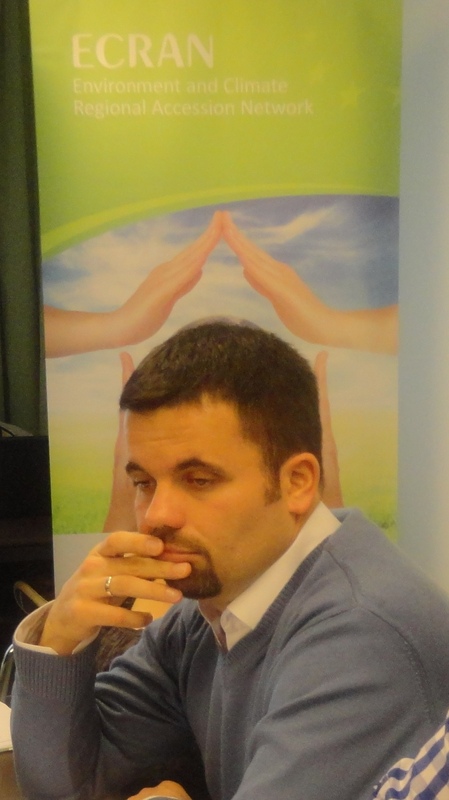 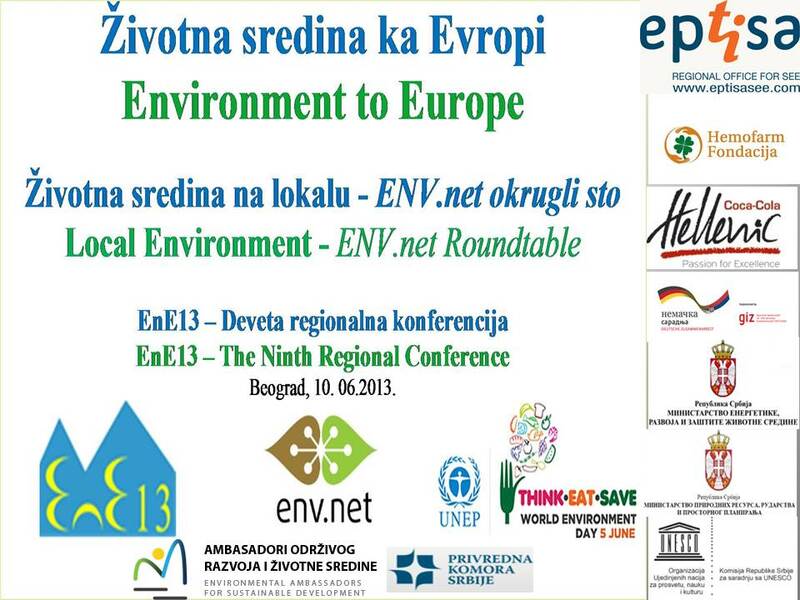 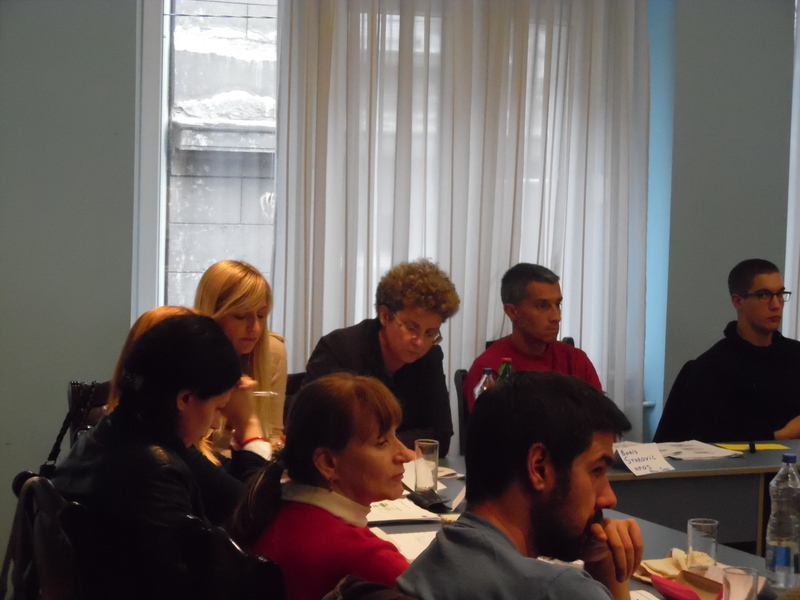 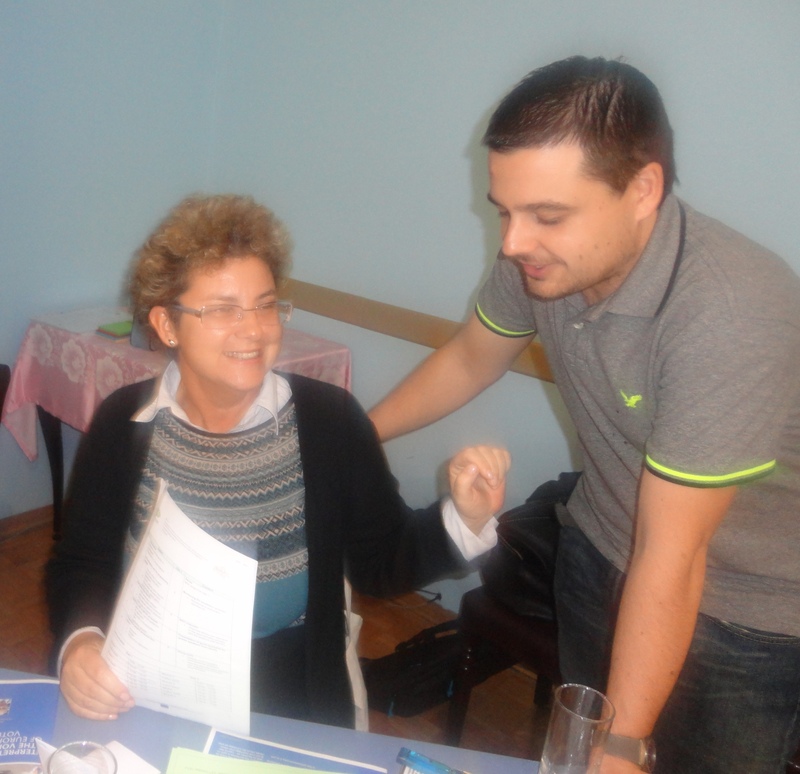 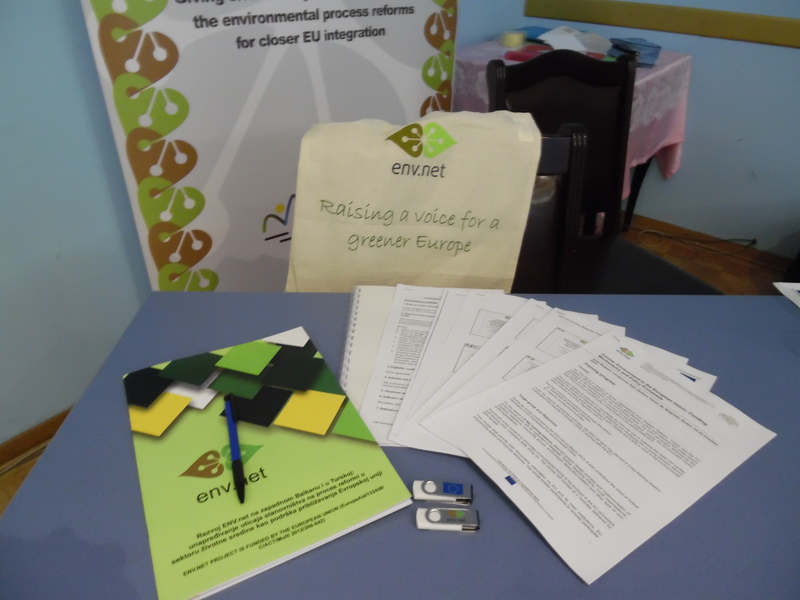 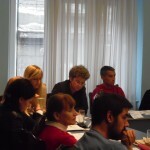 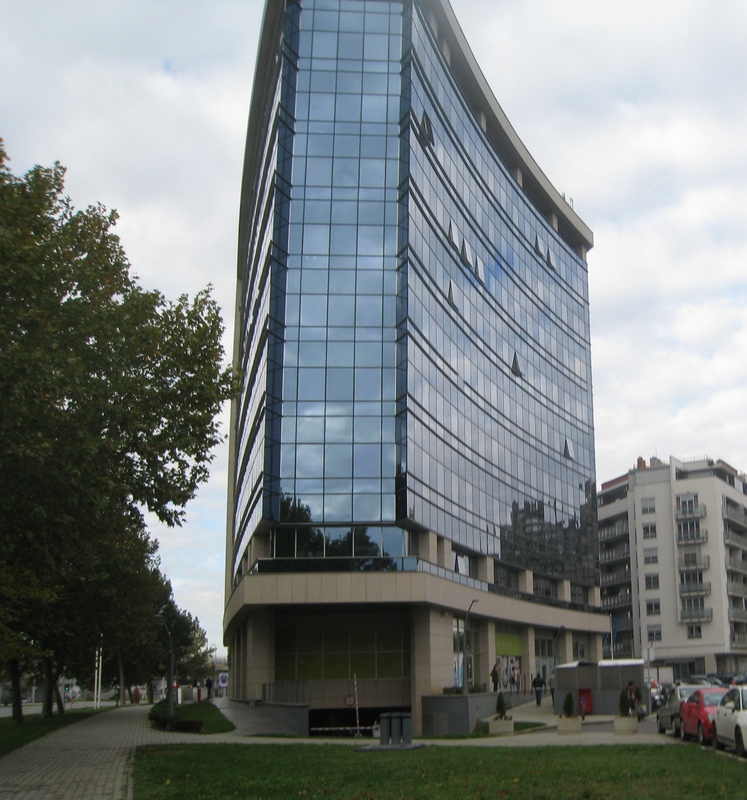 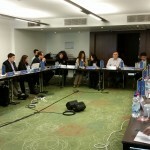 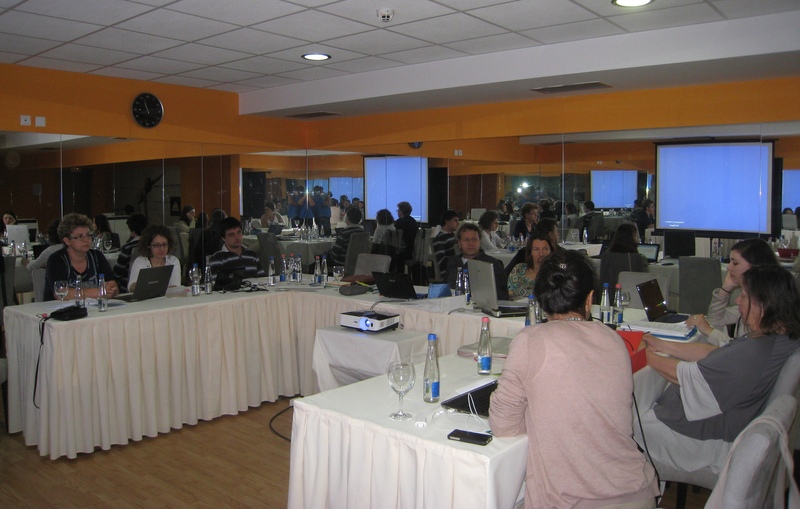 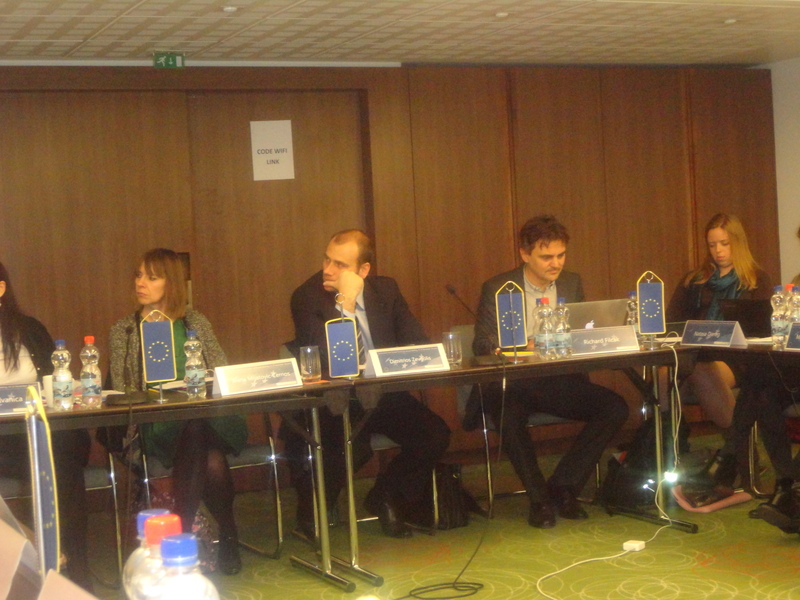 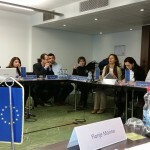 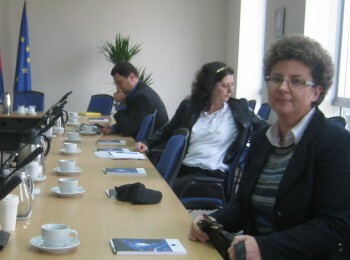 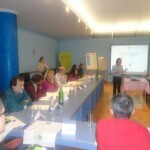 The second meeting of the ENV.net project is organized in Belgrade on May 21. and 22., 2013. 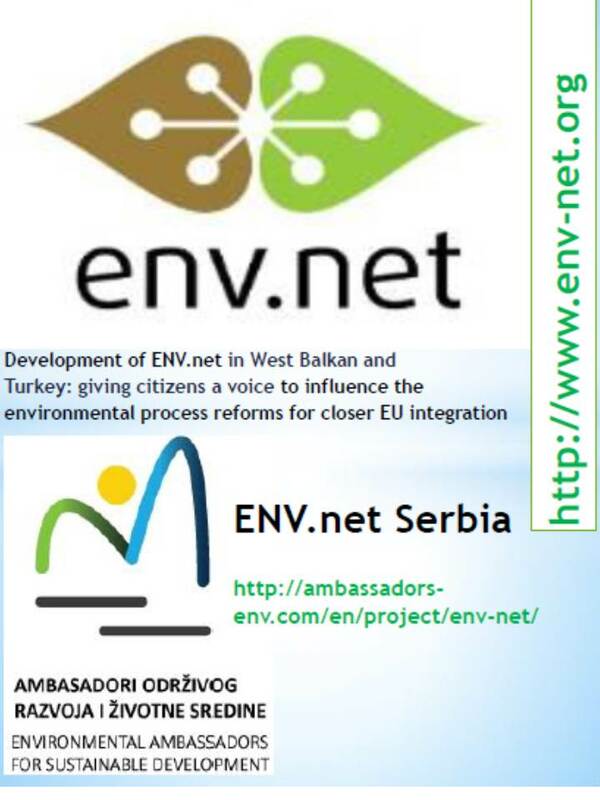 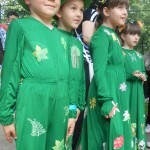 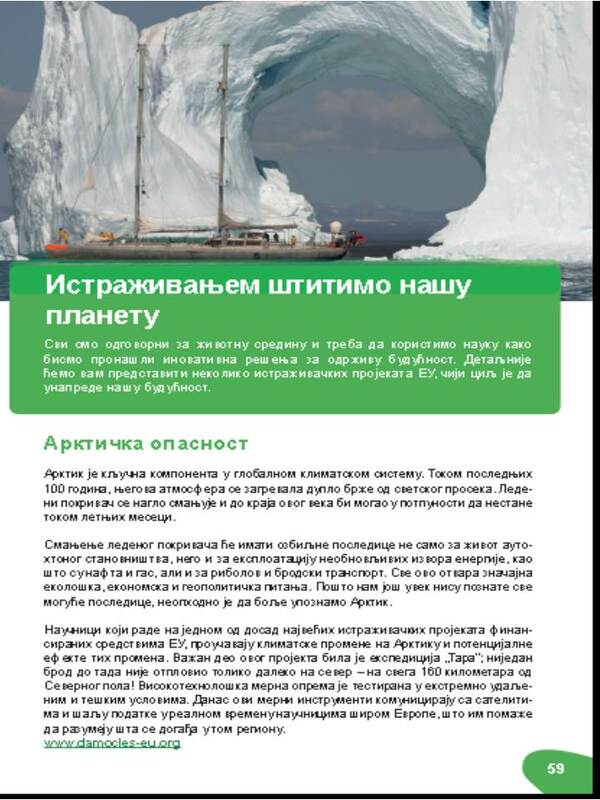 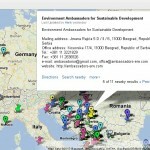 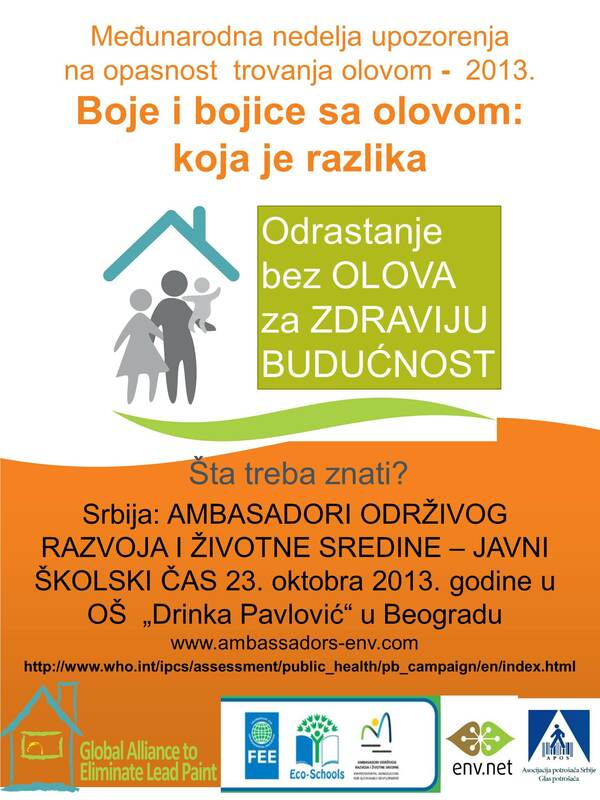 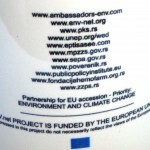 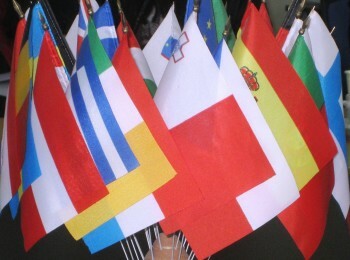 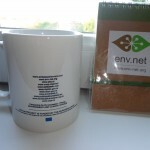 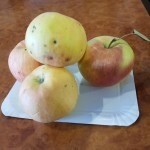 (ENV.net is EU funded project, EuropeAid/132438/C/ACT/Multi, 2012/306-642). 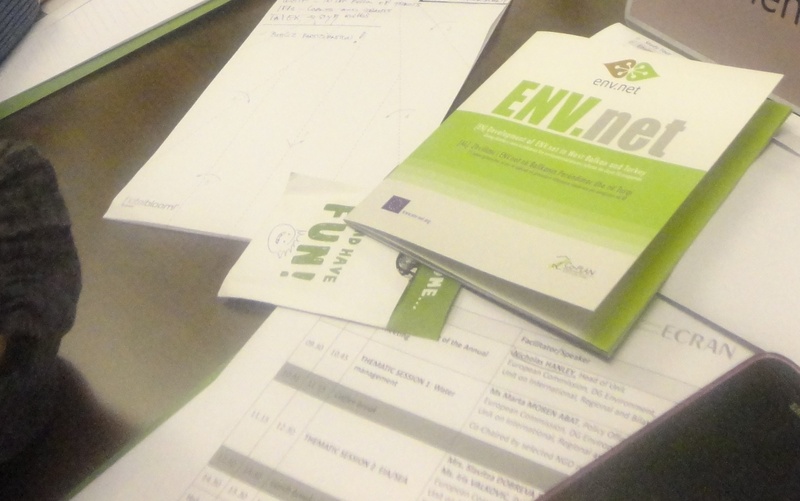 Meeting is taking place in the Hotel Tulip Inn, Putnik, where representatives from the „Environmental Ambassadors for Sustainable Development” are participating. 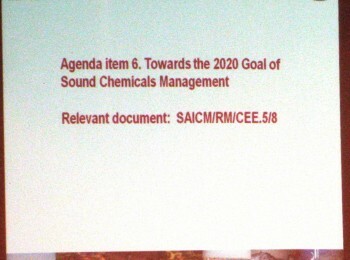 Minutes from the meeting are available.